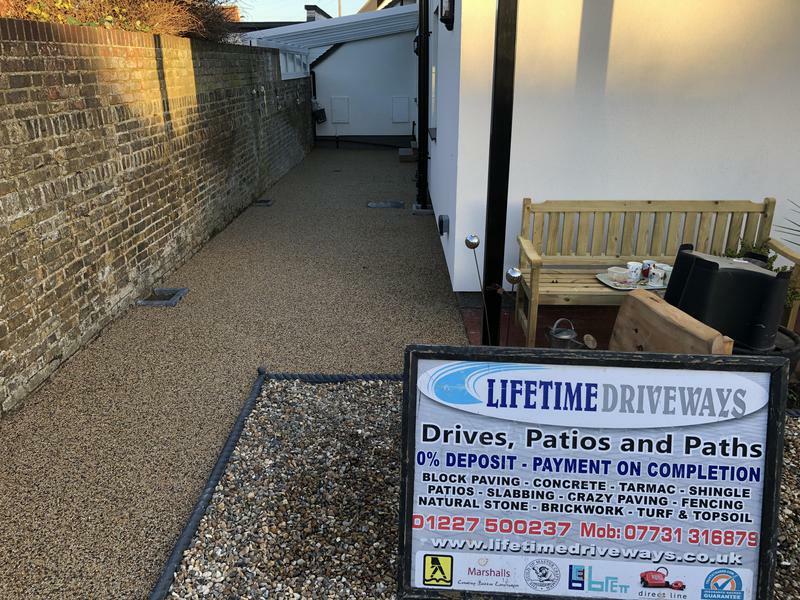 Herne bay, Whitstable, Canterbury, Dover, Margate, Ramsgate, Broadstairs, Faversham, Sittingbourne, Maidstone, Medway and all surrounding areas. 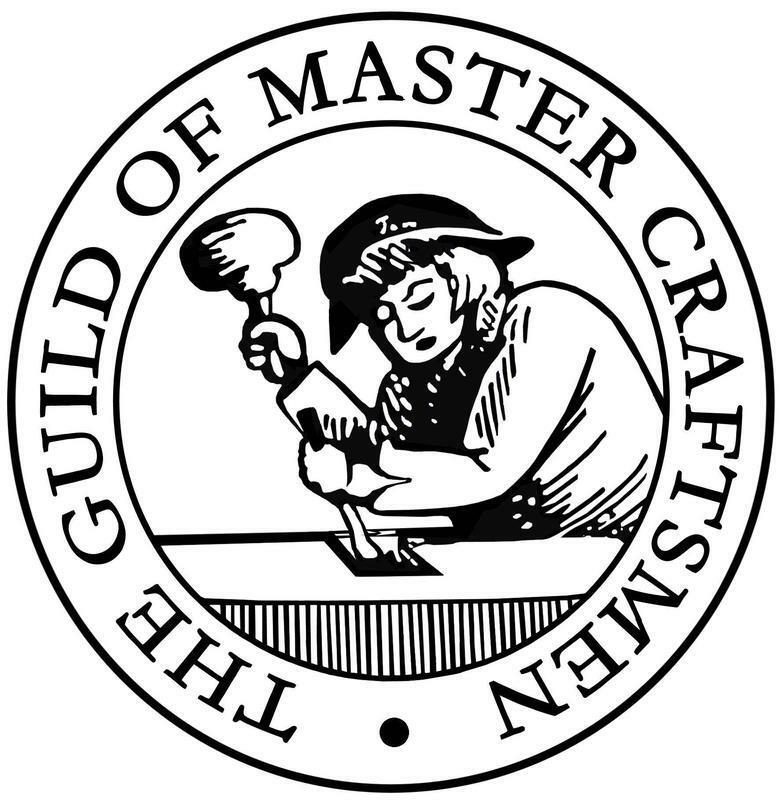 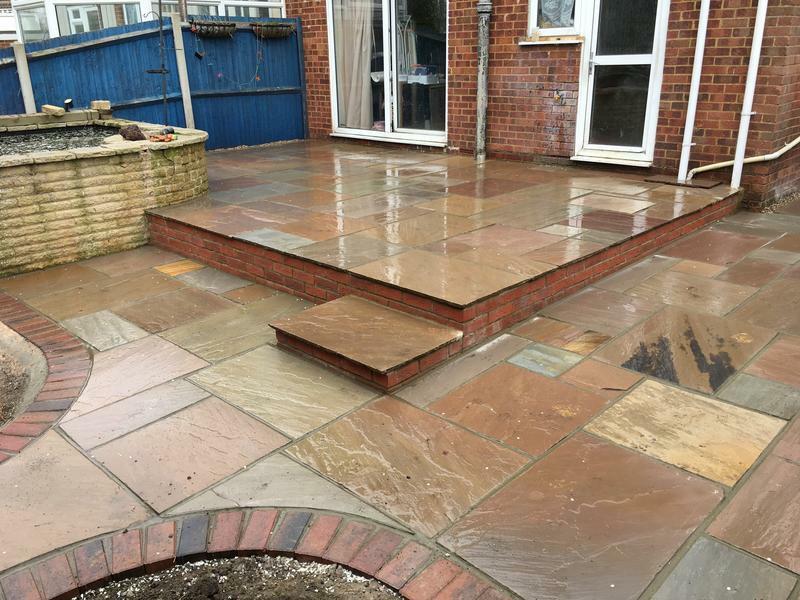 No deposits are required on any work undertaken - just payment on completion. 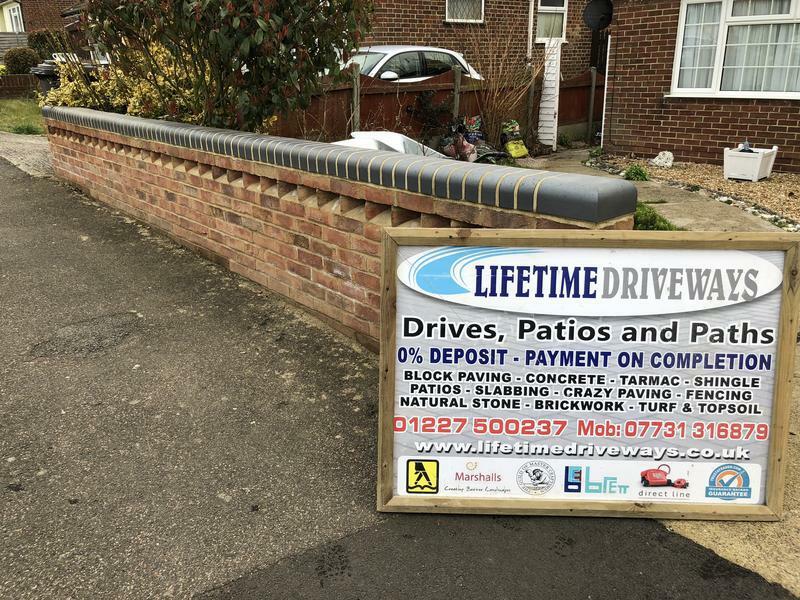 Written quotation supplied for every job. 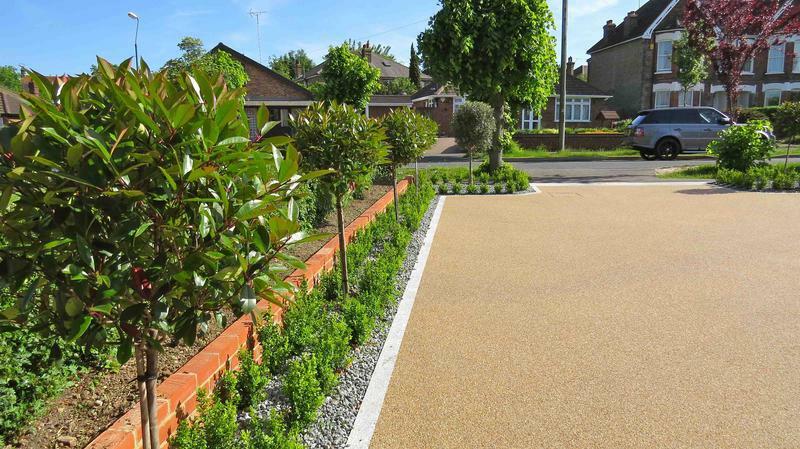 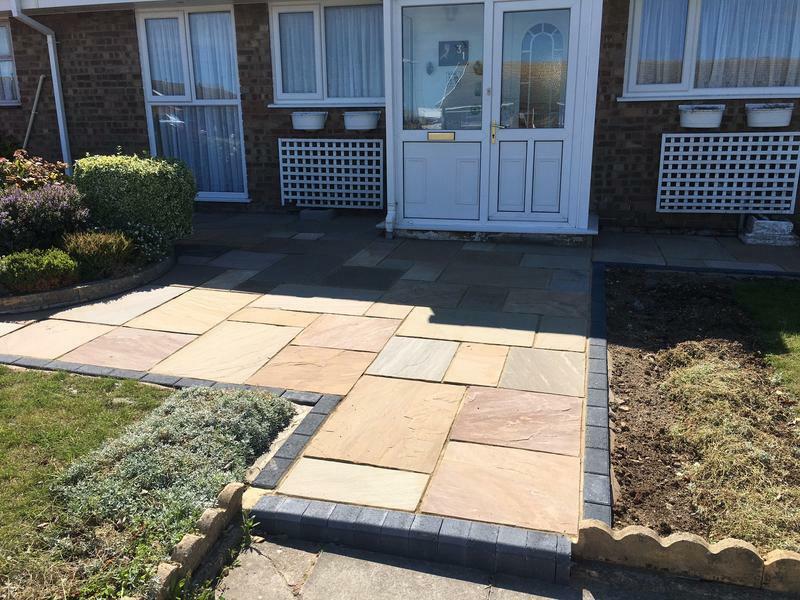 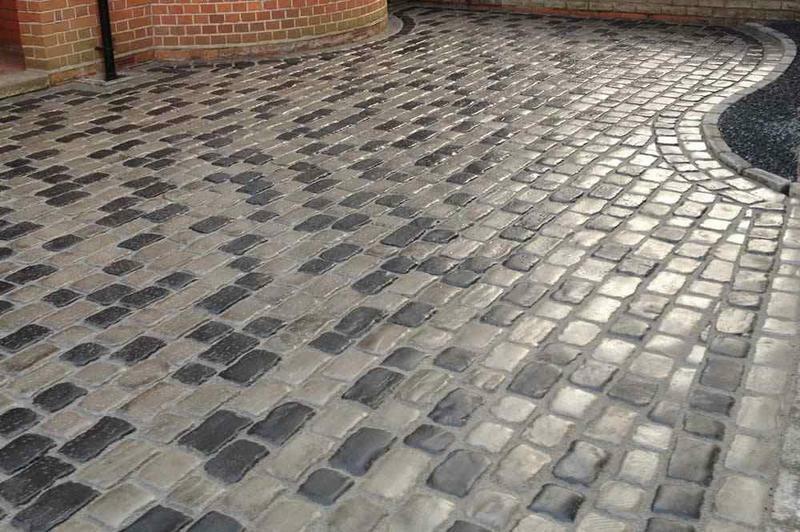 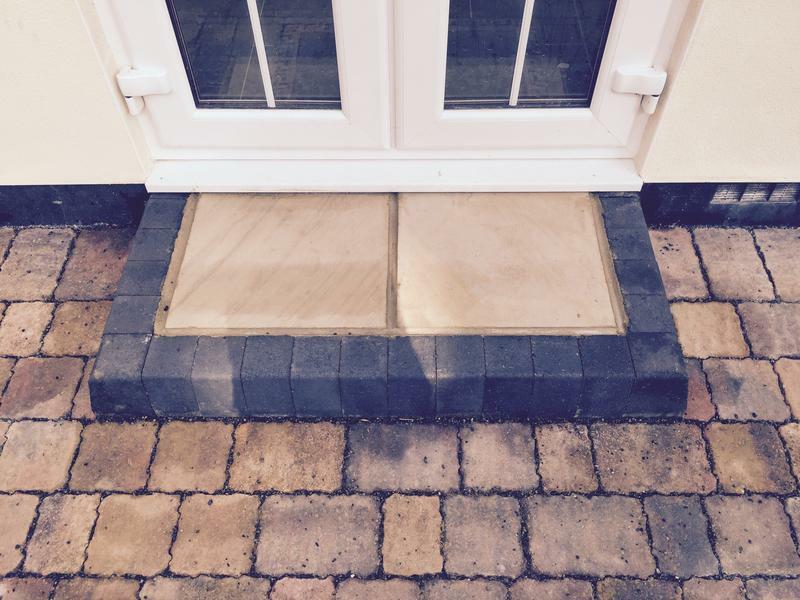 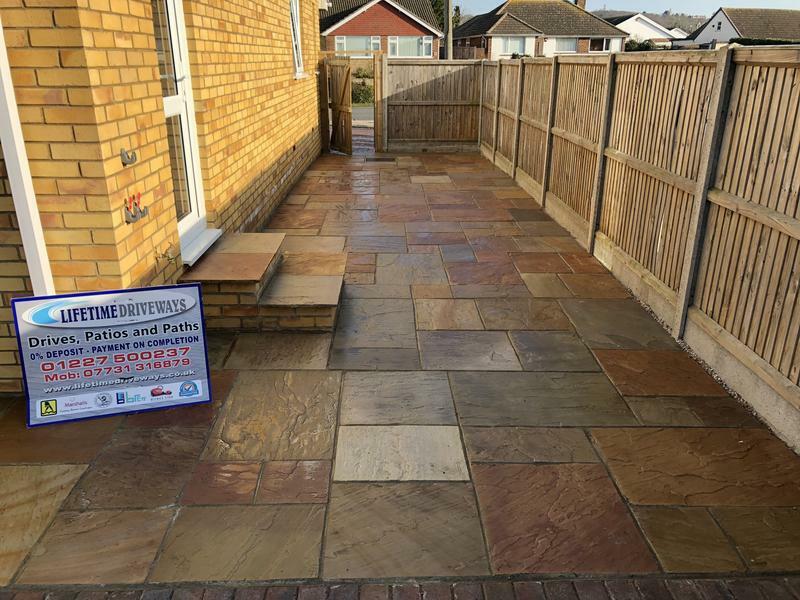 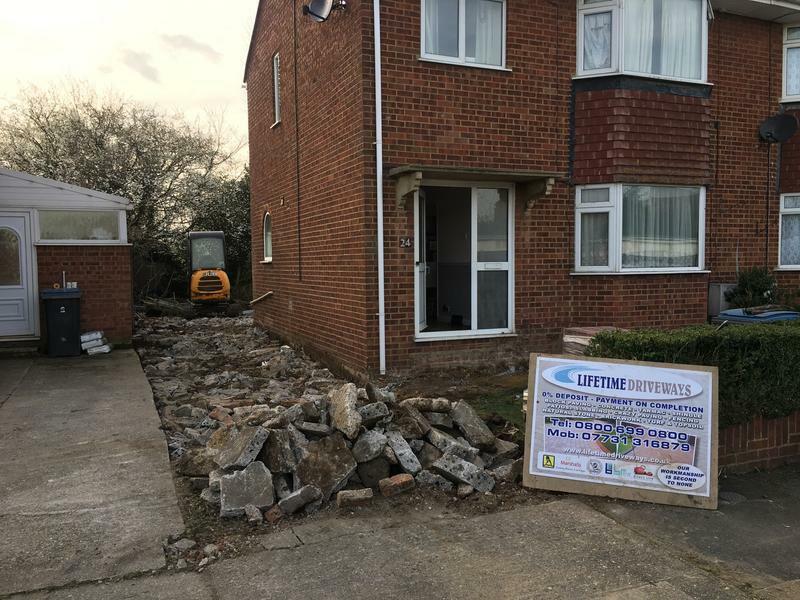 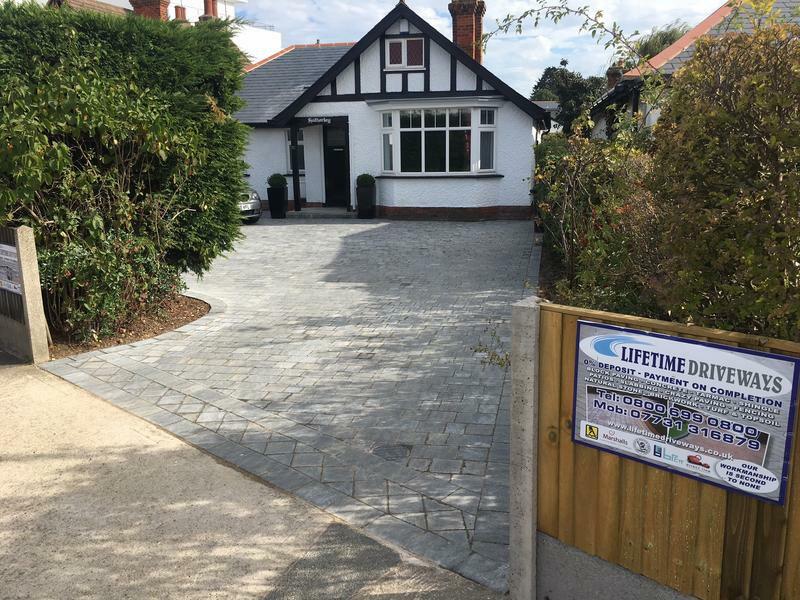 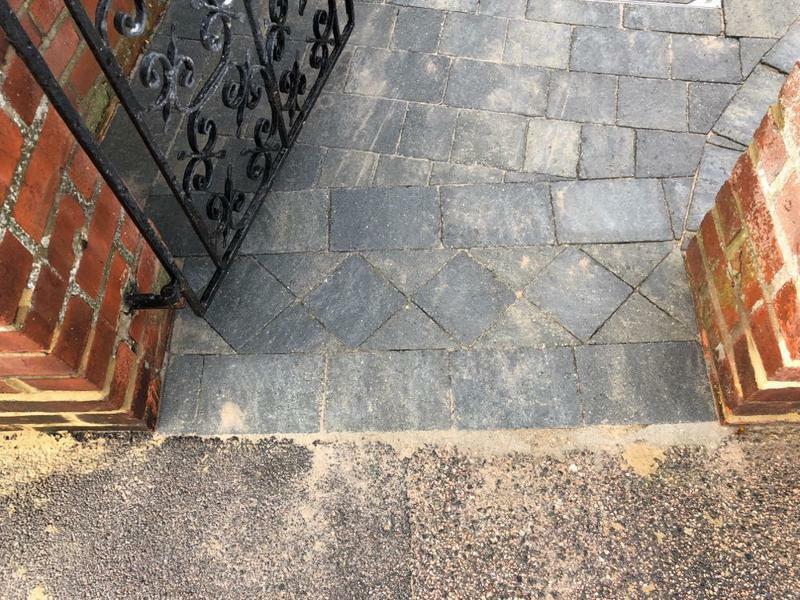 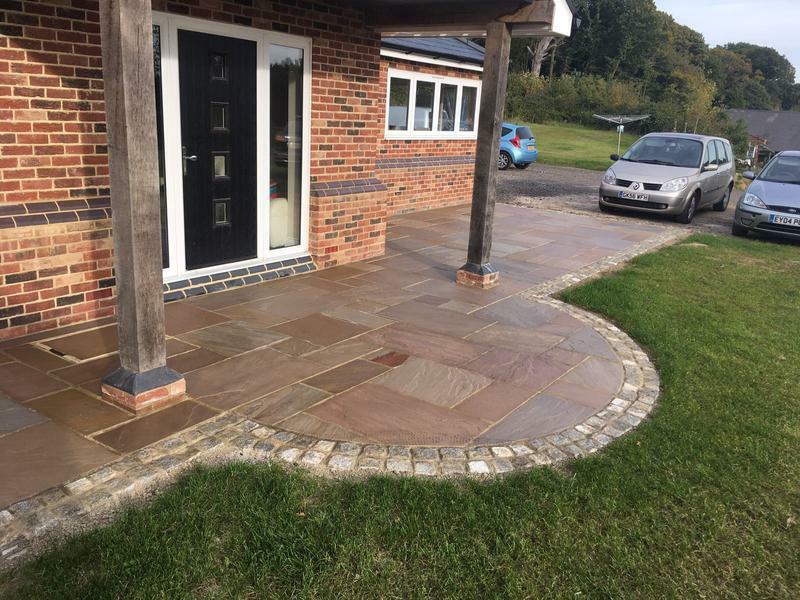 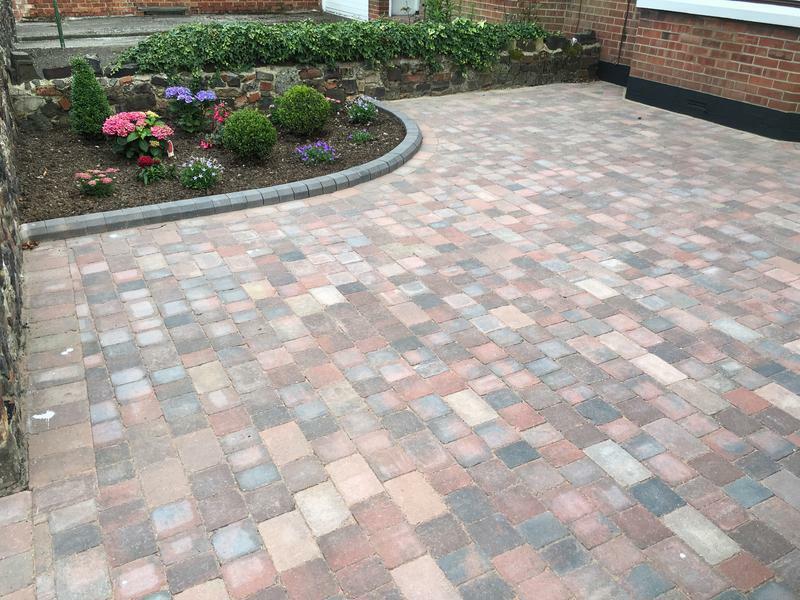 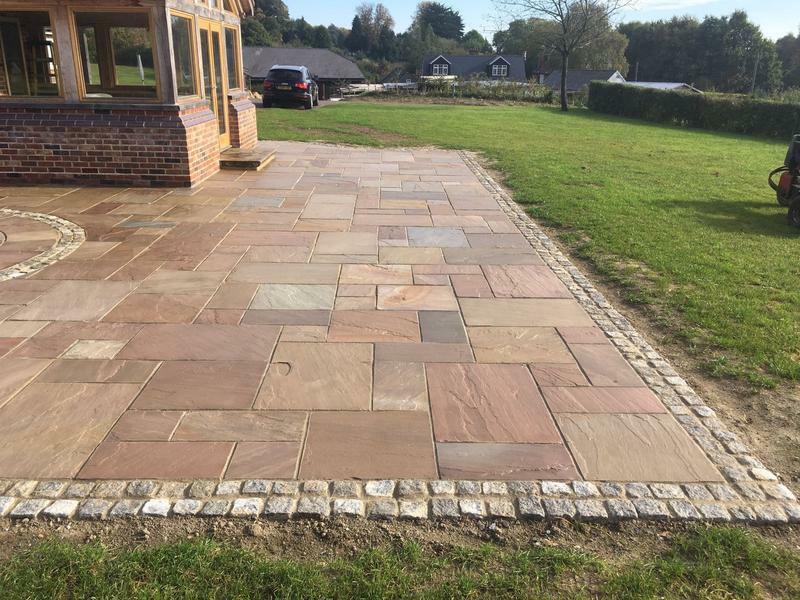 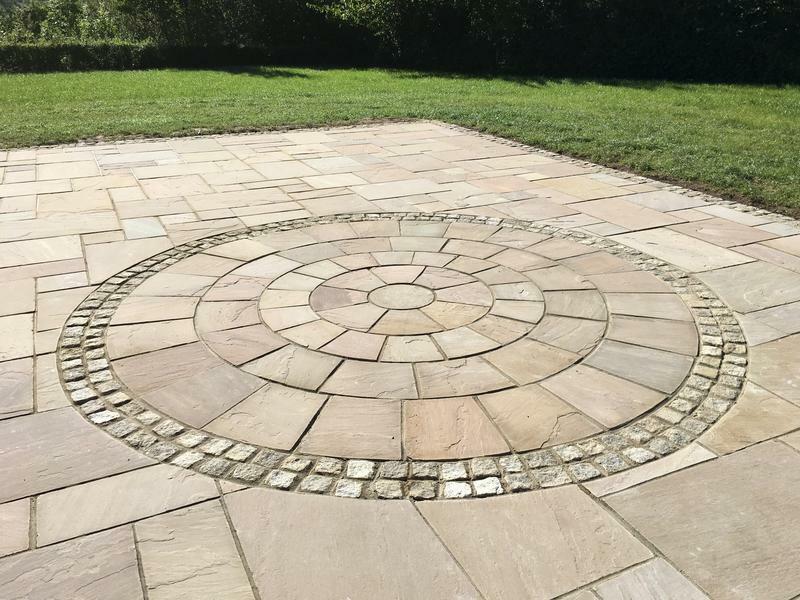 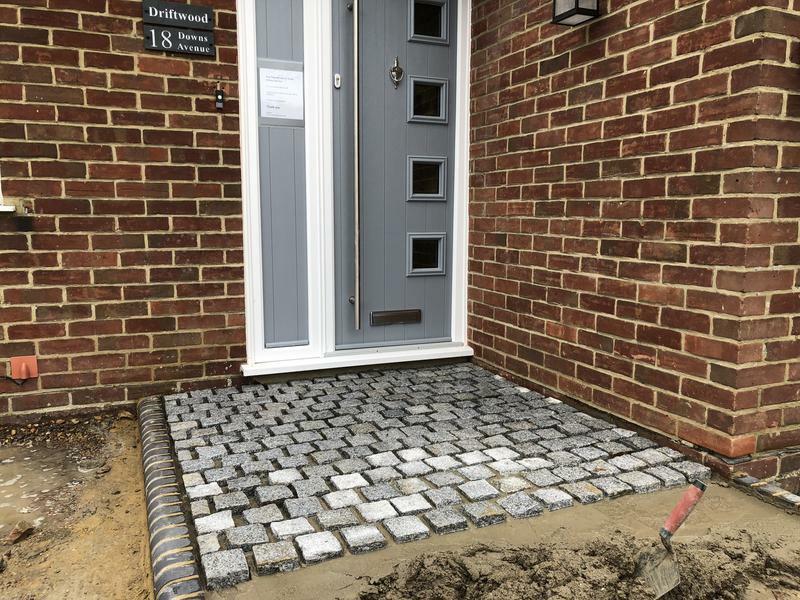 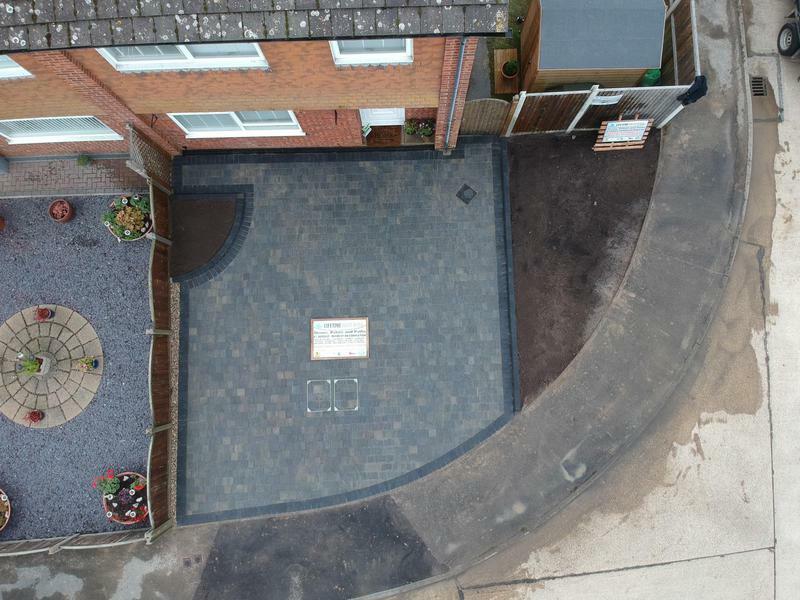 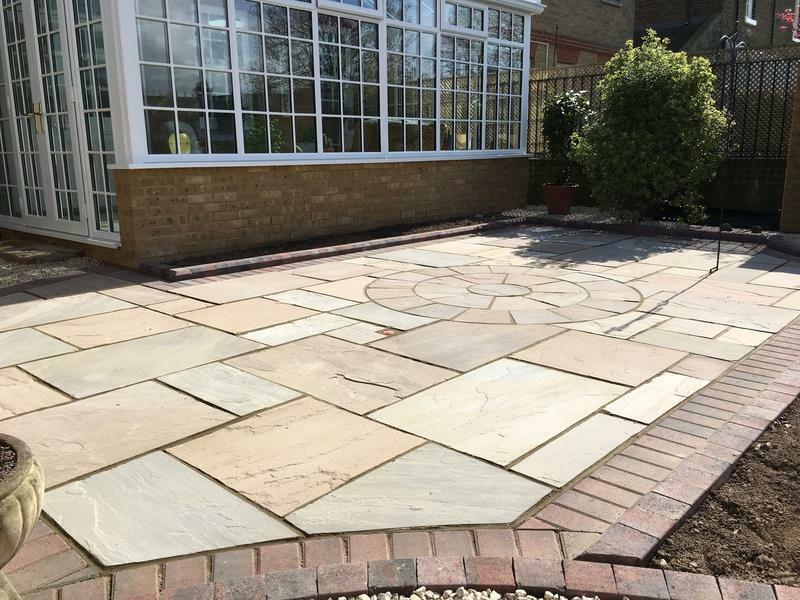 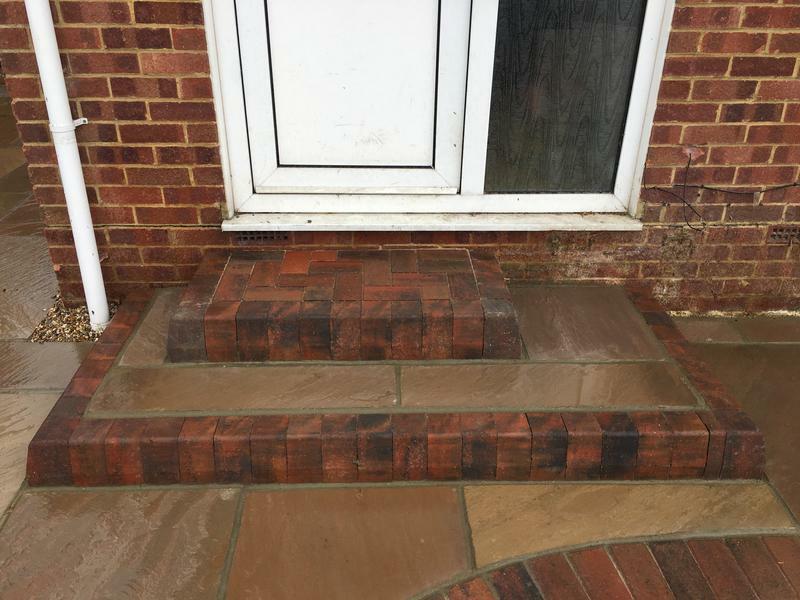 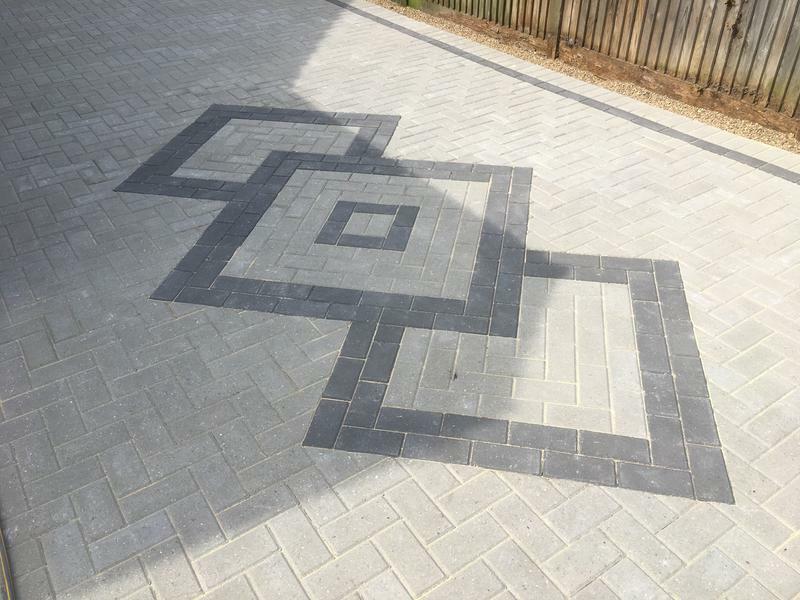 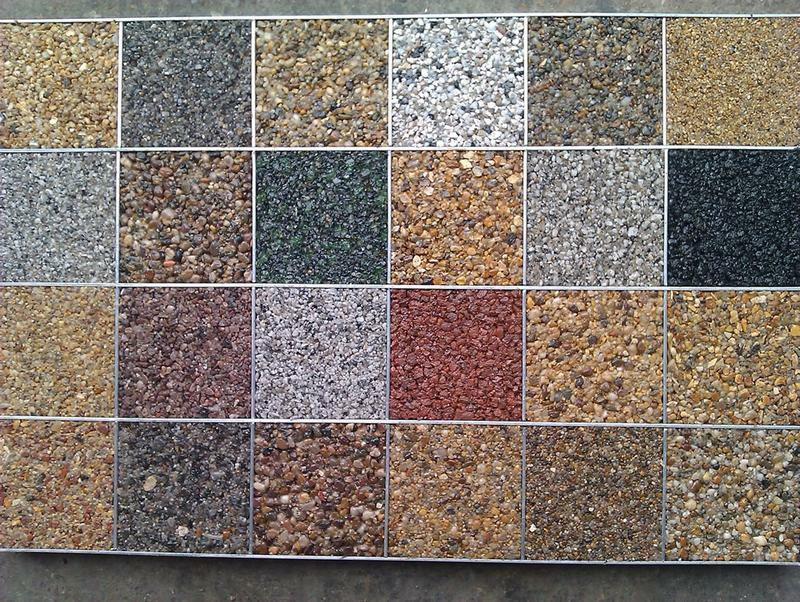 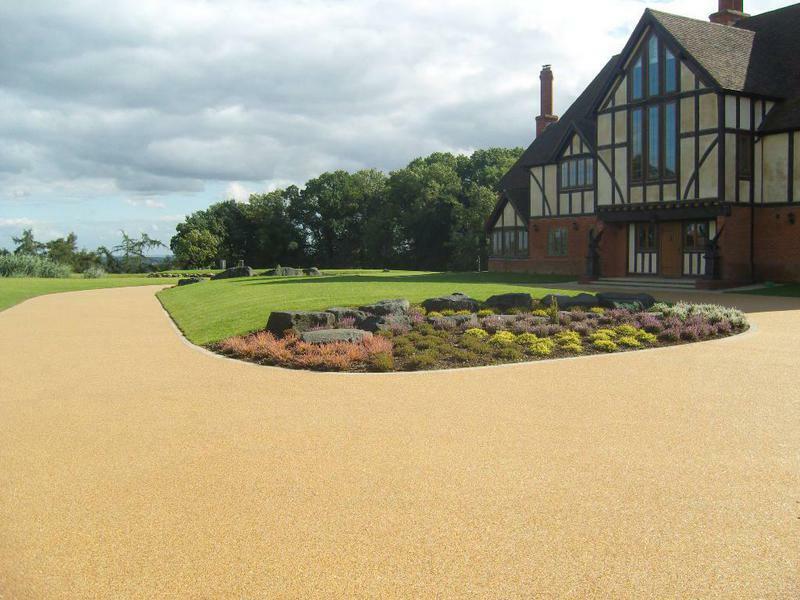 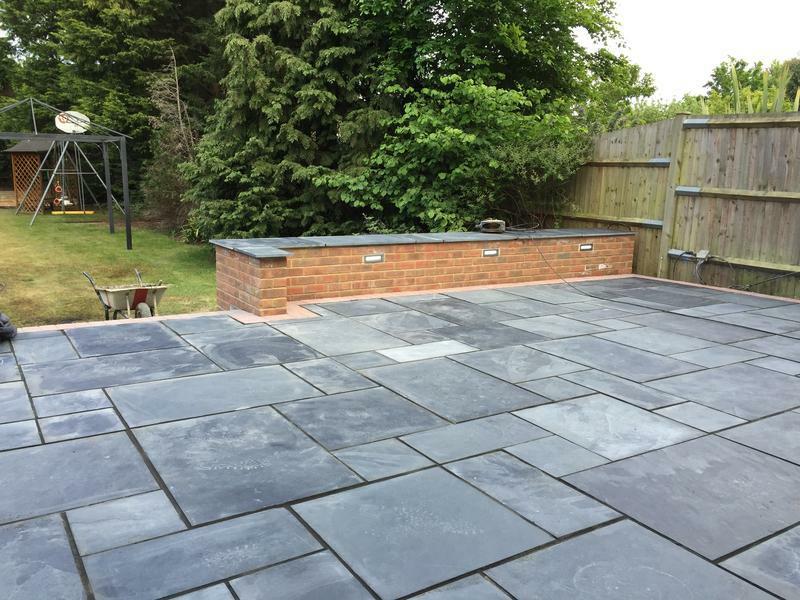 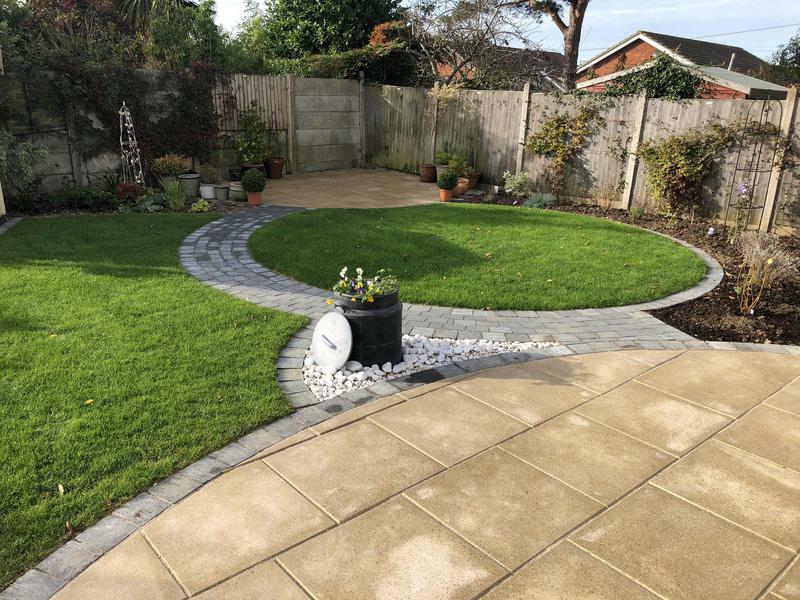 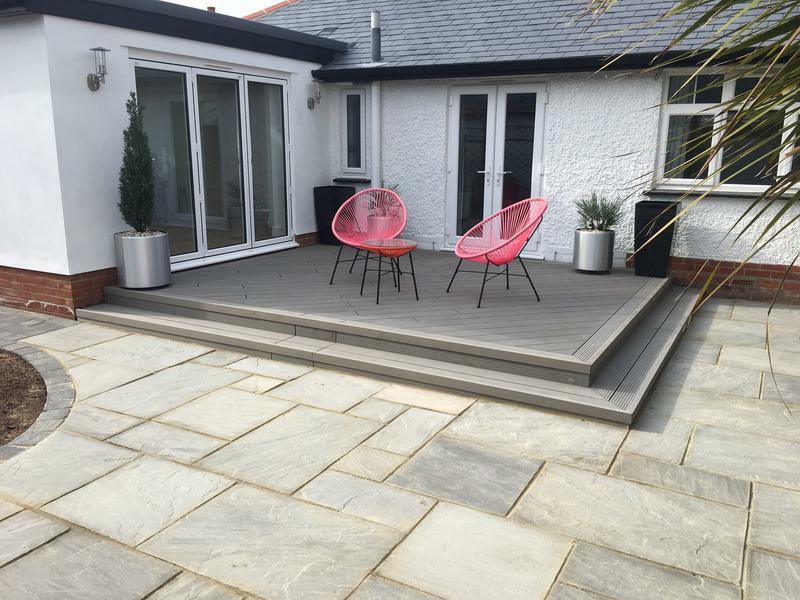 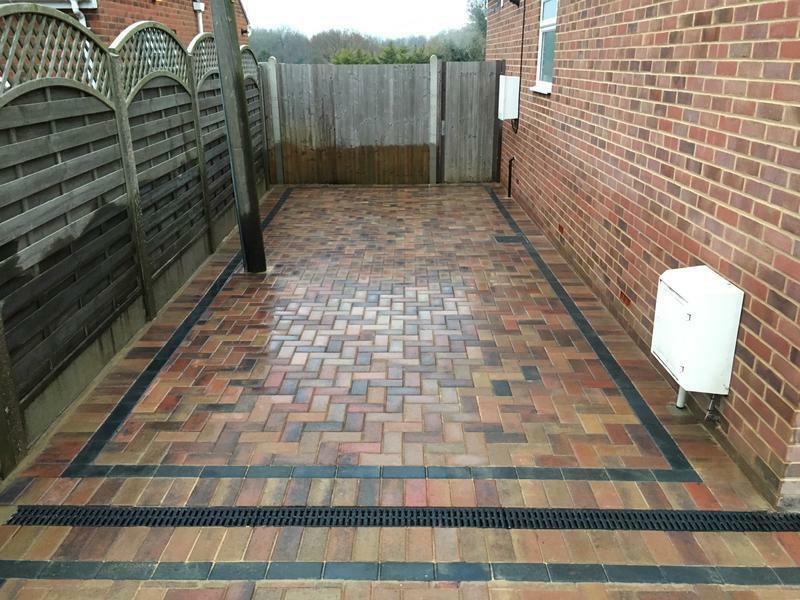 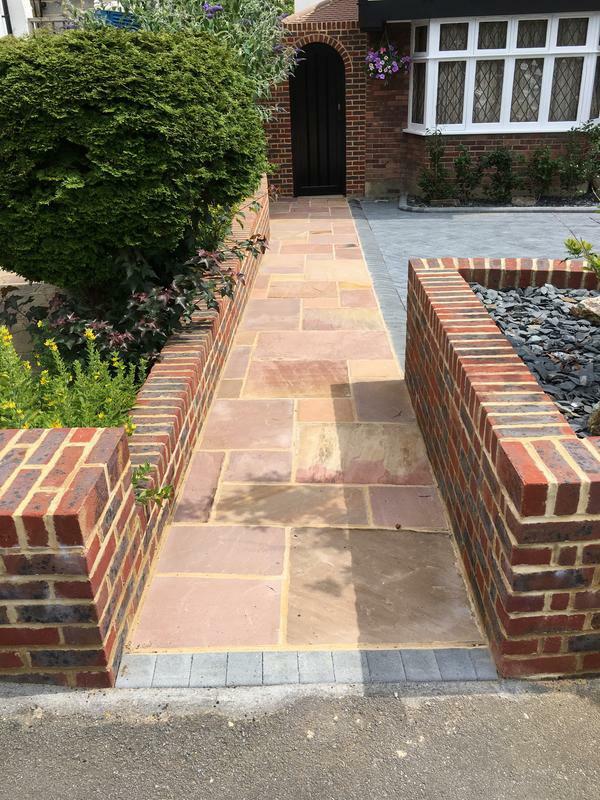 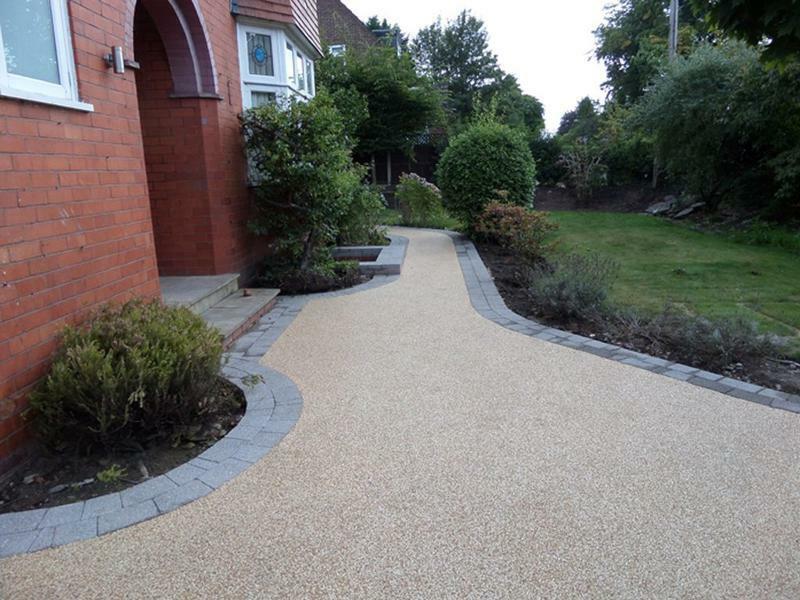 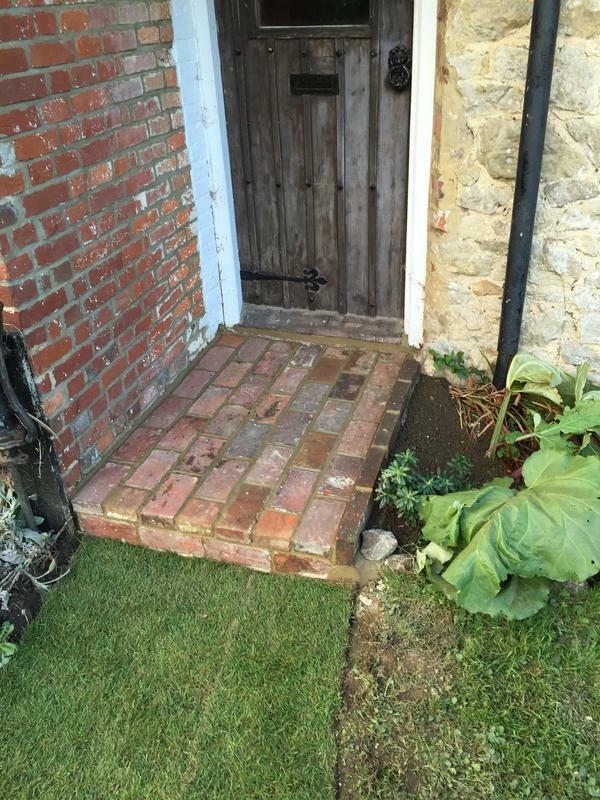 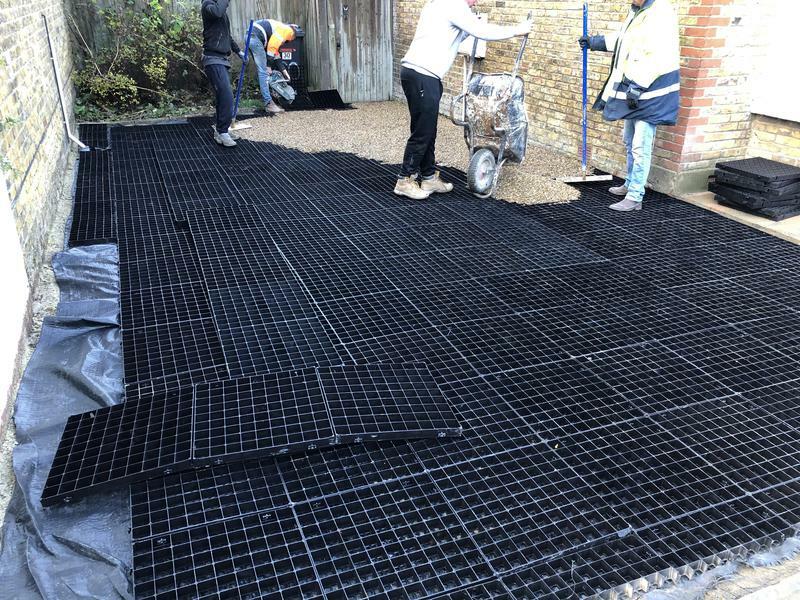 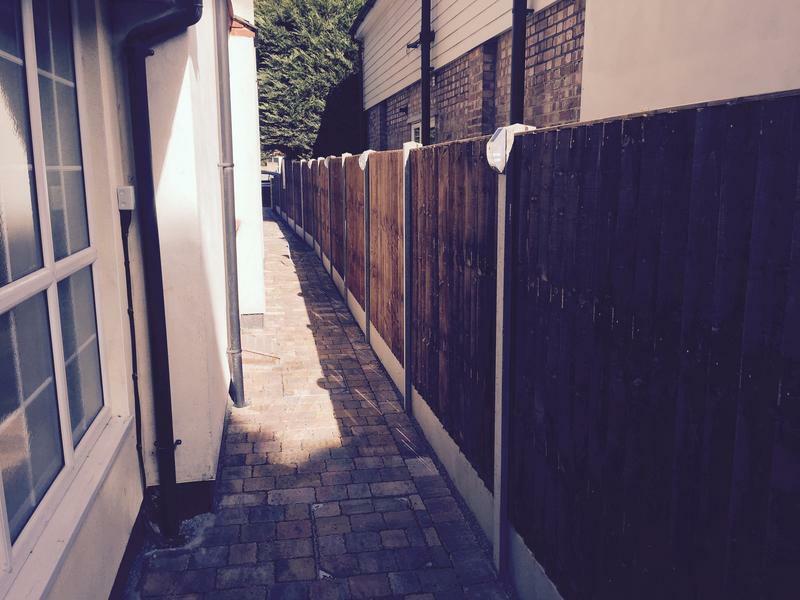 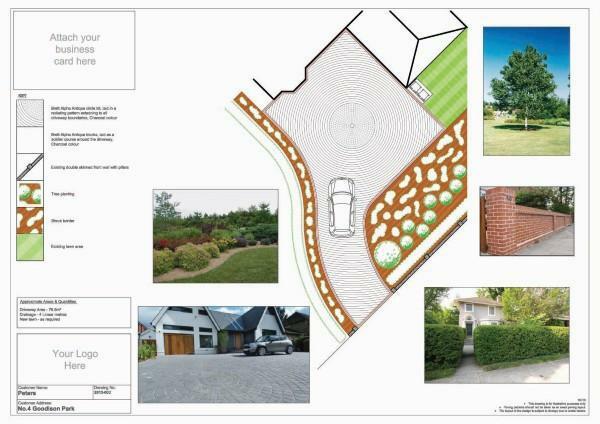 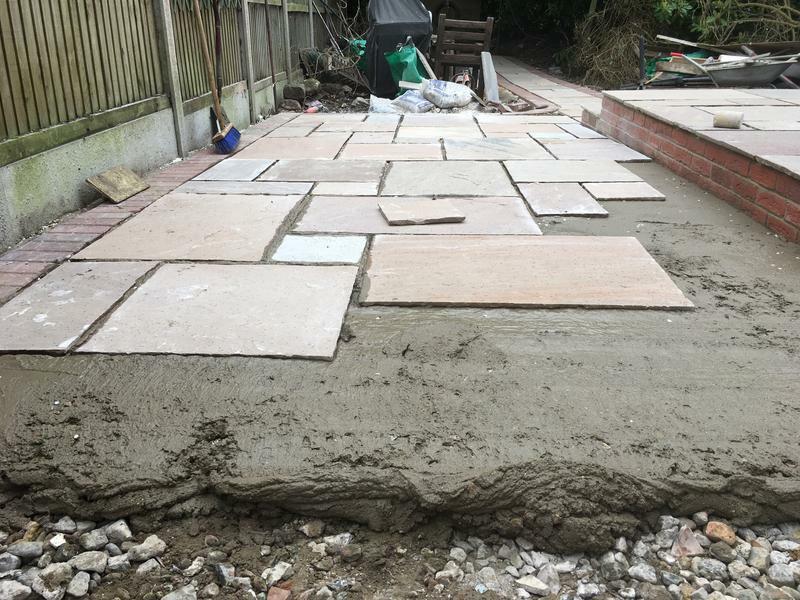 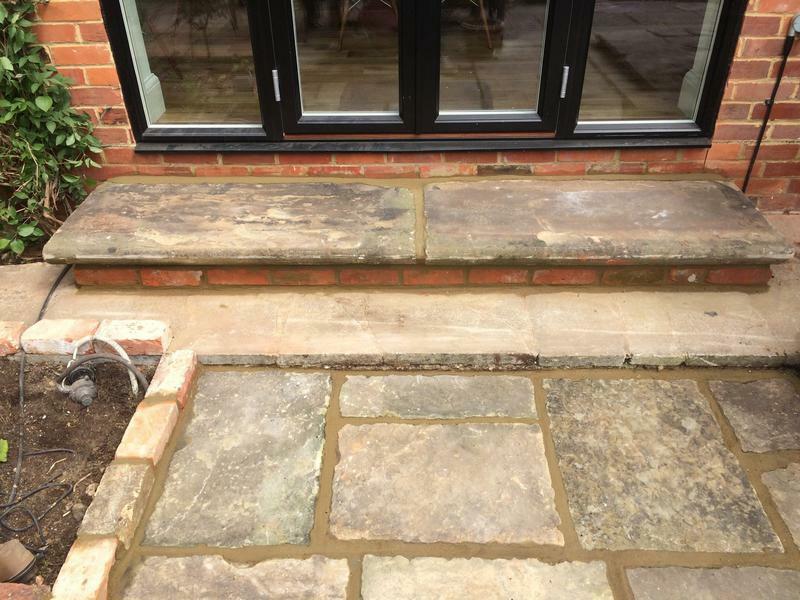 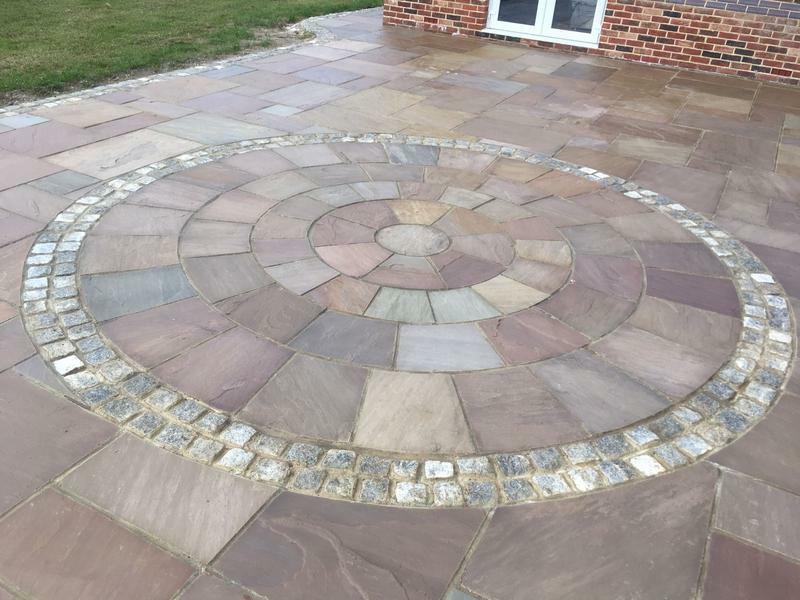 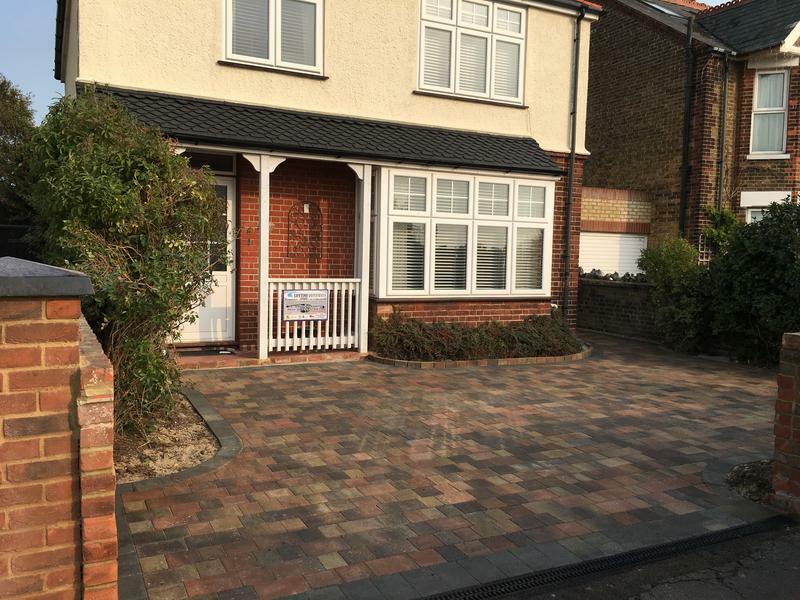 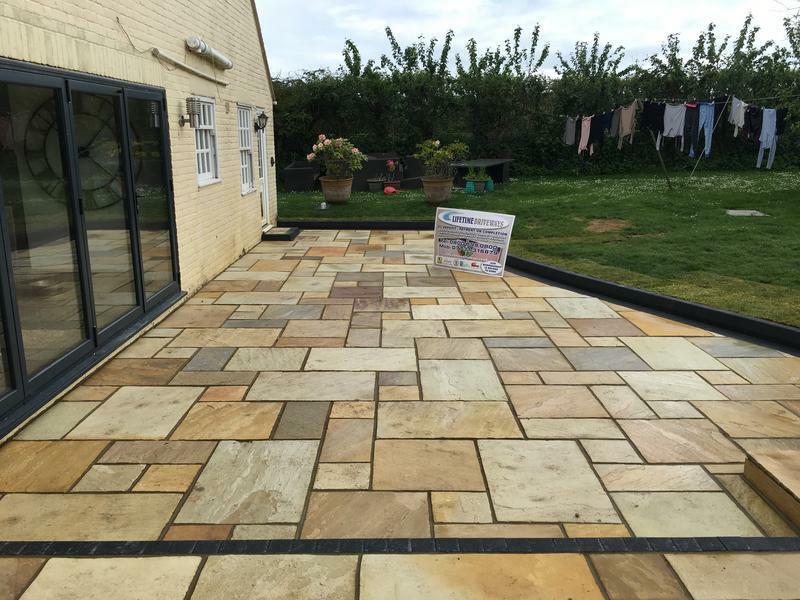 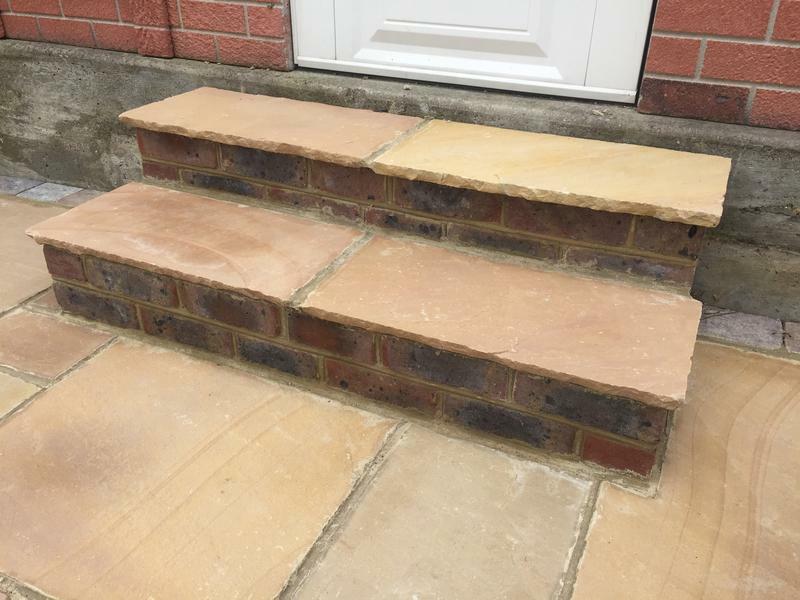 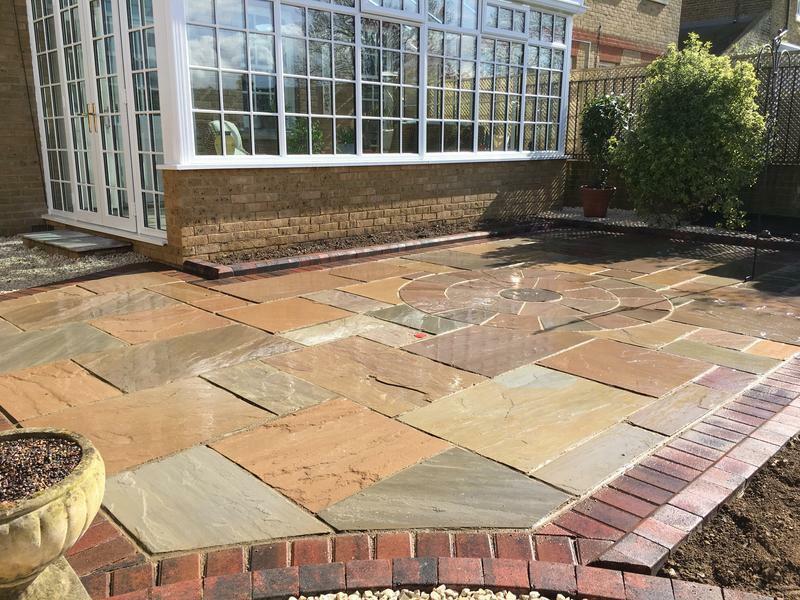 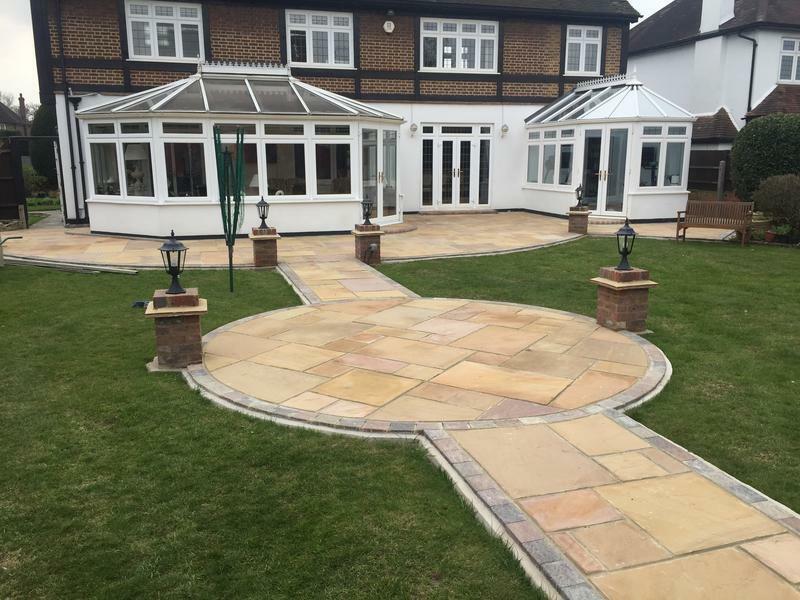 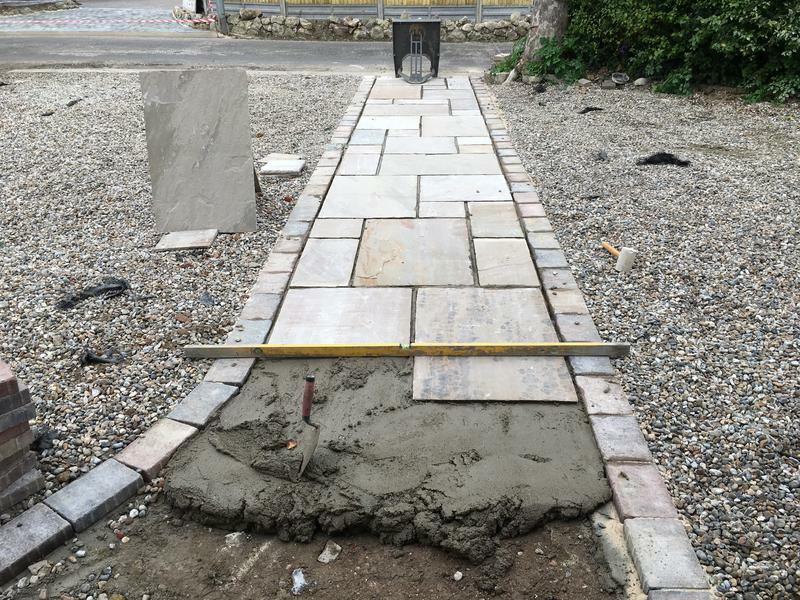 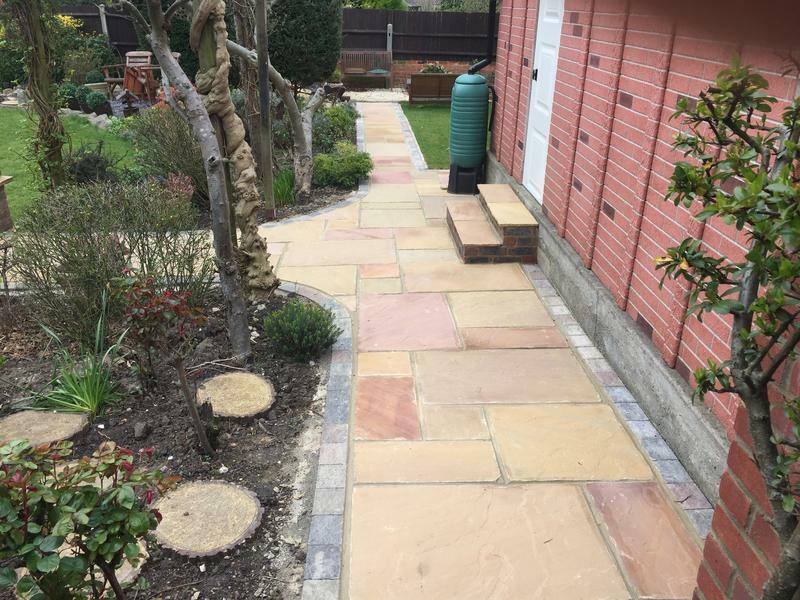 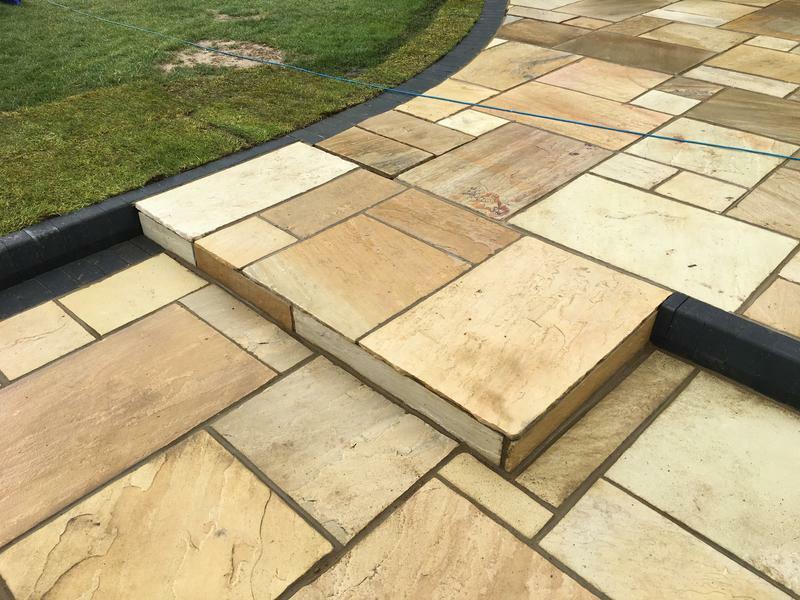 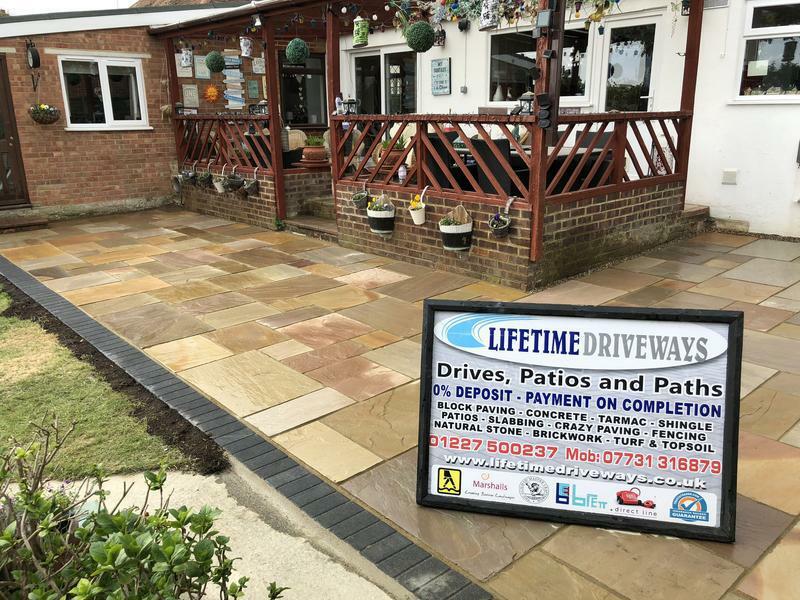 We have over 25 years' experience providing quality driveways, patios, paths, paving, steps, walls and groundworks. 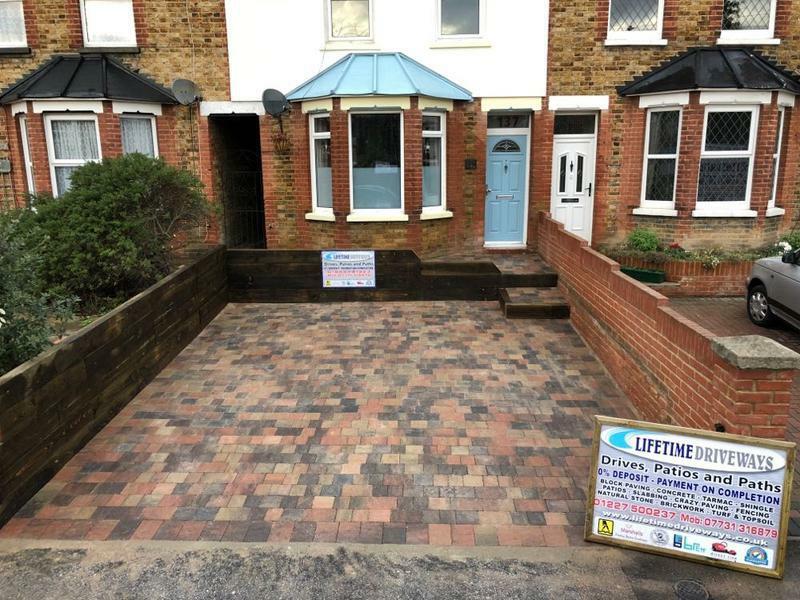 Our work is guaranteed for 10 years from the date of completion. 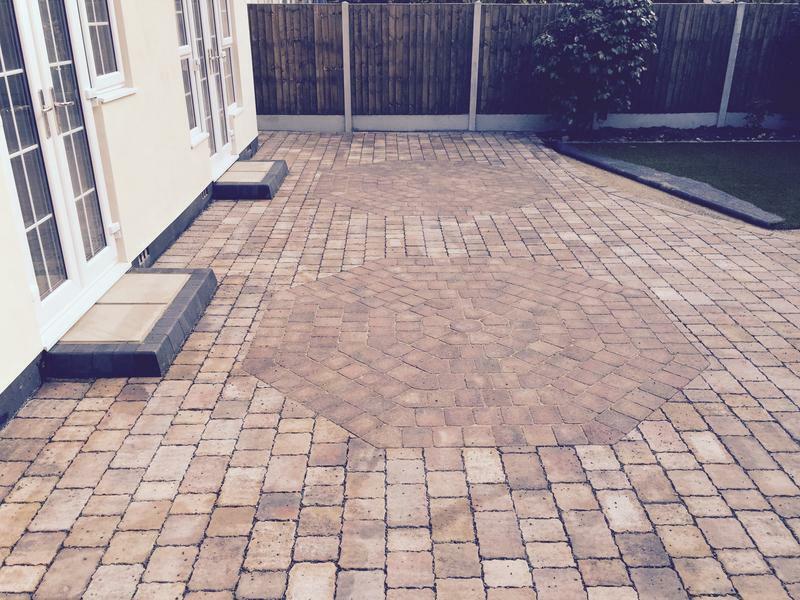 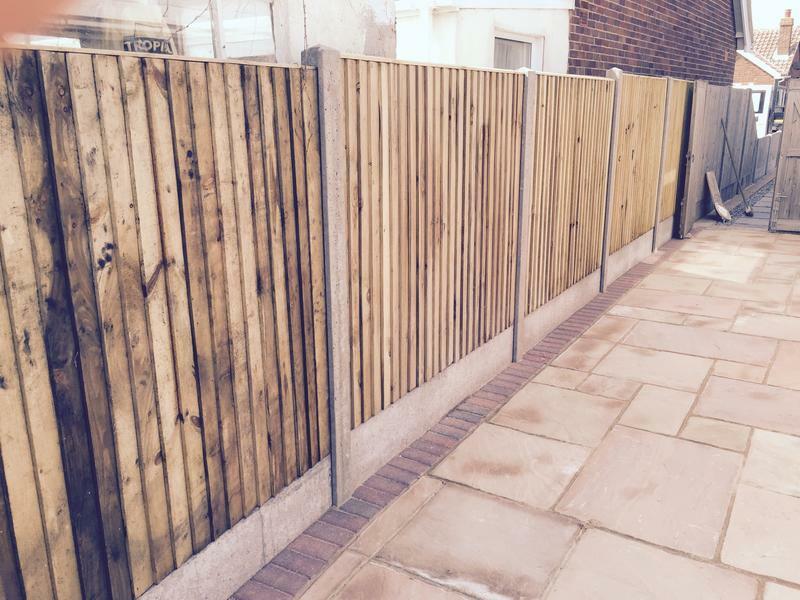 No job or budget is too big or too small, we have a large team of experienced tradesmen near you. 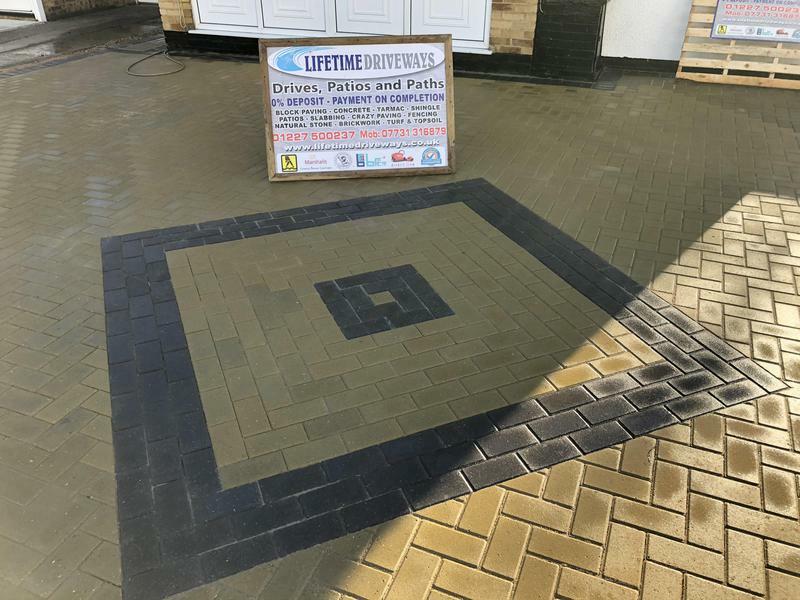 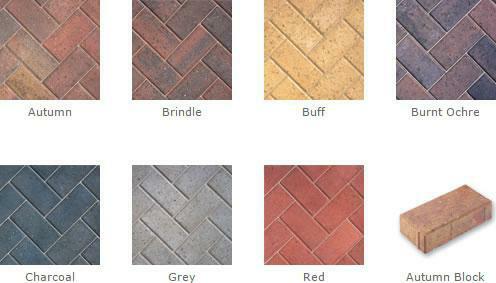 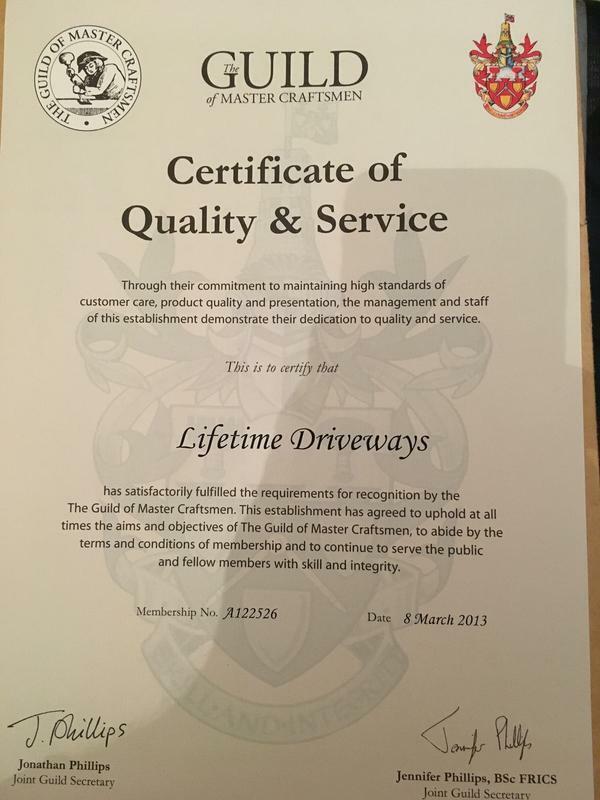 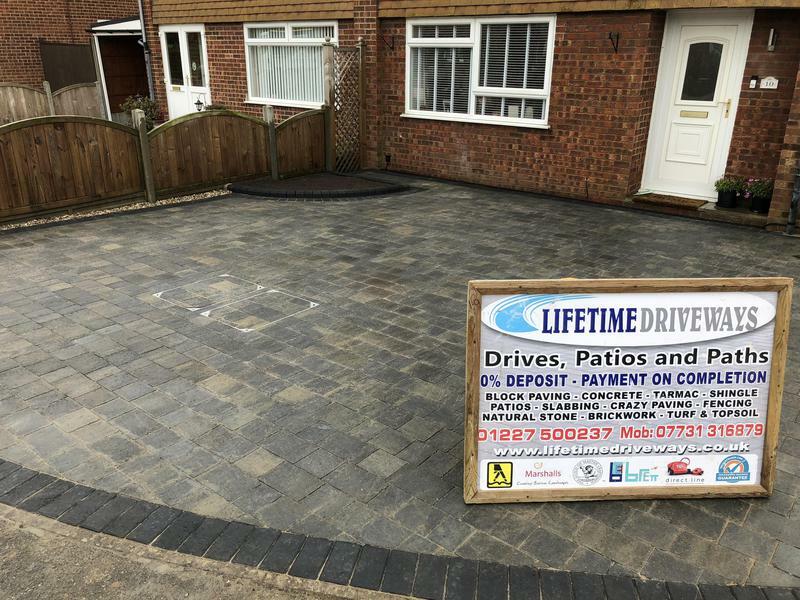 Give Lifetime Driveways & Patios a call for a reliable and friendly service. 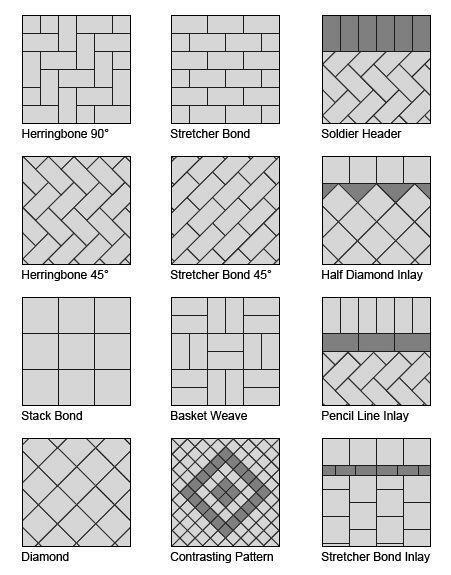 Infinite range of patterns created to your choice. 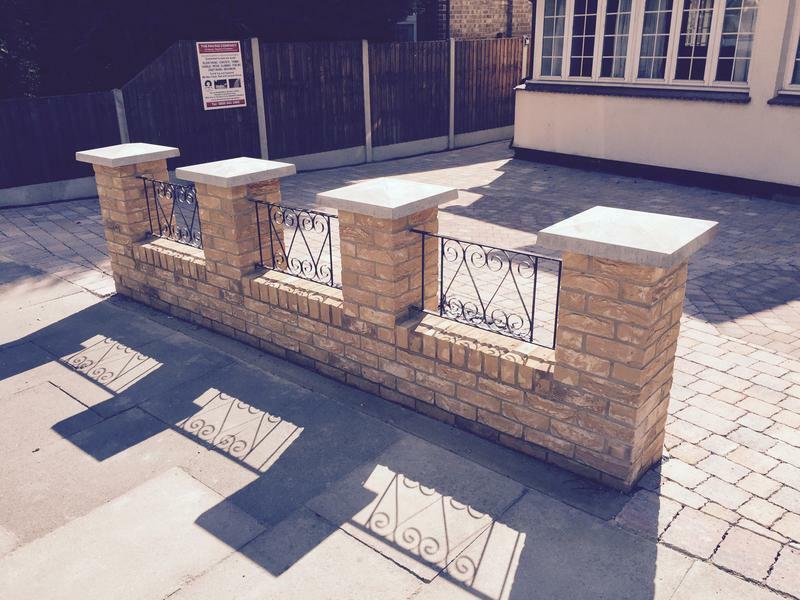 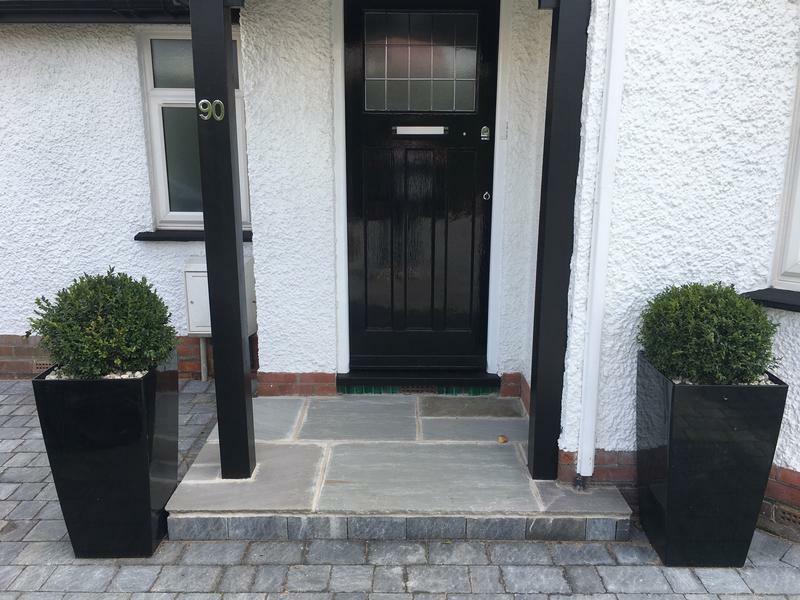 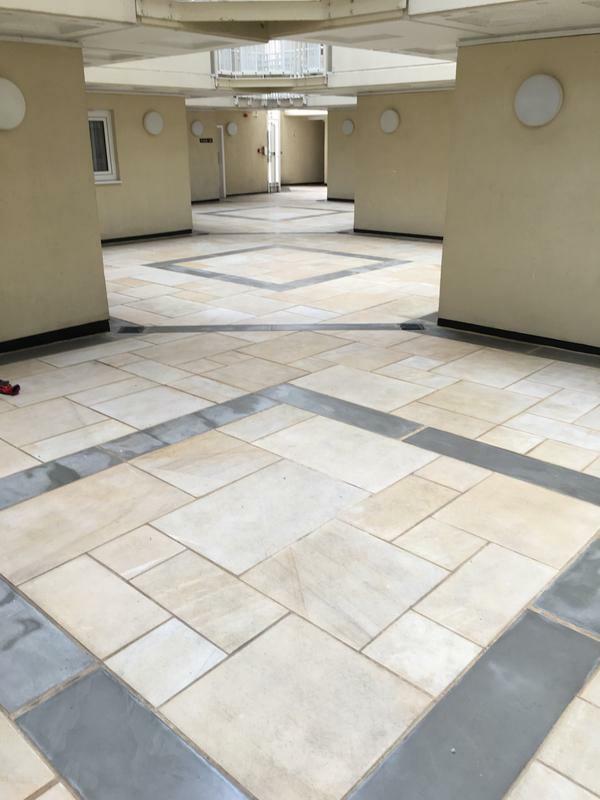 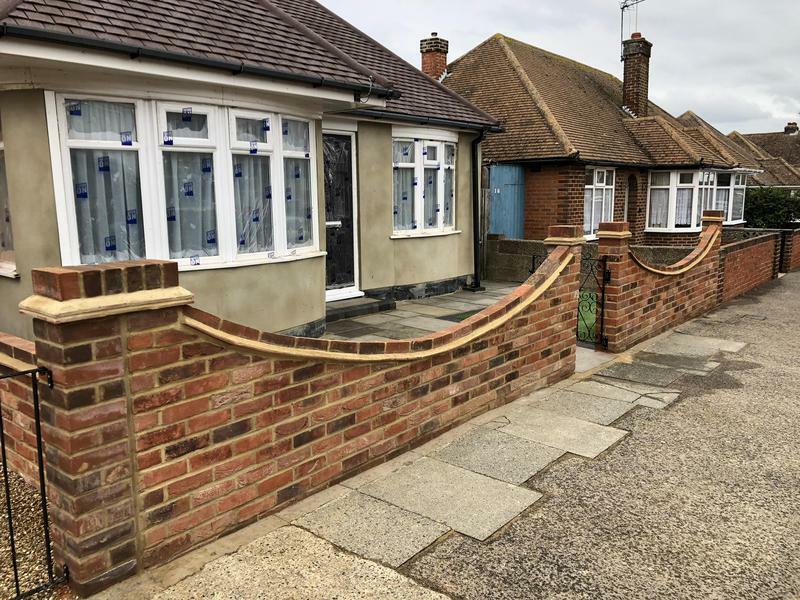 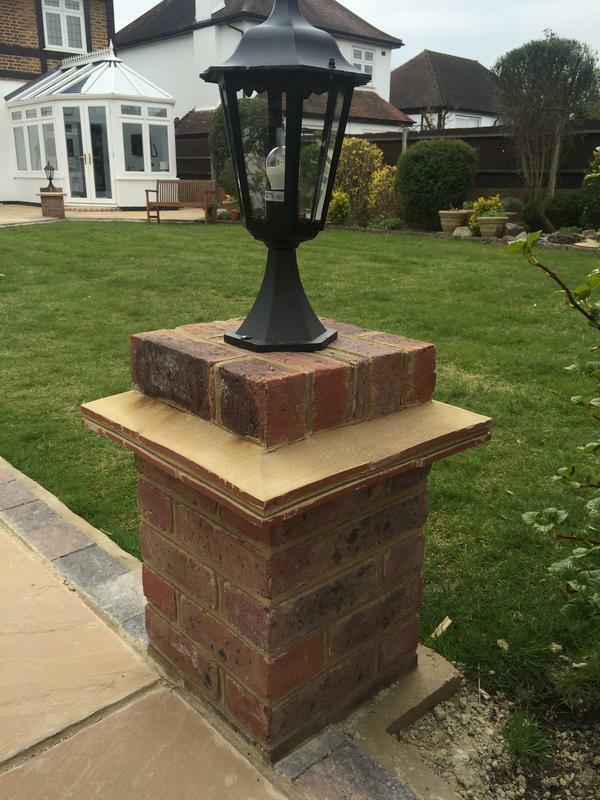 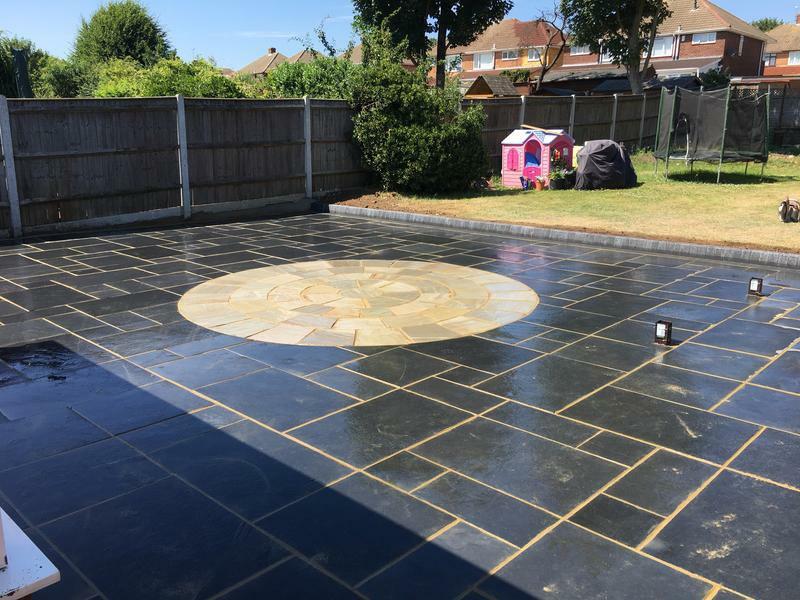 If you want a professional job using quality materials by experienced tradesman, our written no obligation quotation is free with no deposit and payment on completion only once you are 100% satisfied with our work. 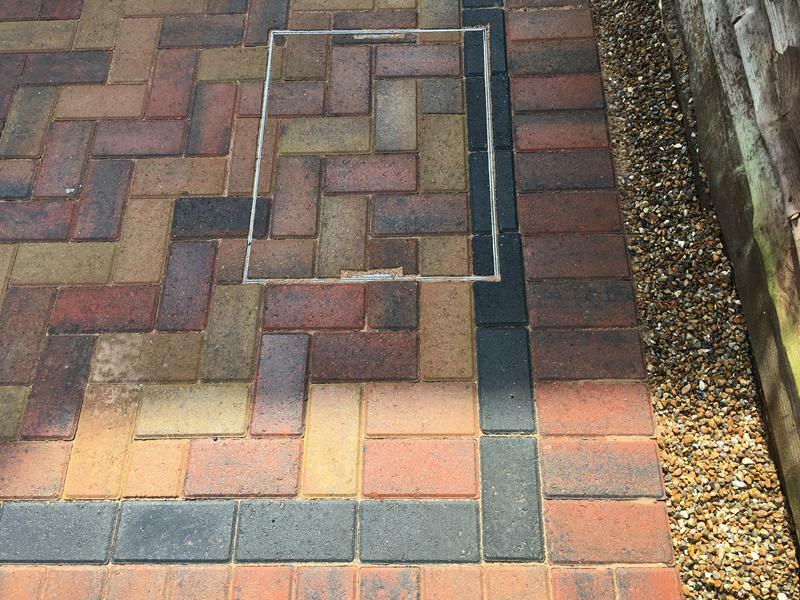 "Very efficient. 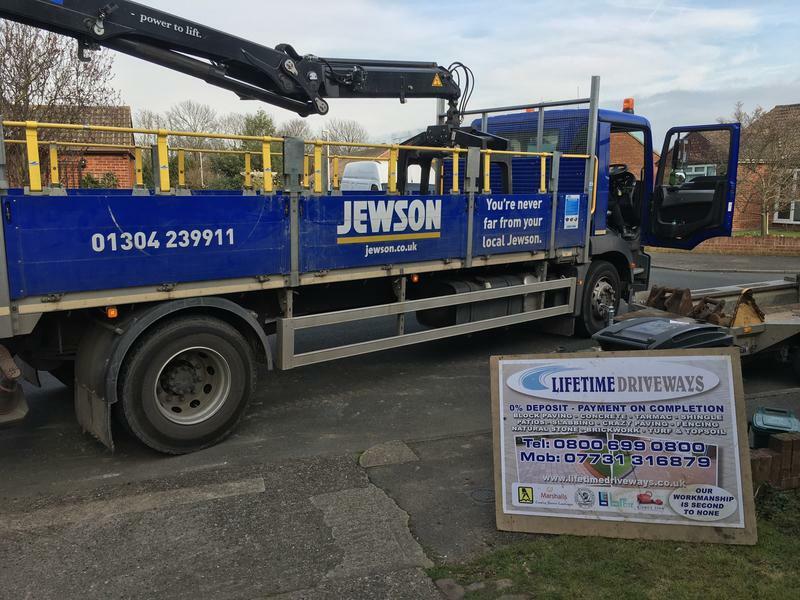 Right tools for the job. 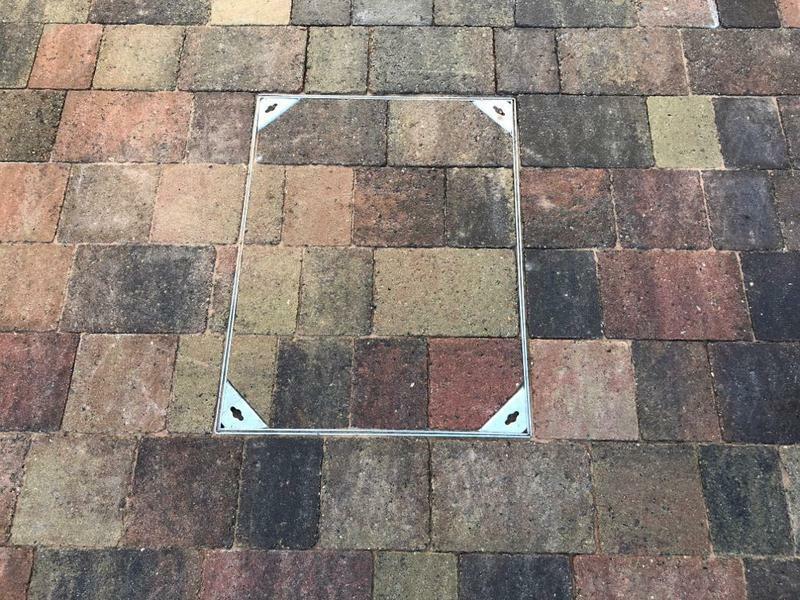 No mess. 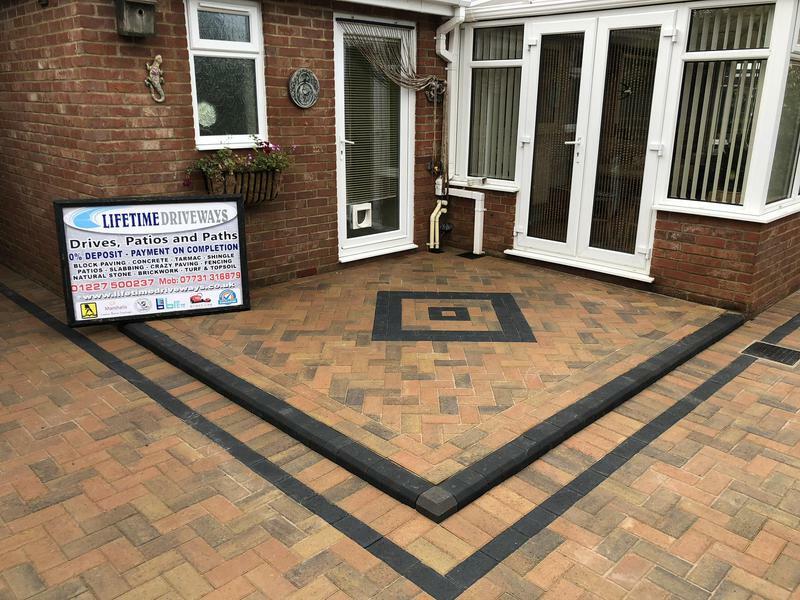 No monies upfront pay when satisfied and an excellent guarantee. 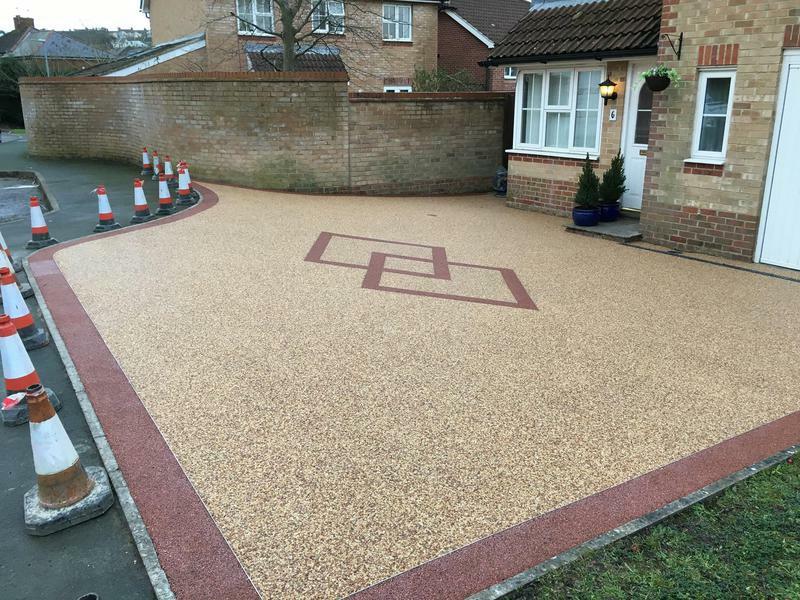 Very happy with the outcome." 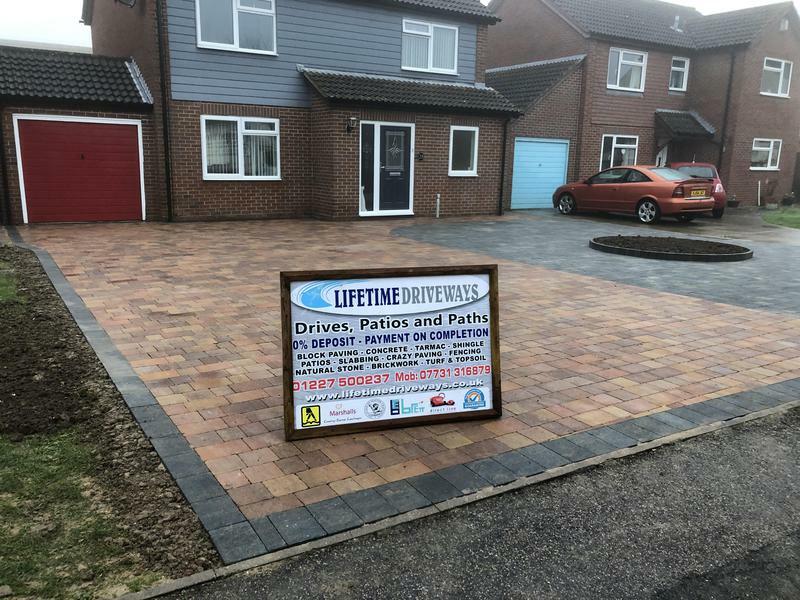 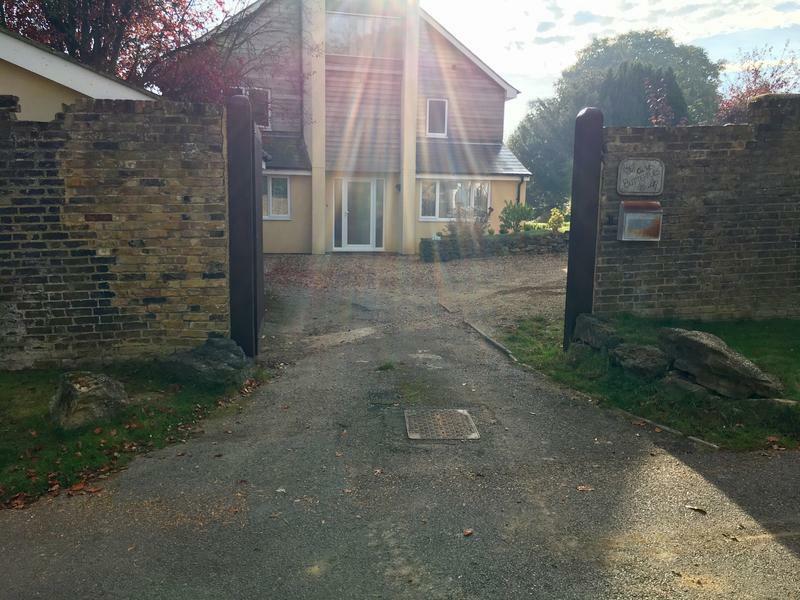 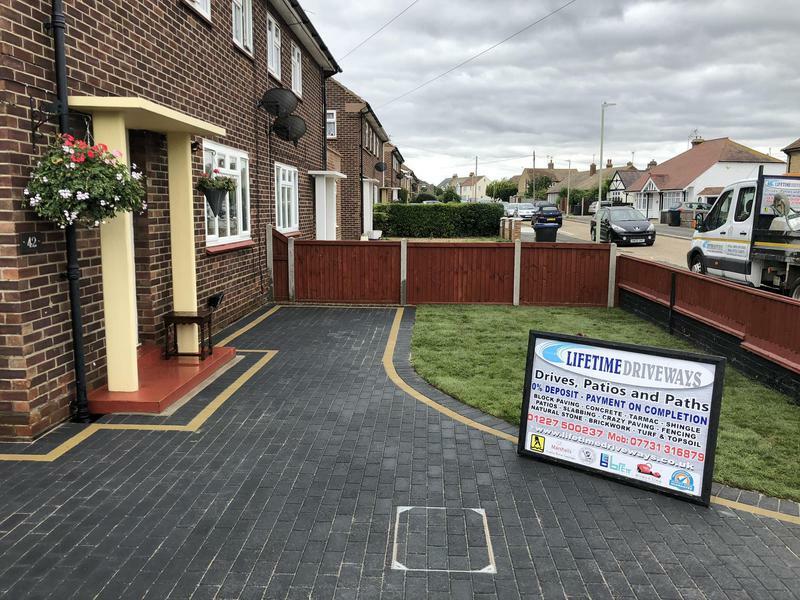 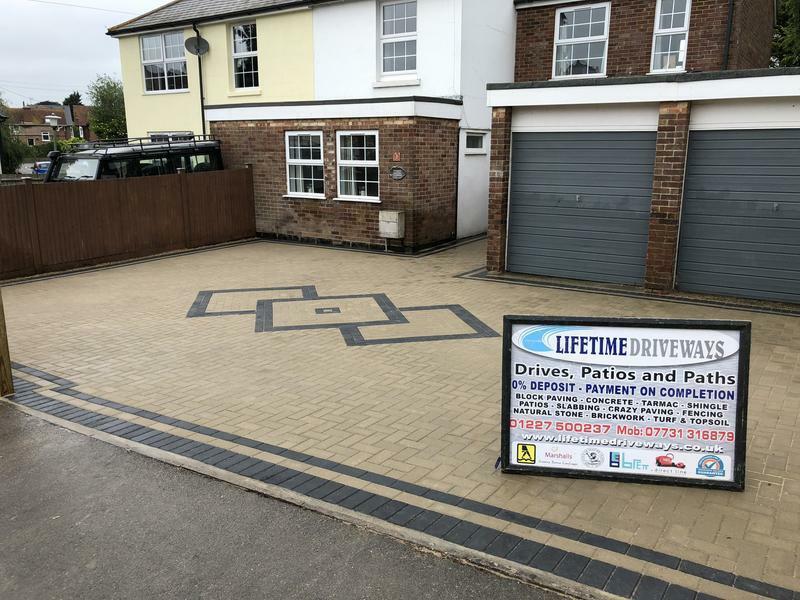 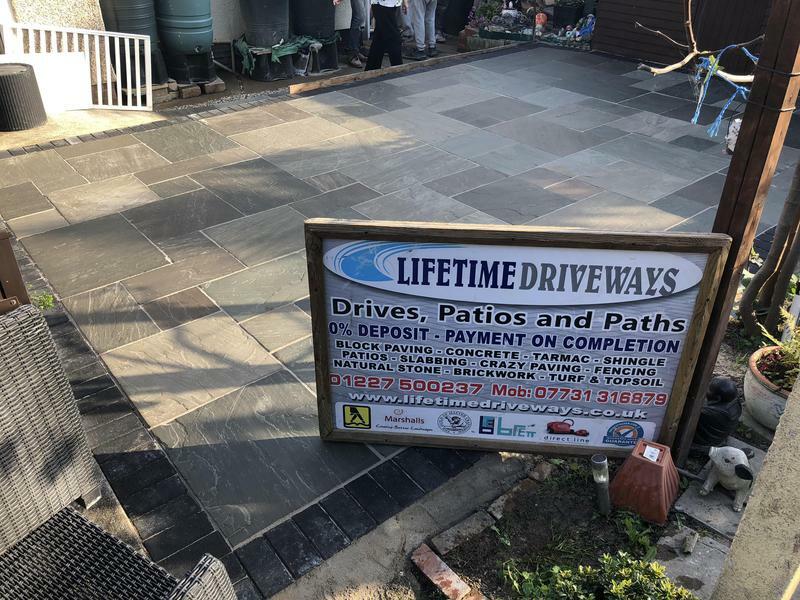 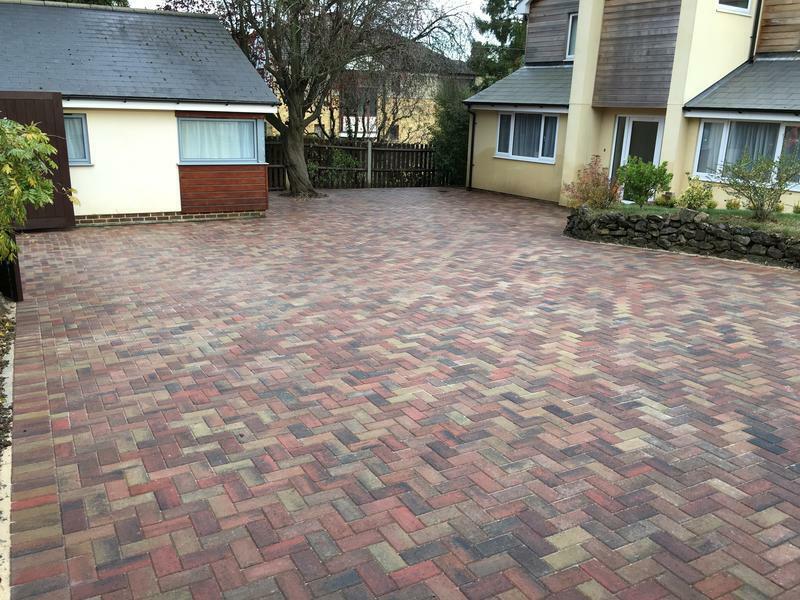 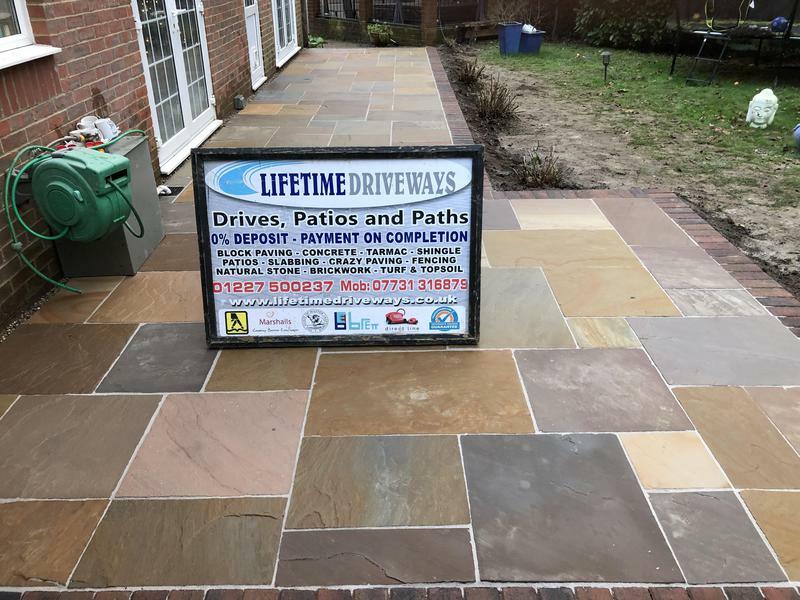 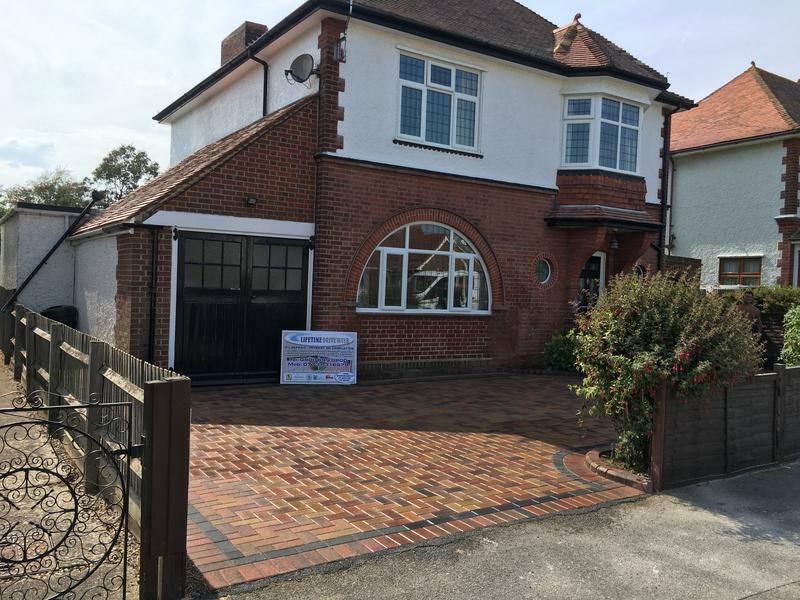 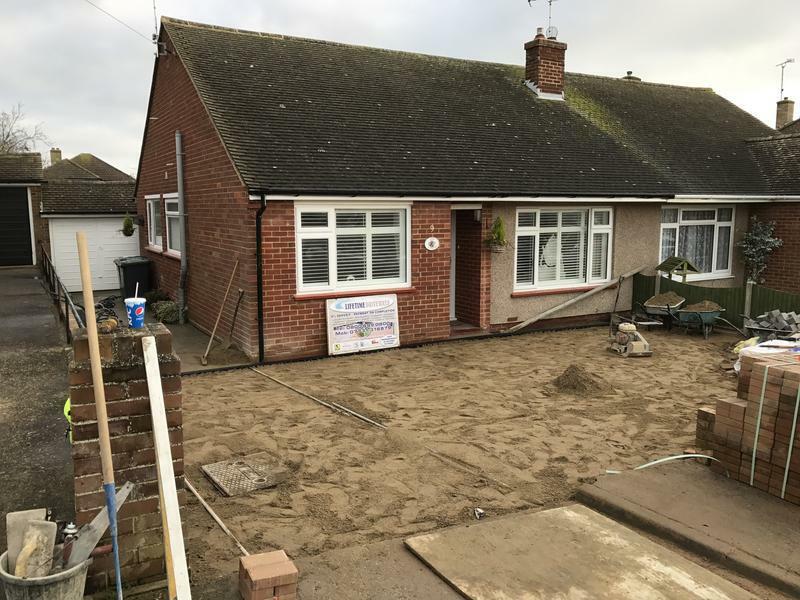 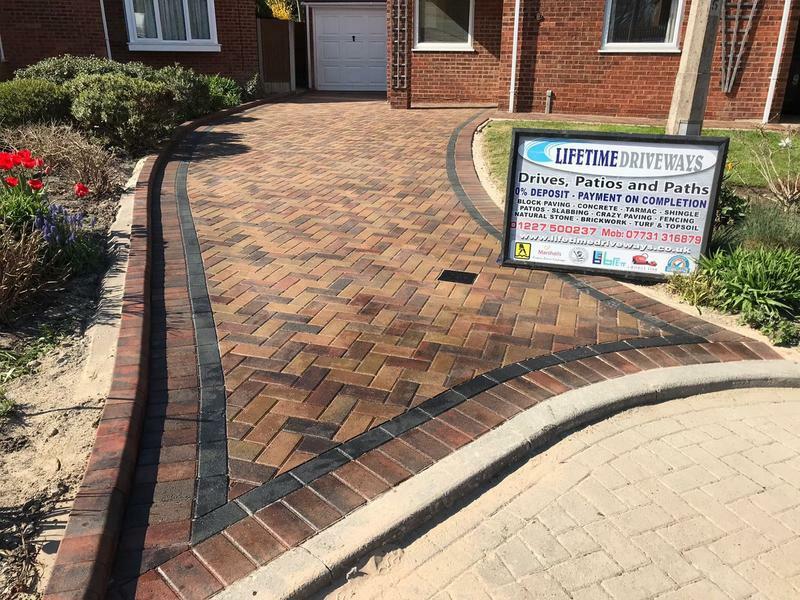 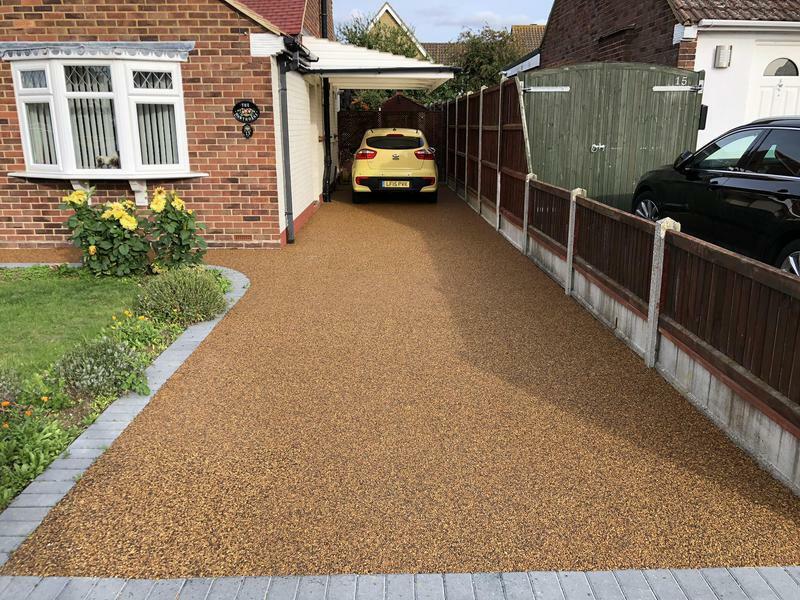 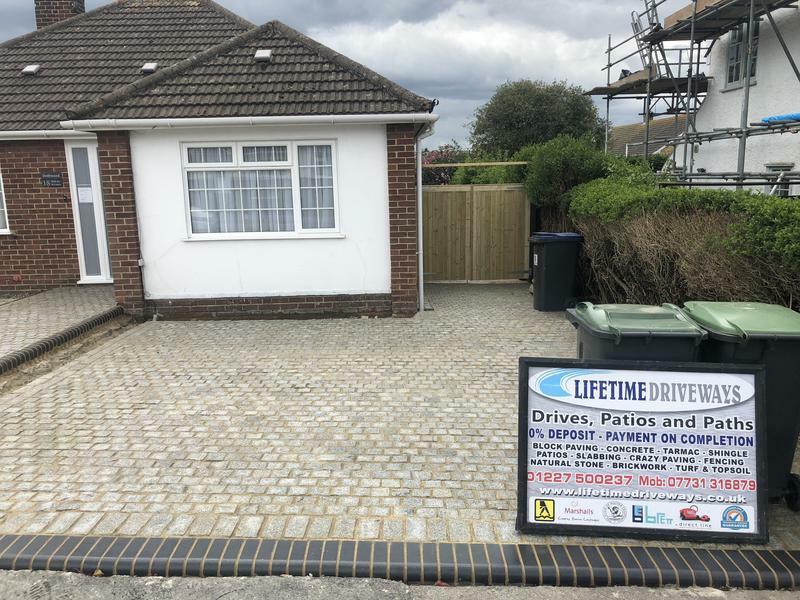 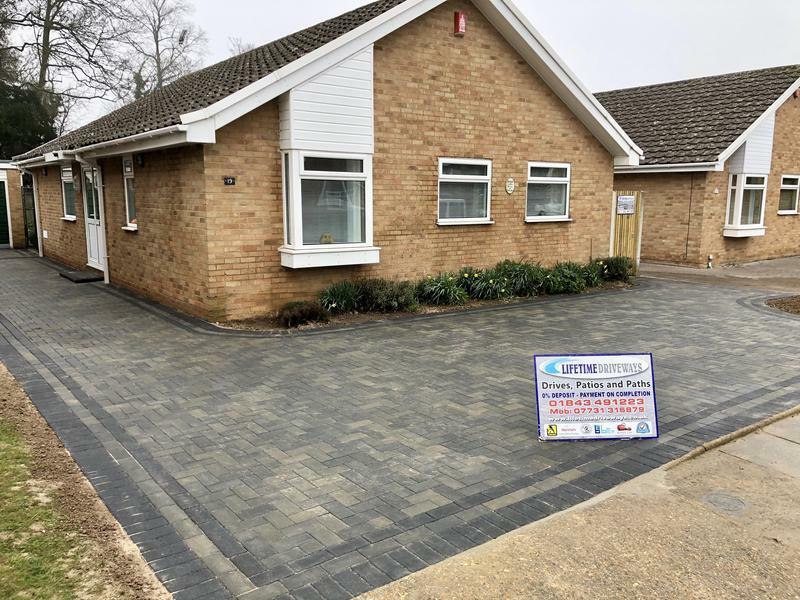 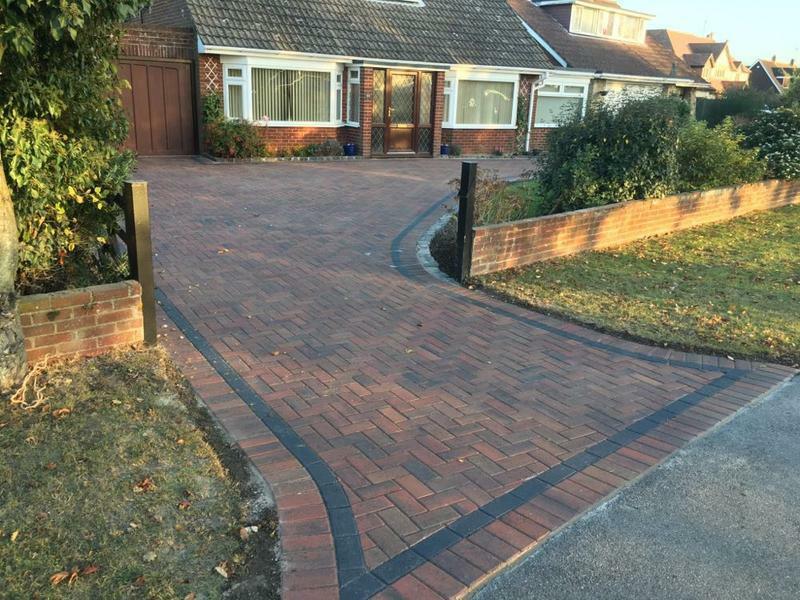 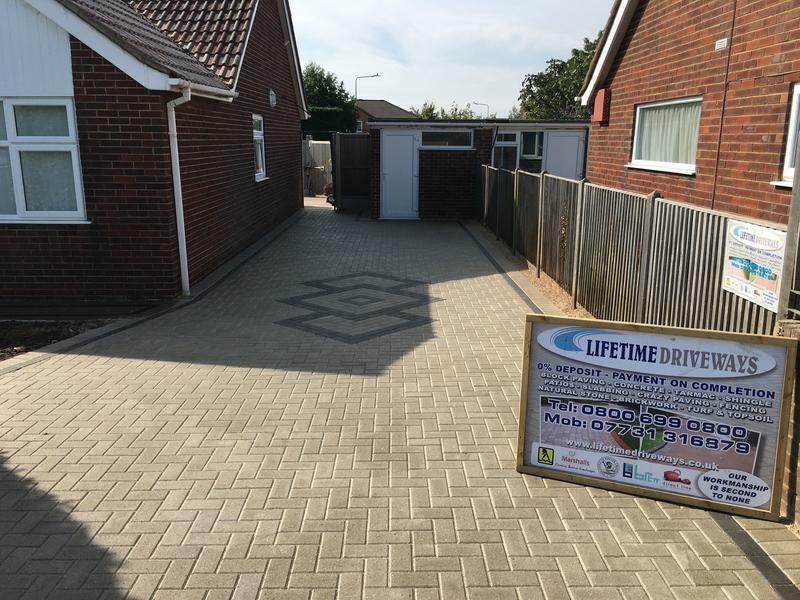 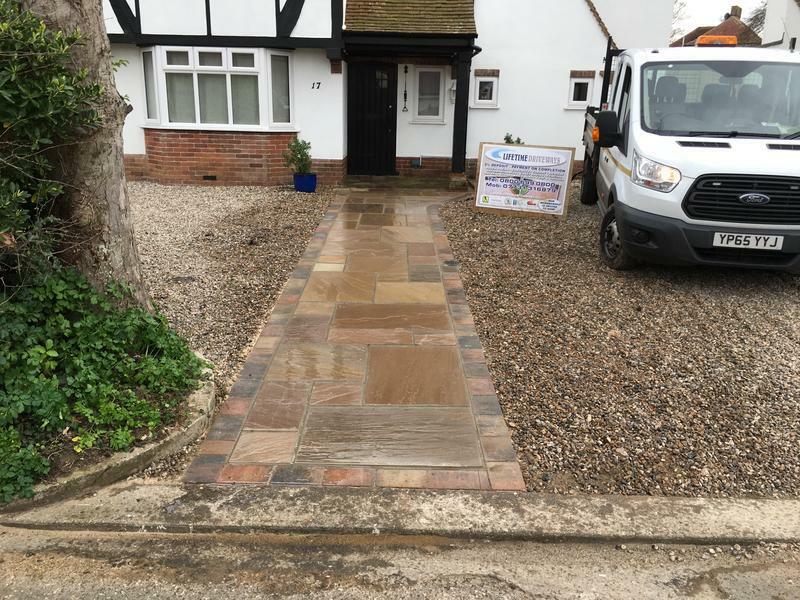 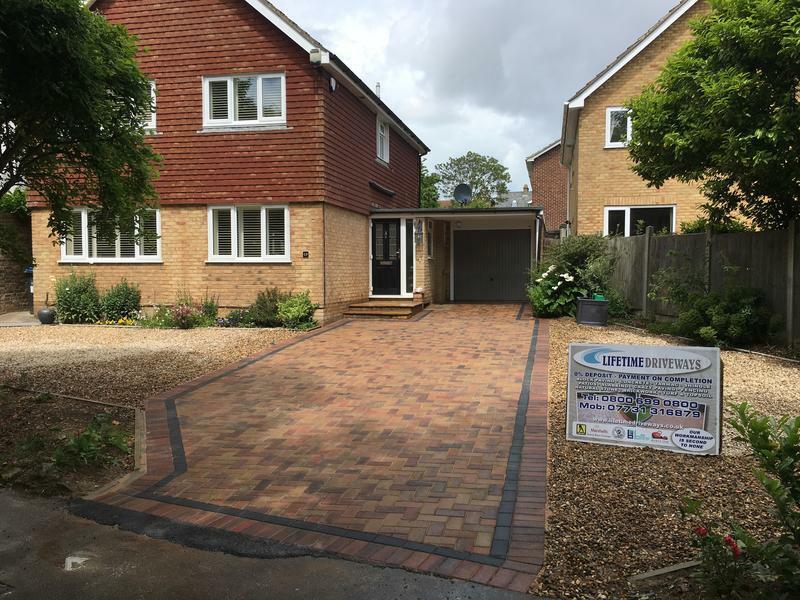 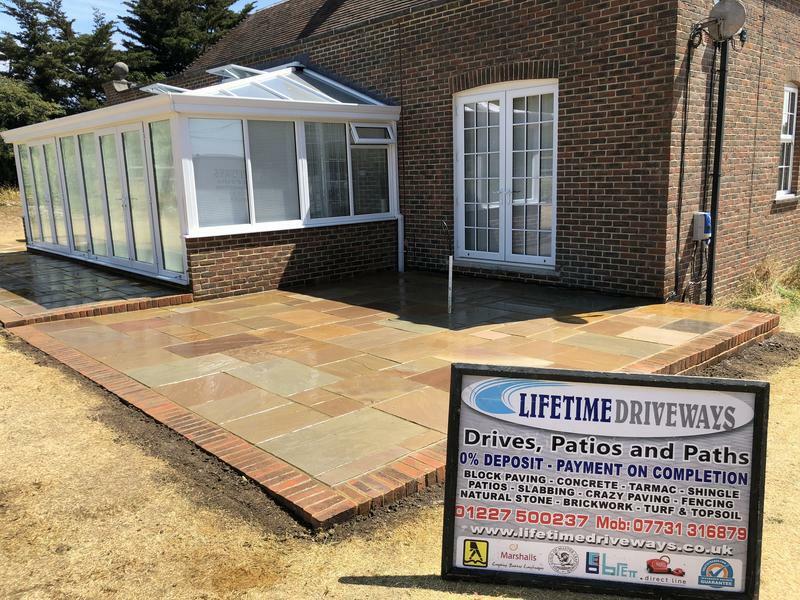 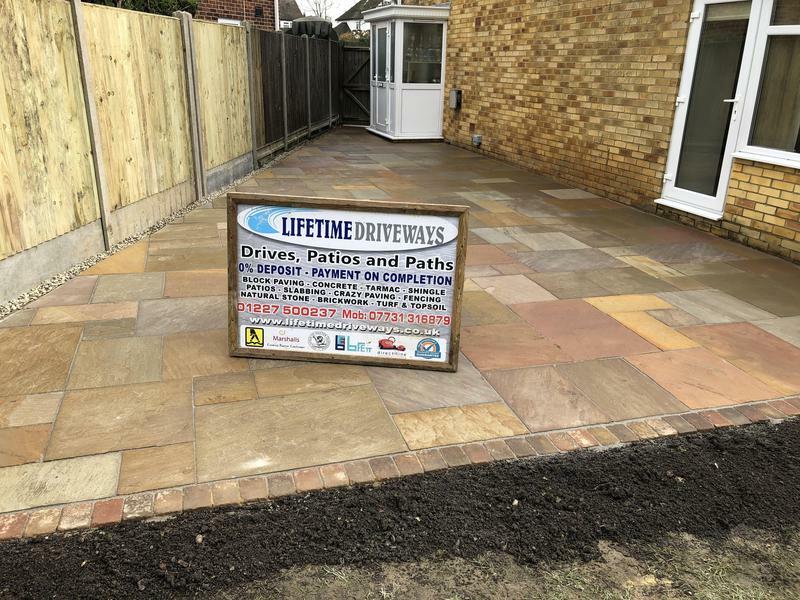 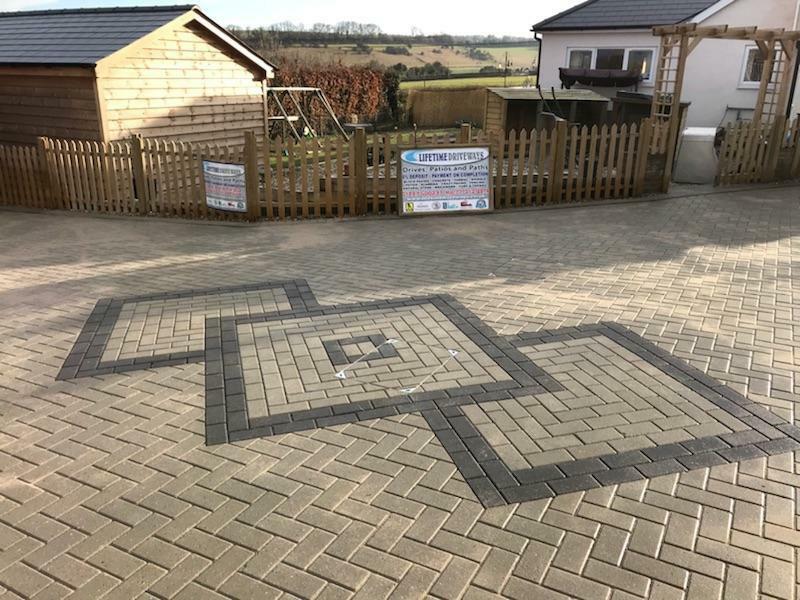 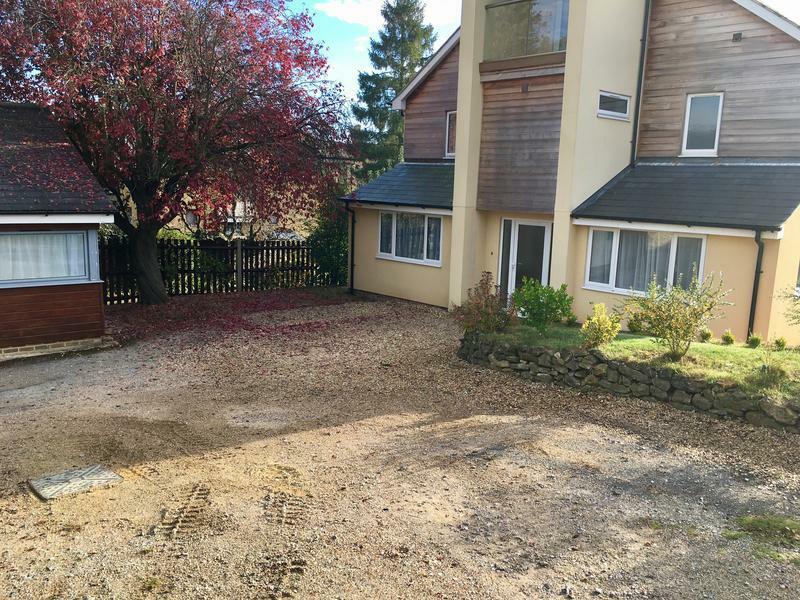 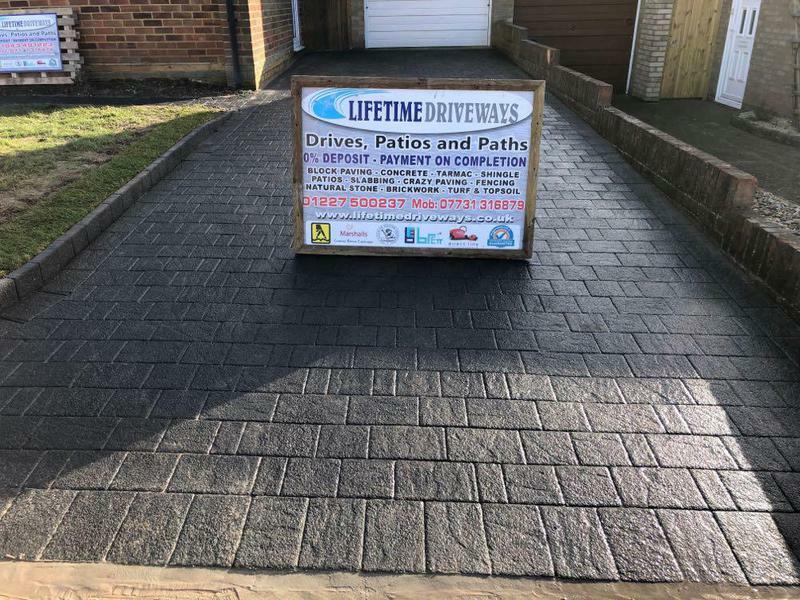 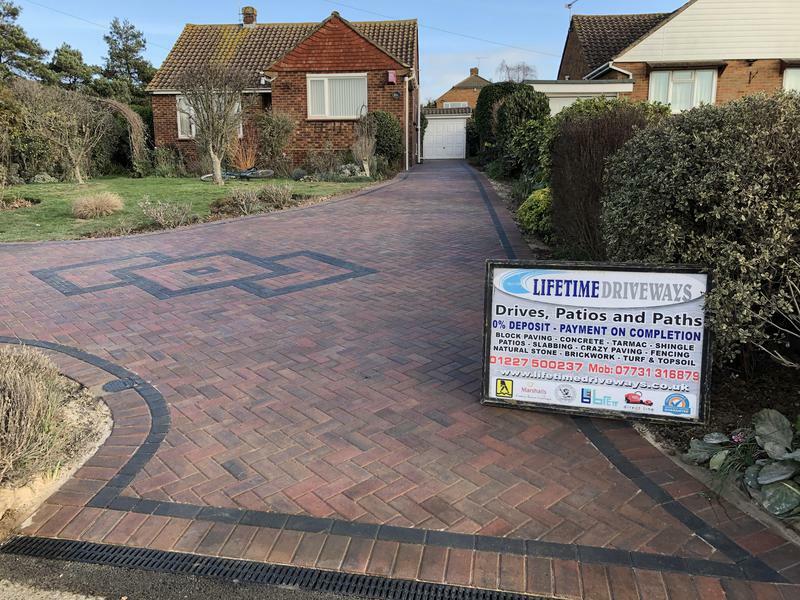 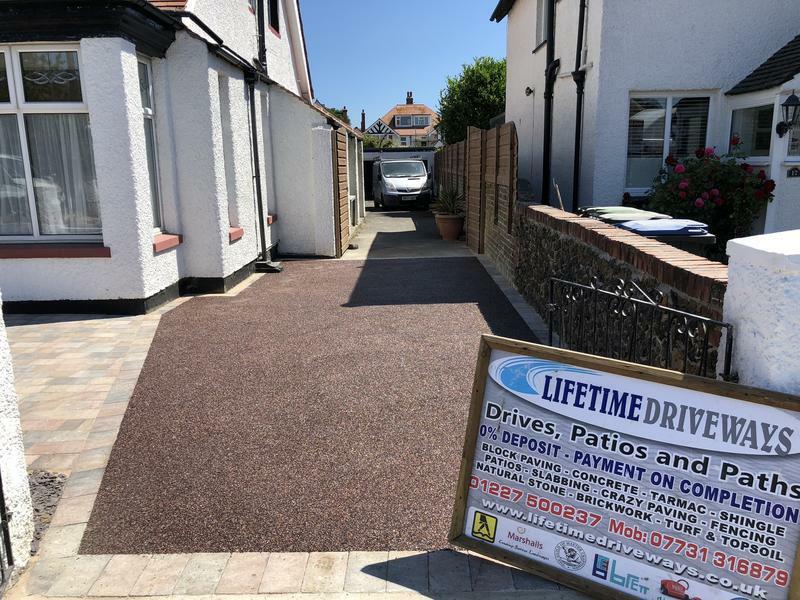 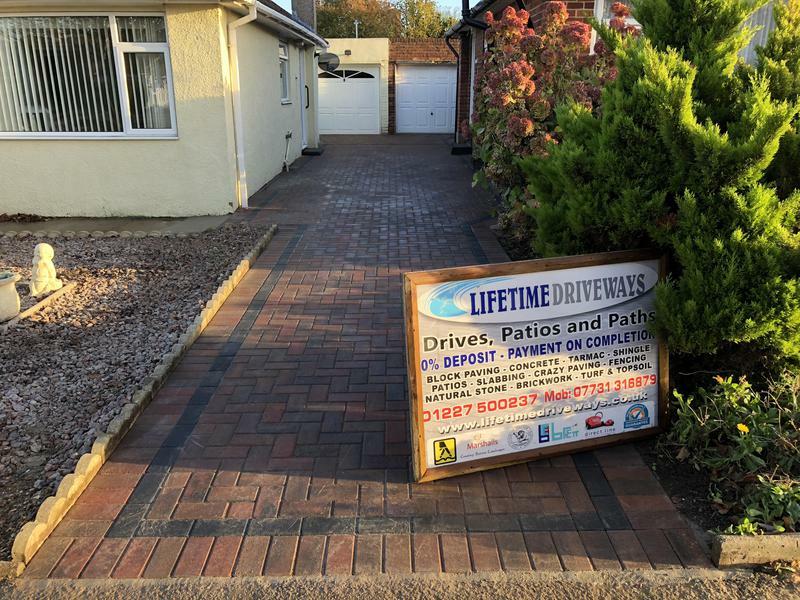 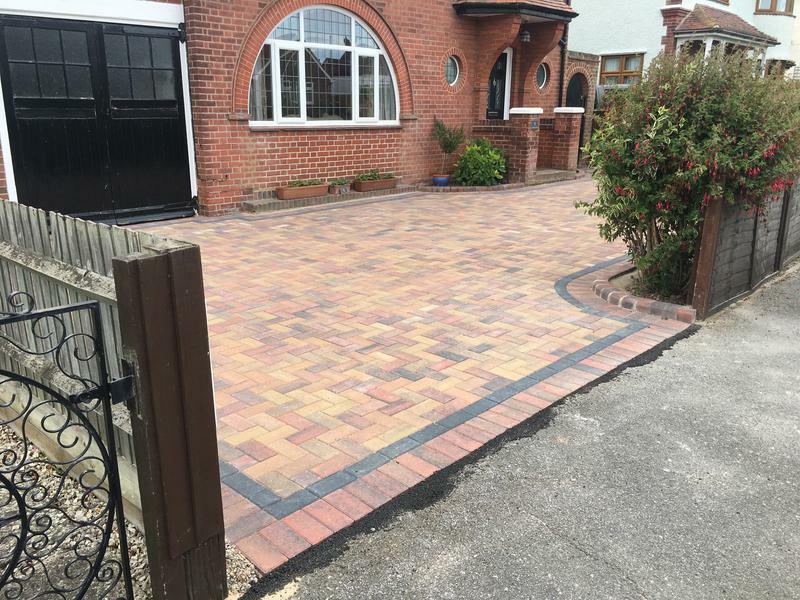 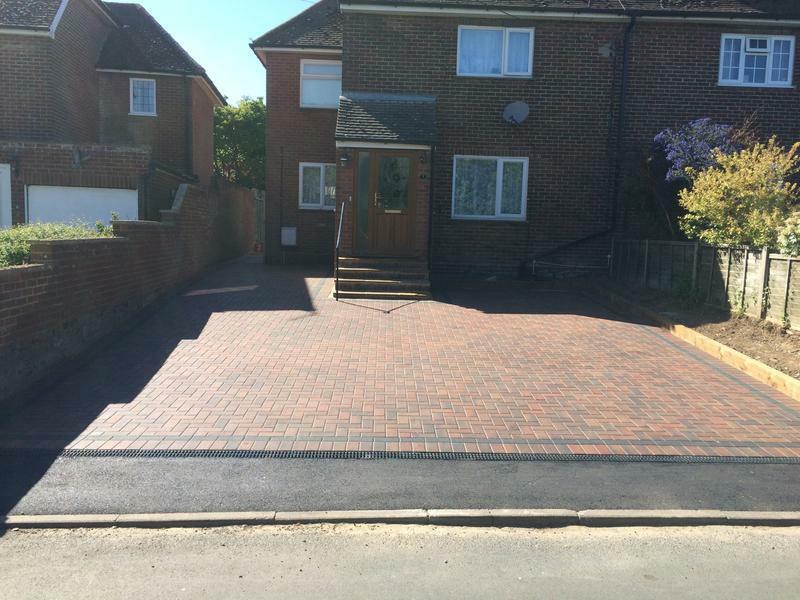 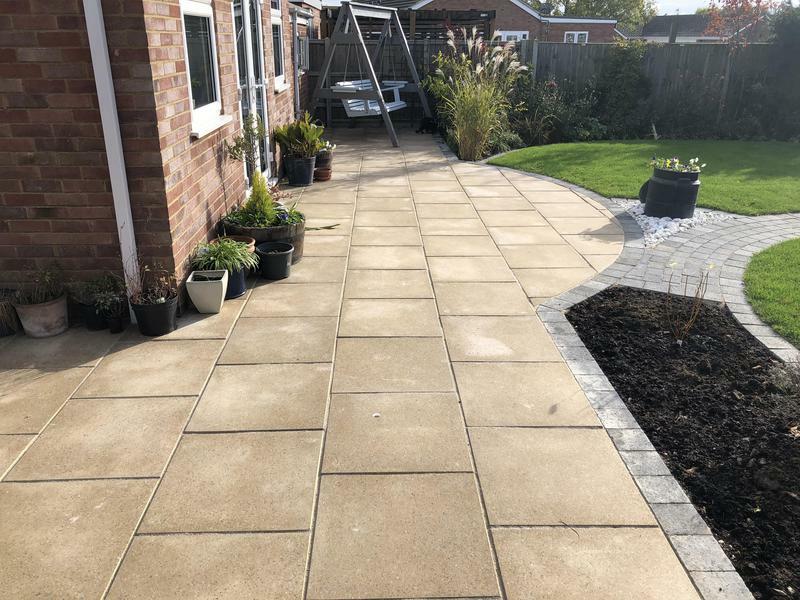 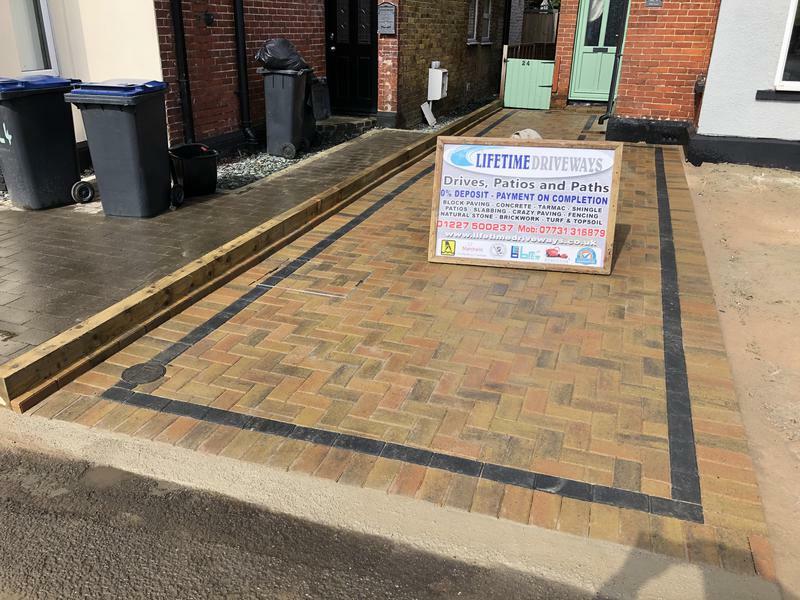 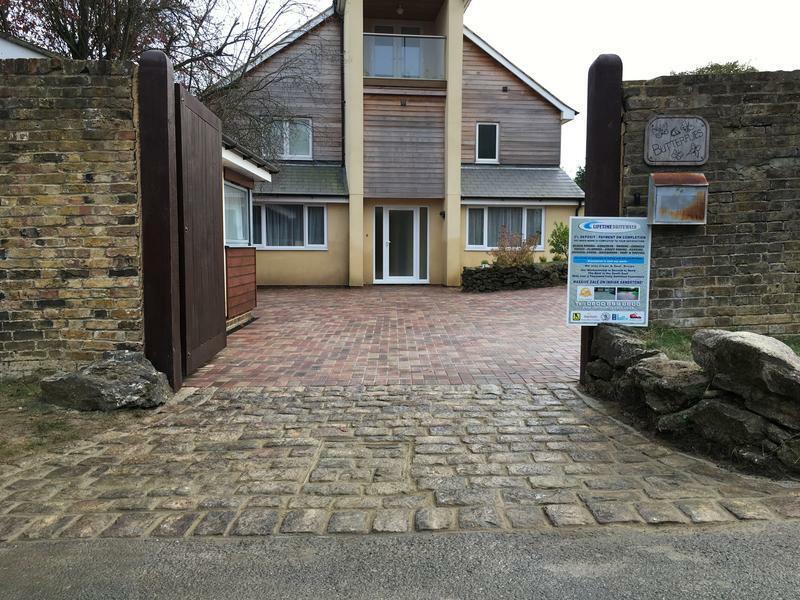 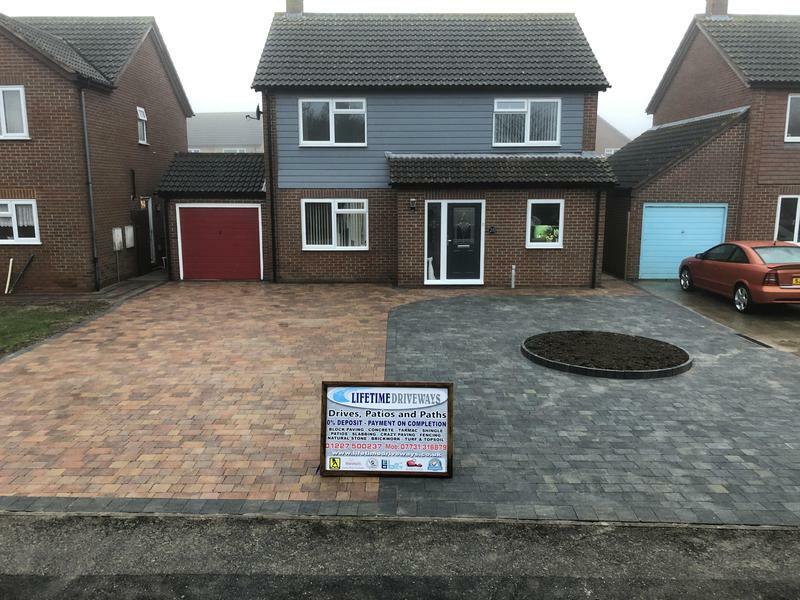 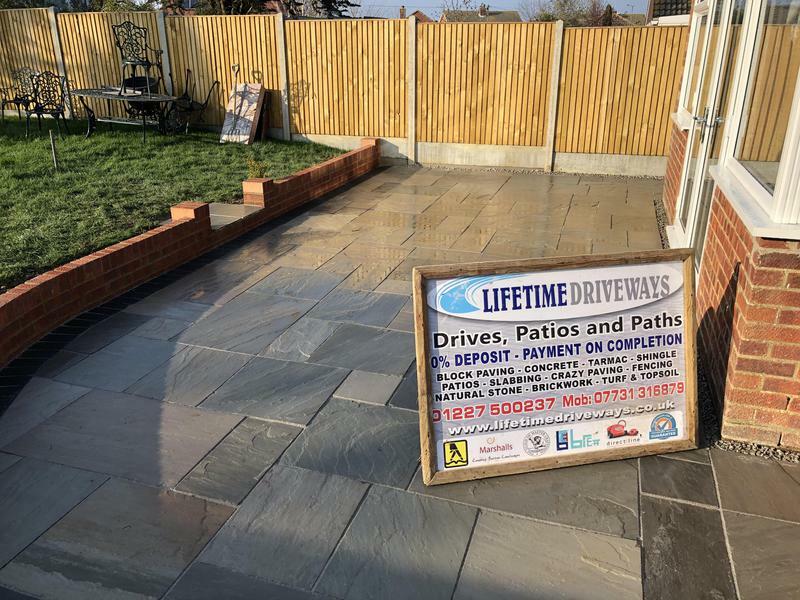 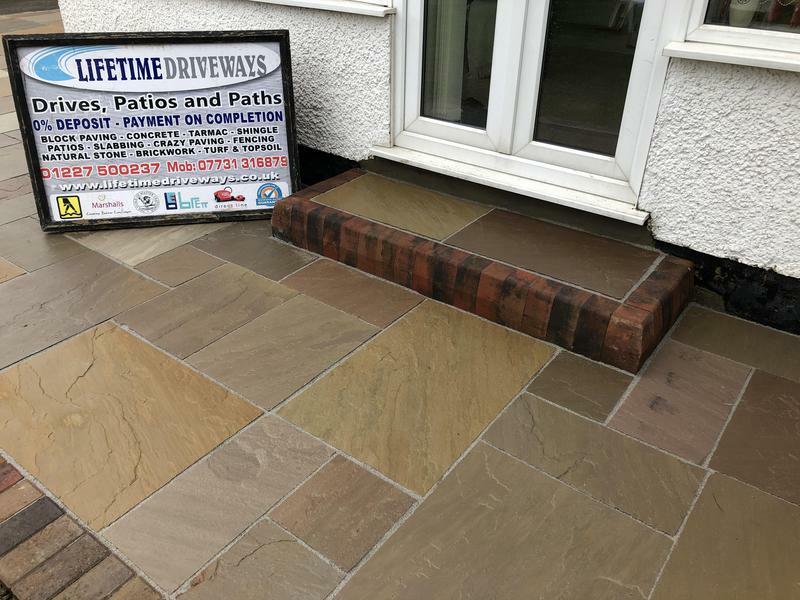 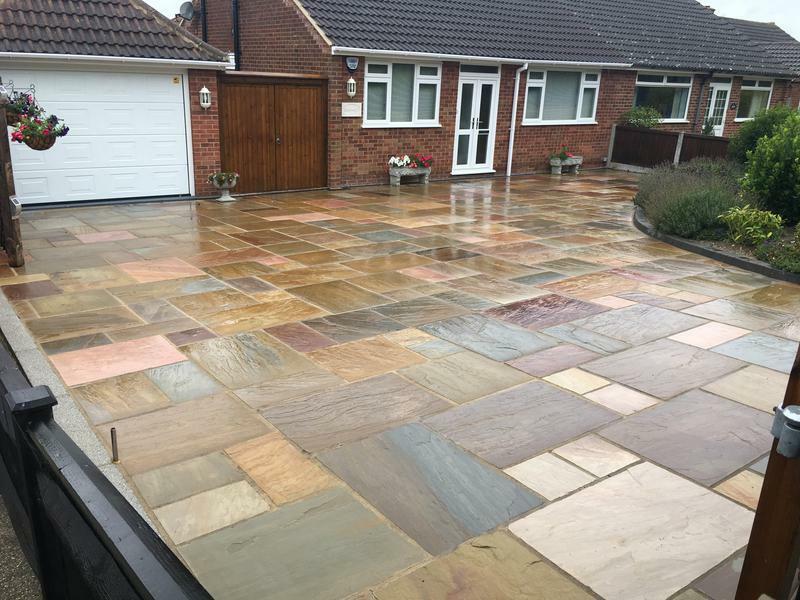 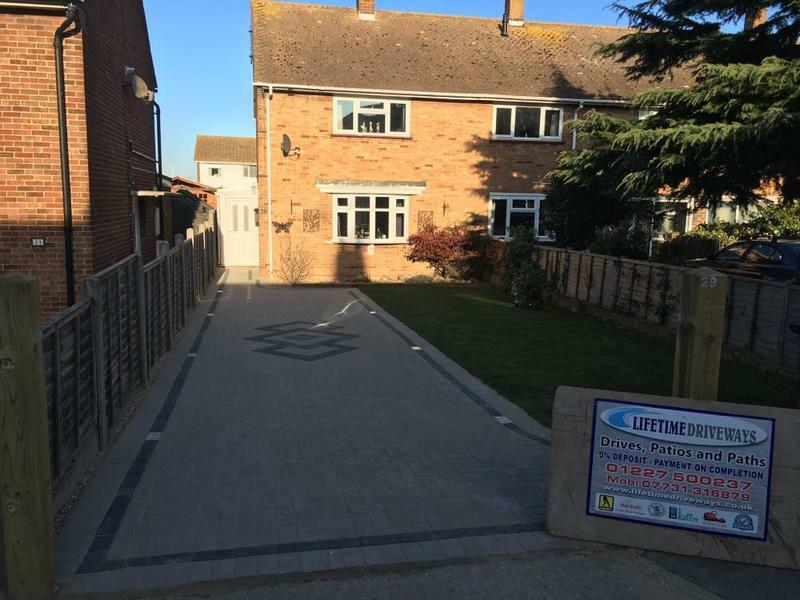 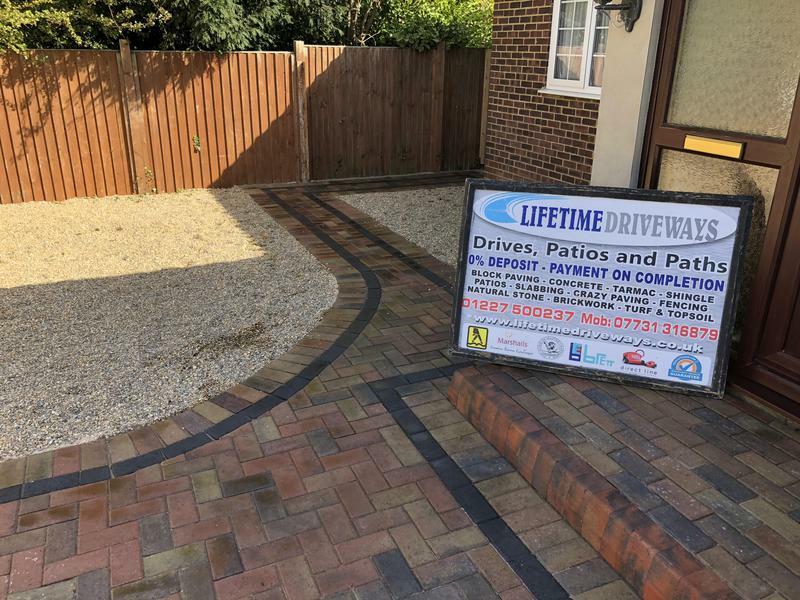 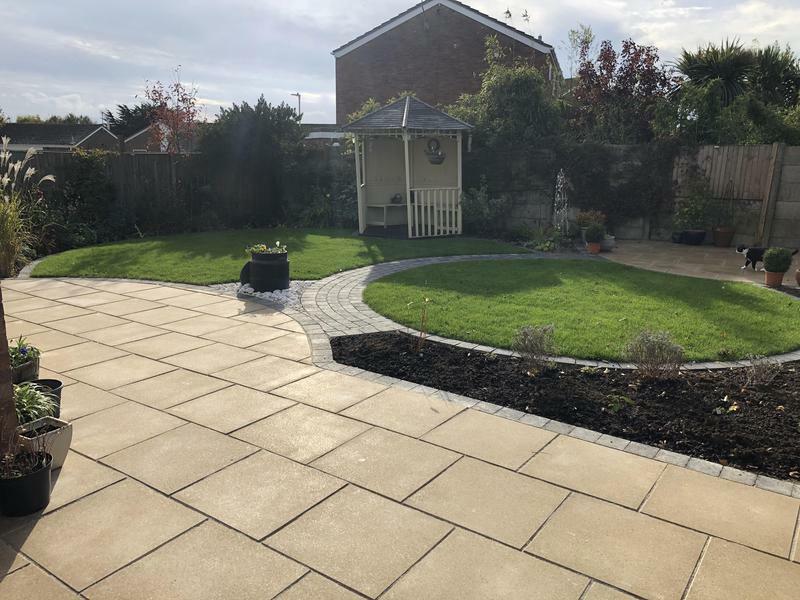 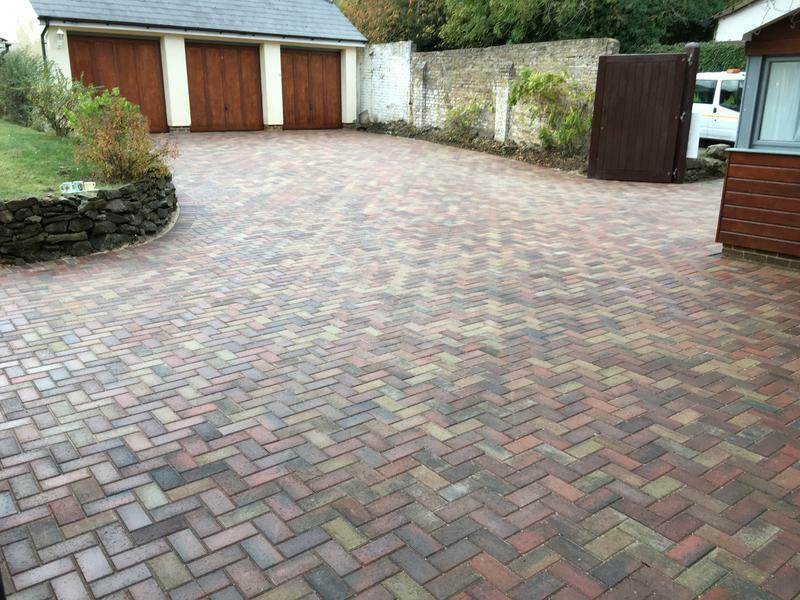 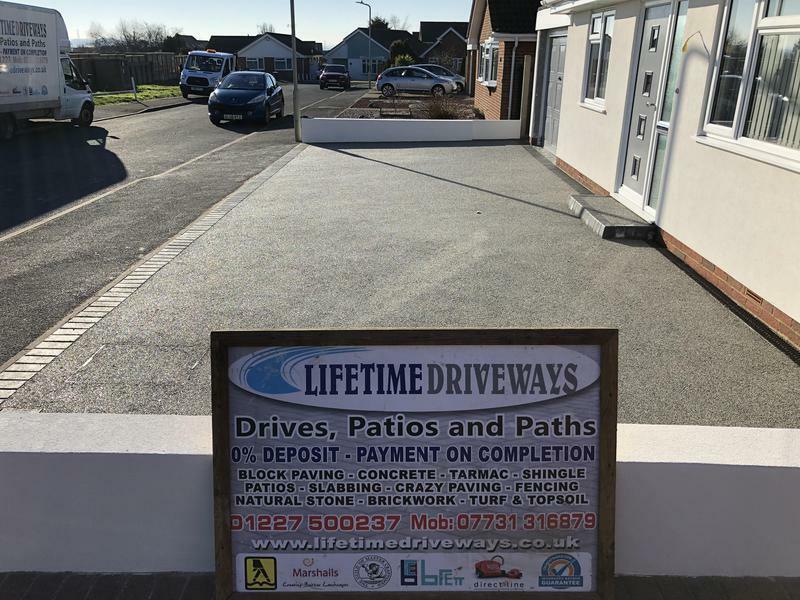 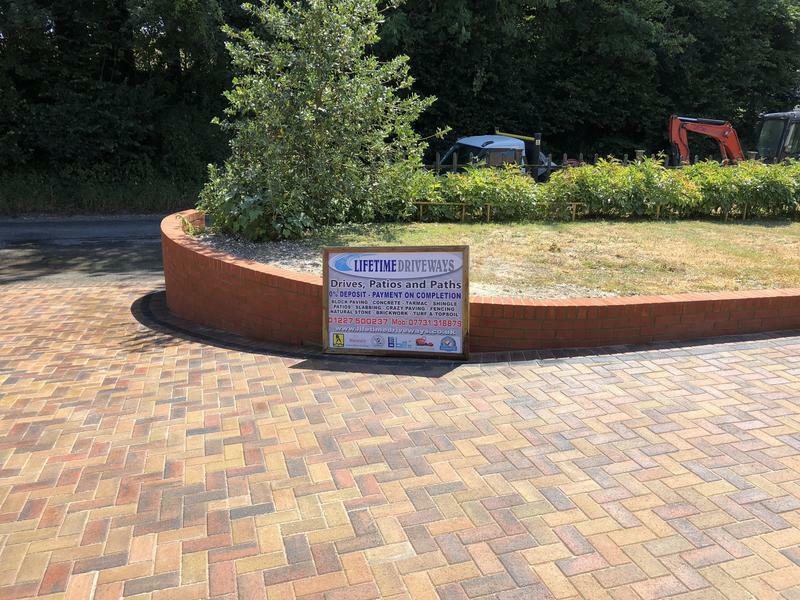 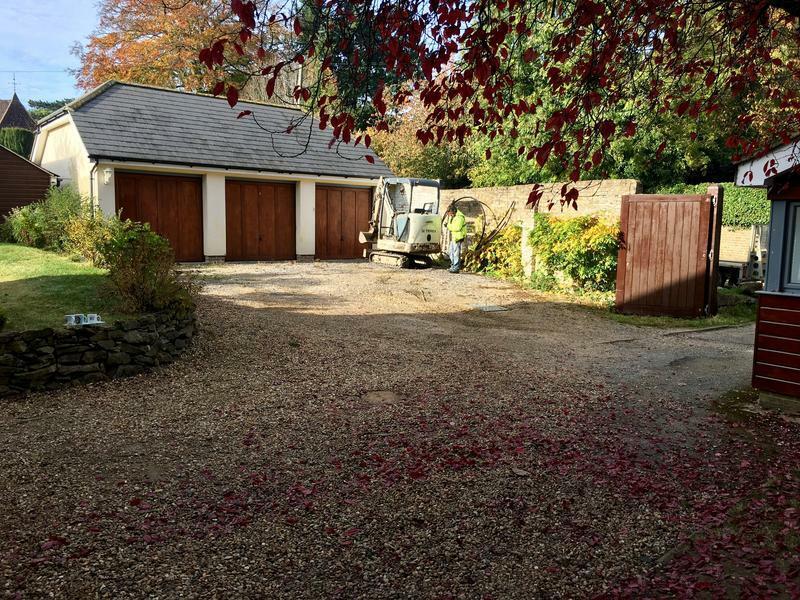 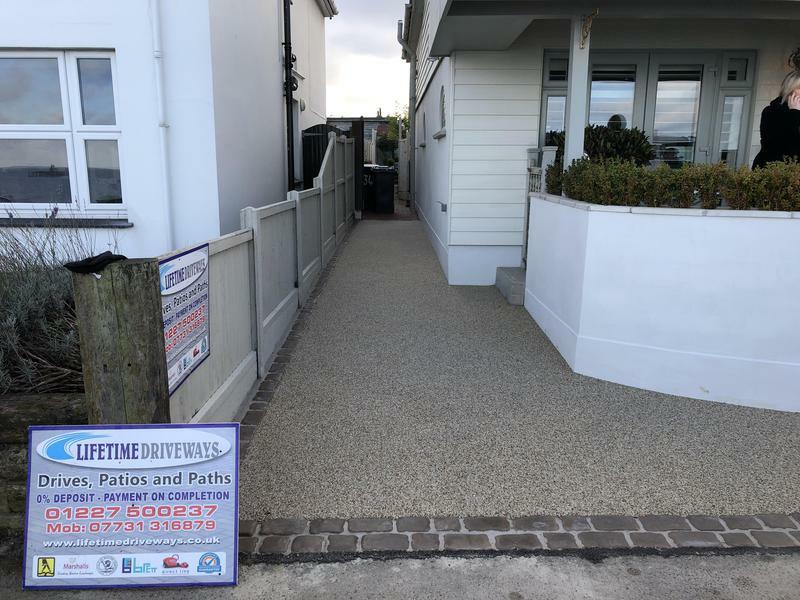 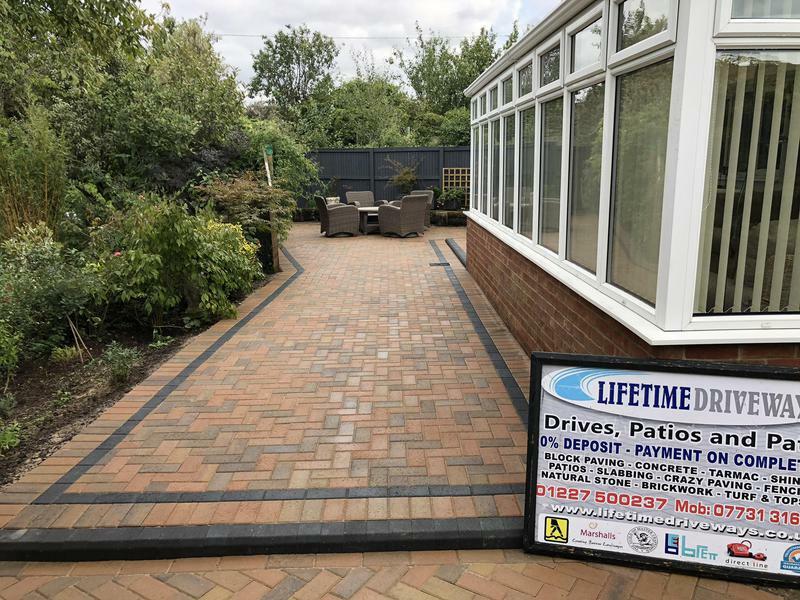 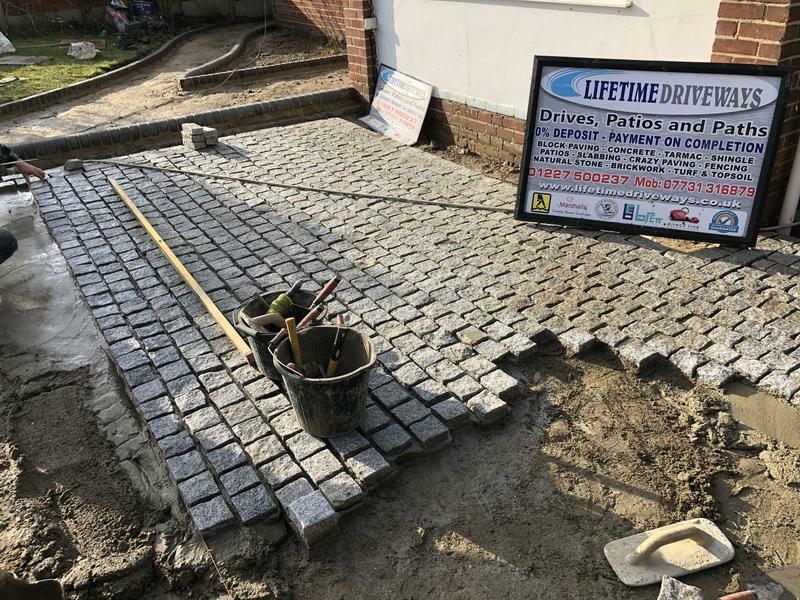 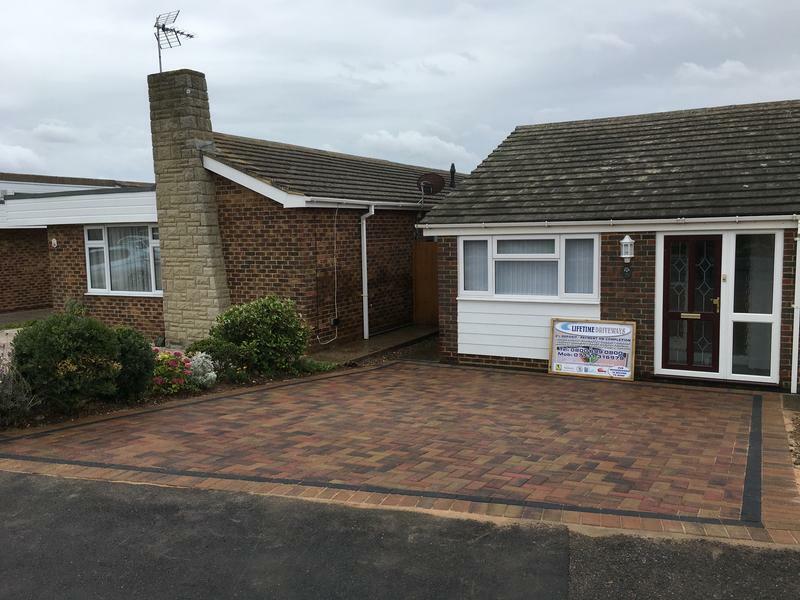 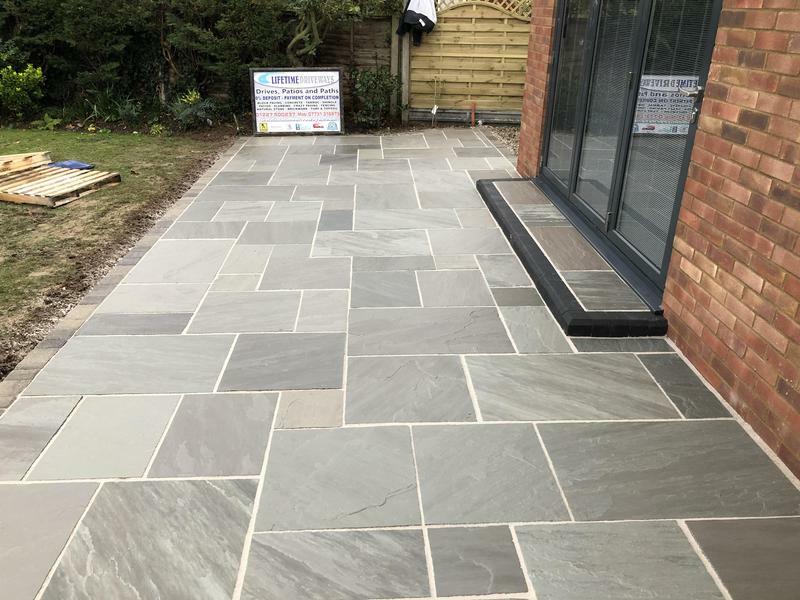 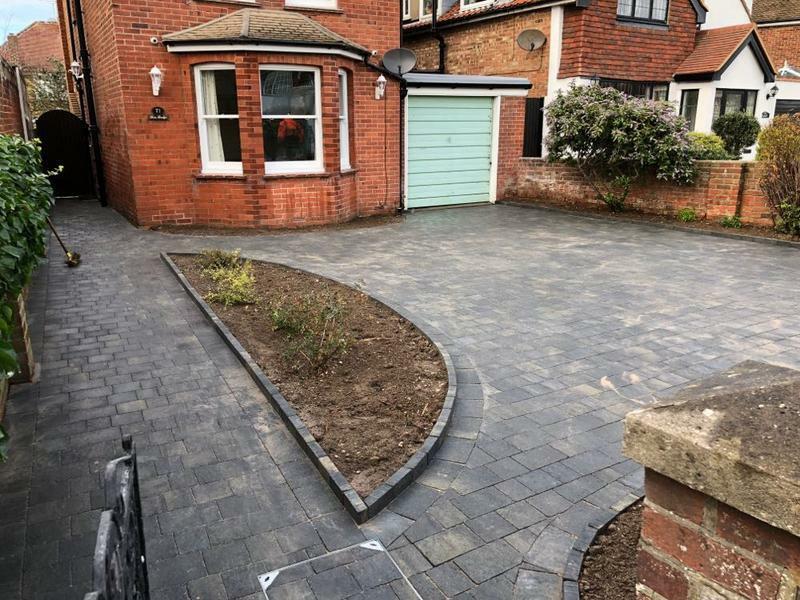 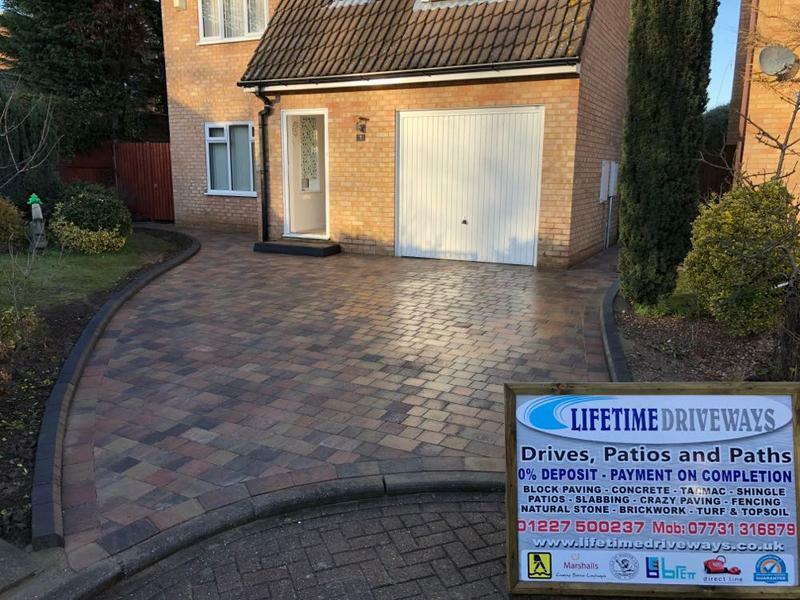 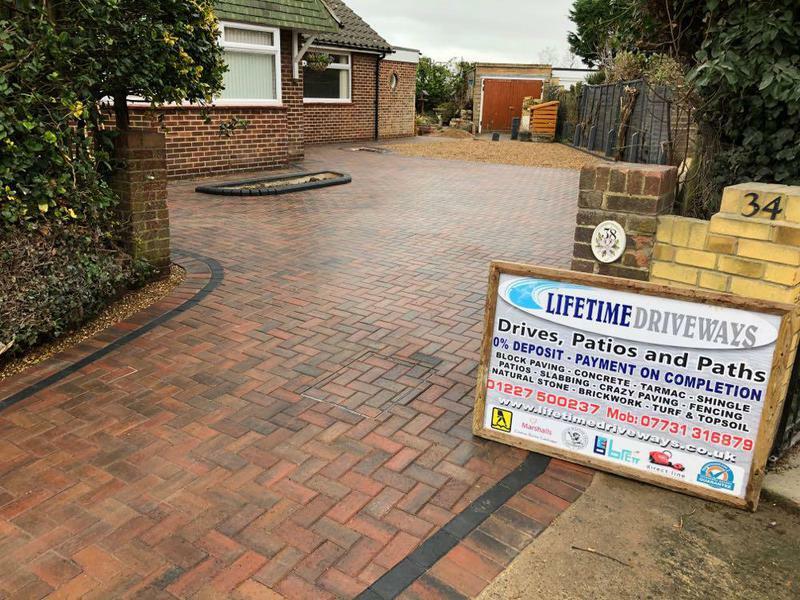 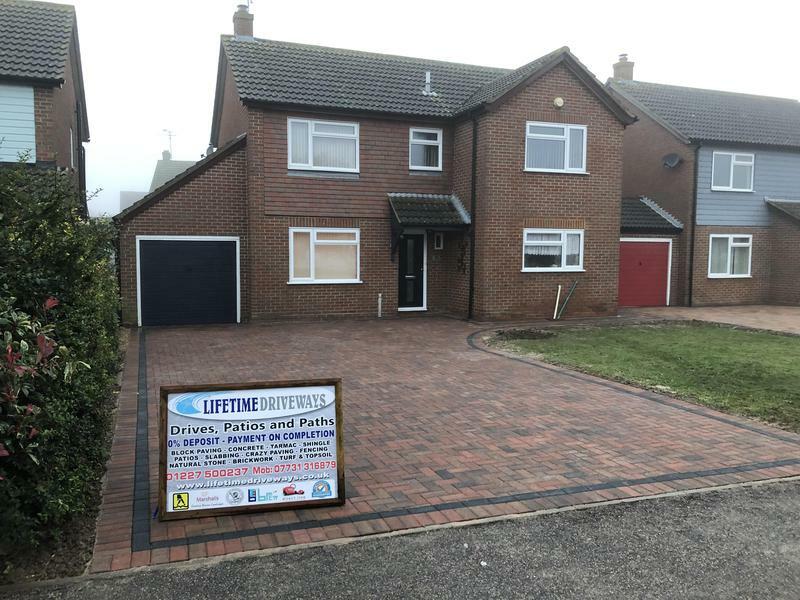 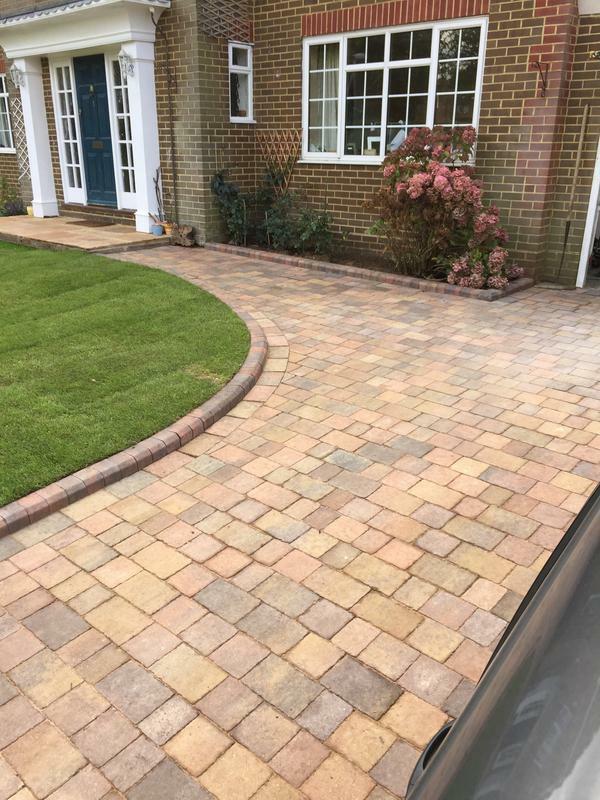 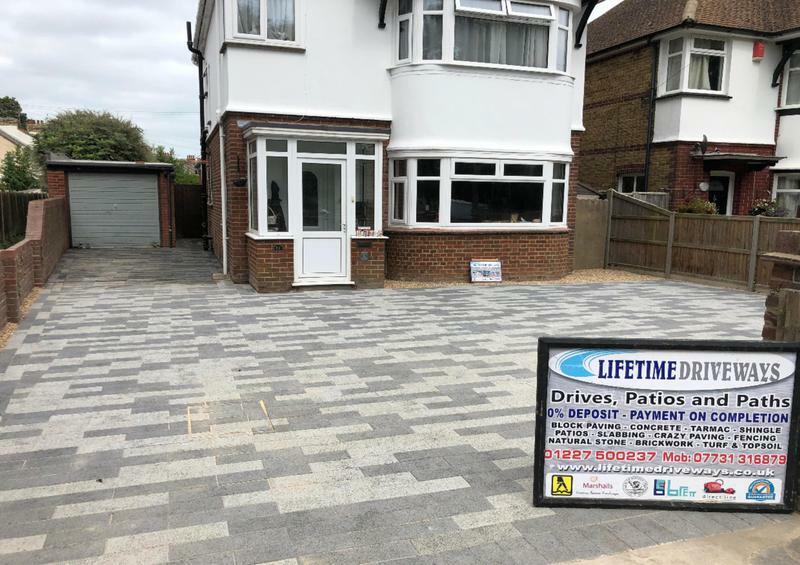 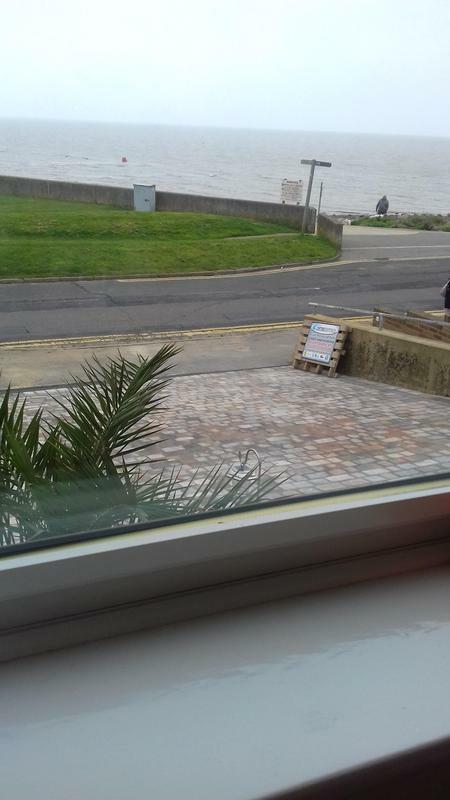 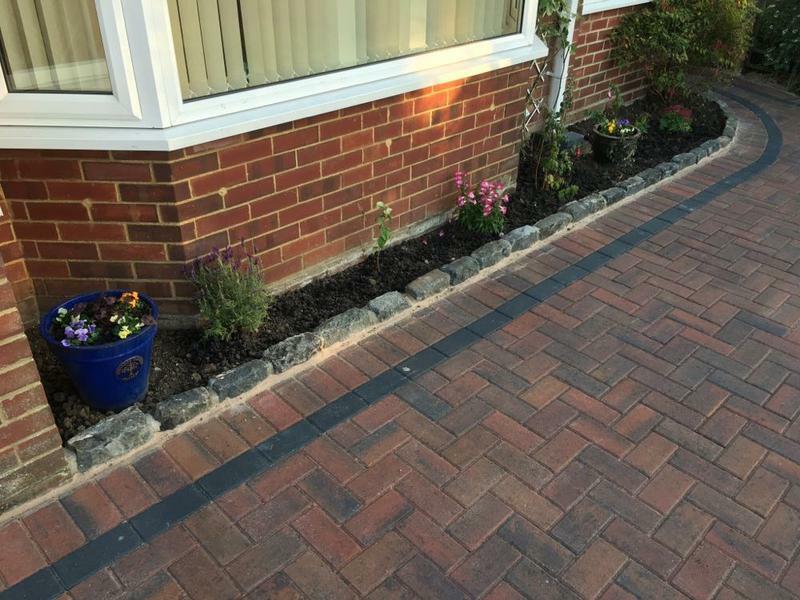 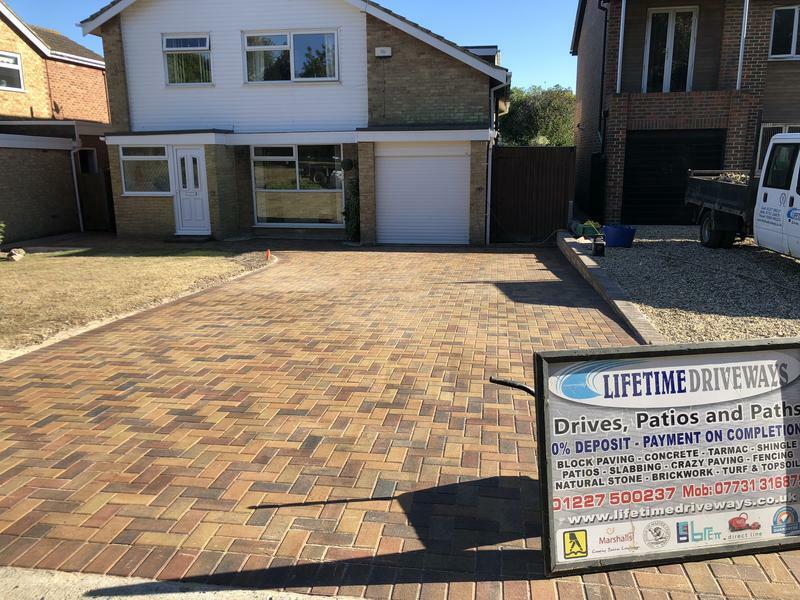 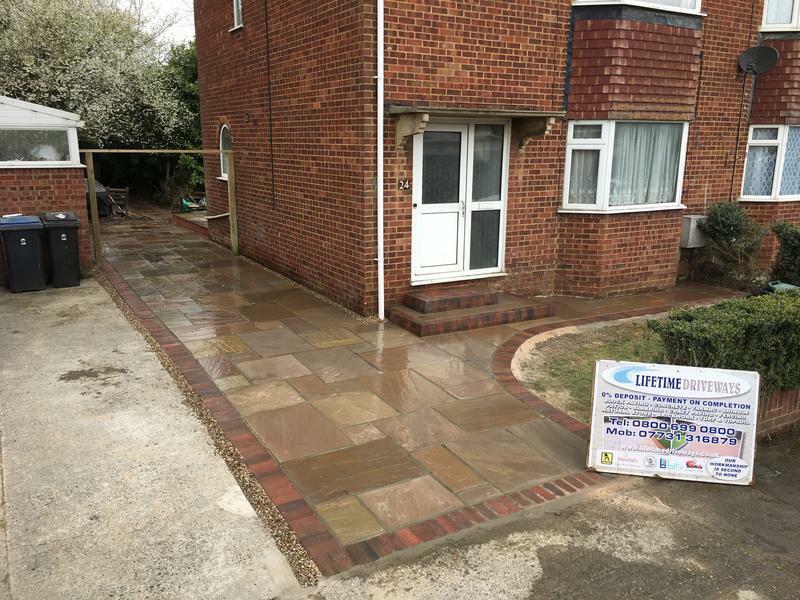 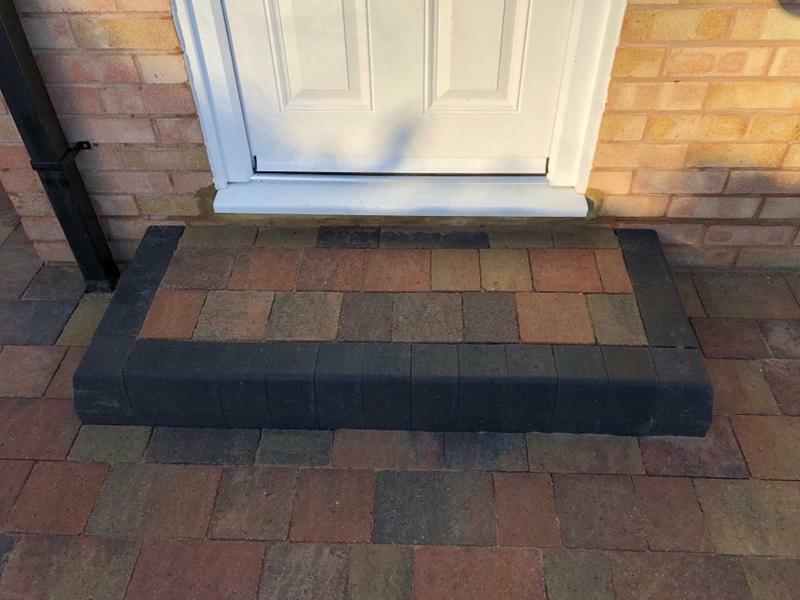 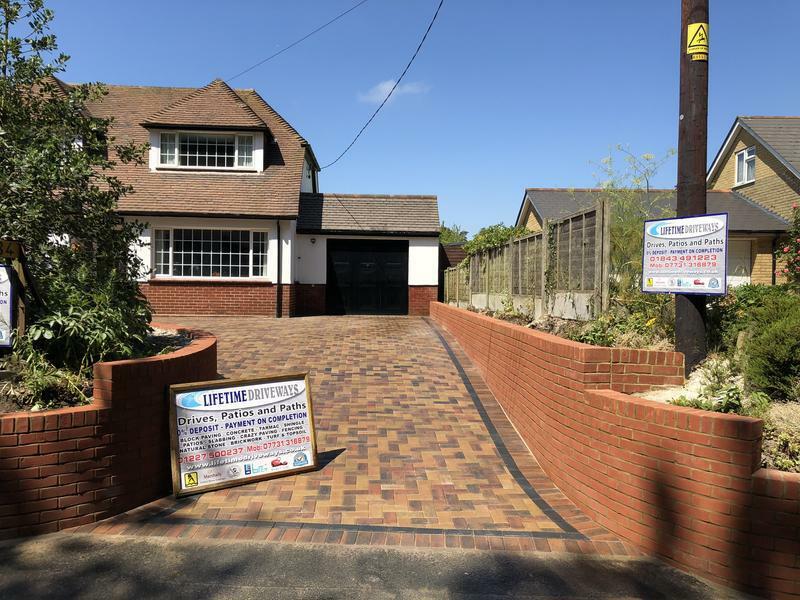 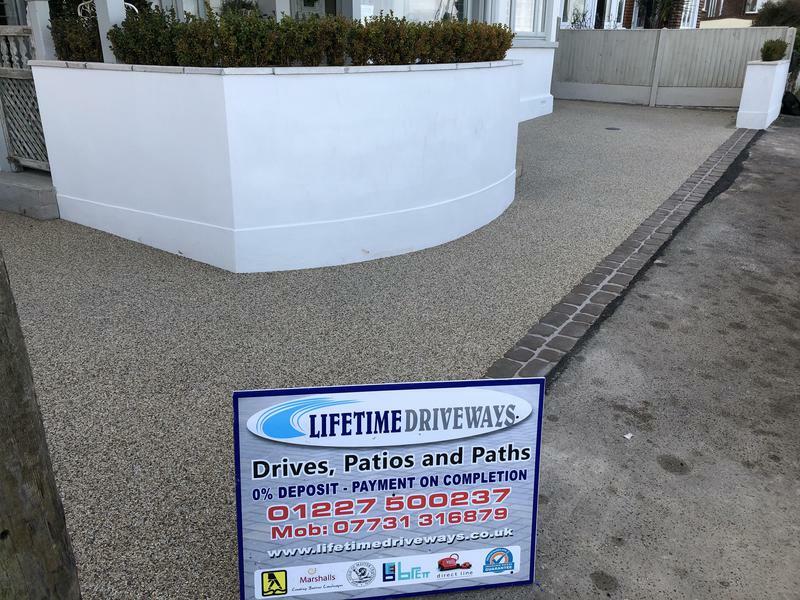 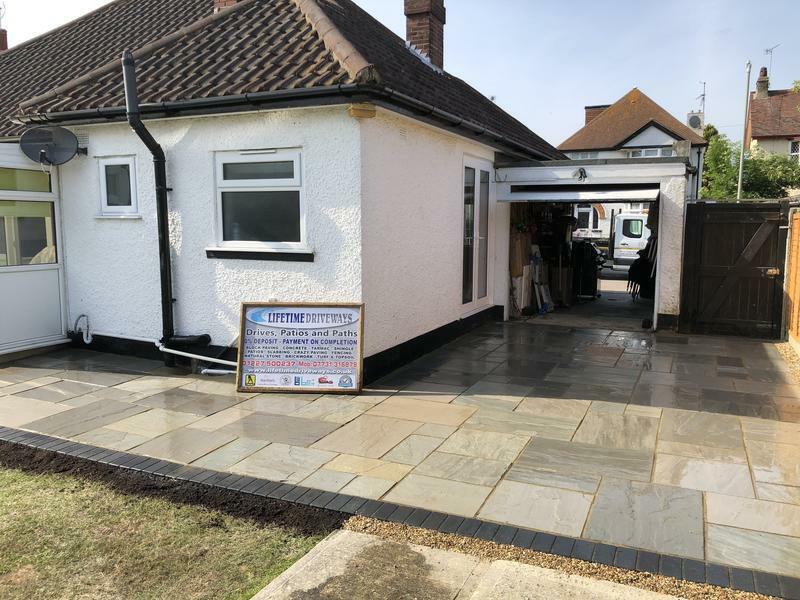 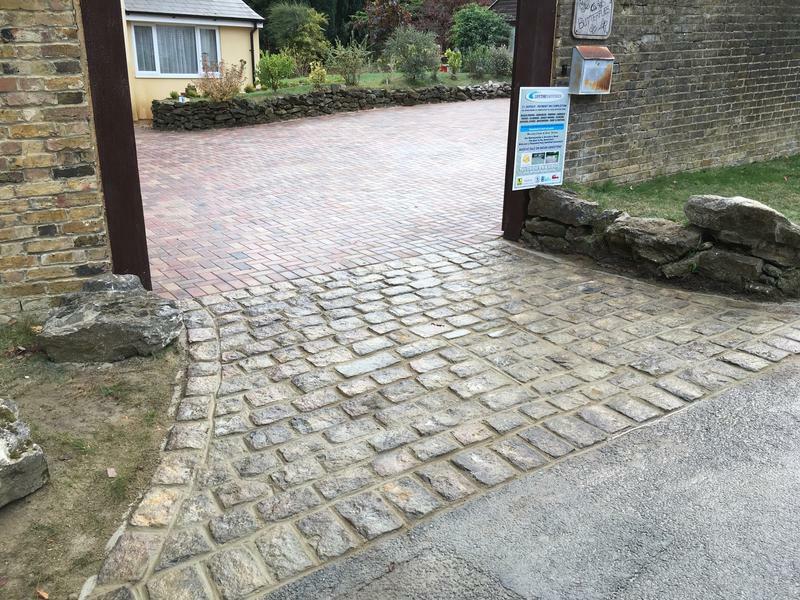 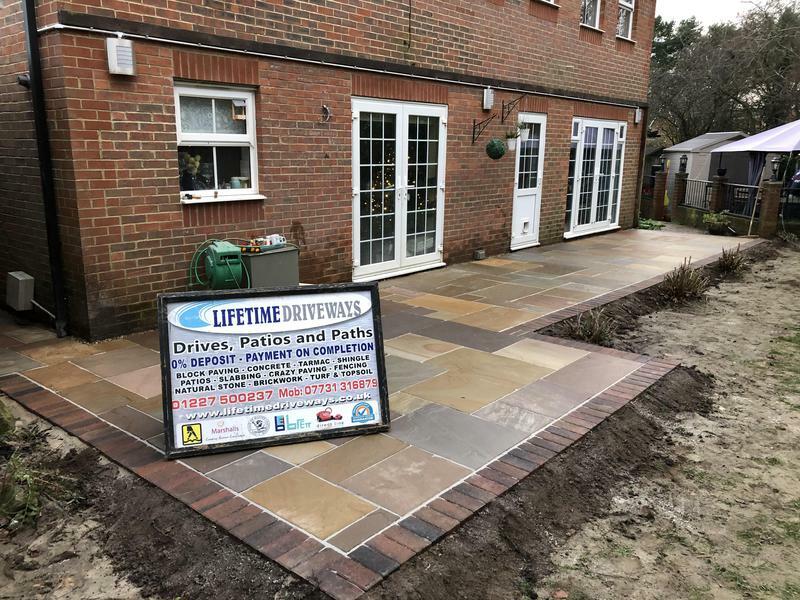 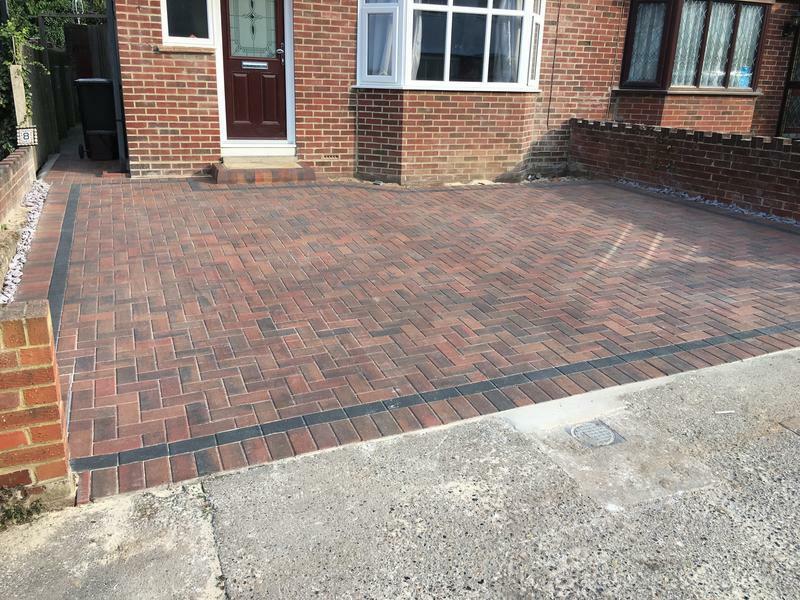 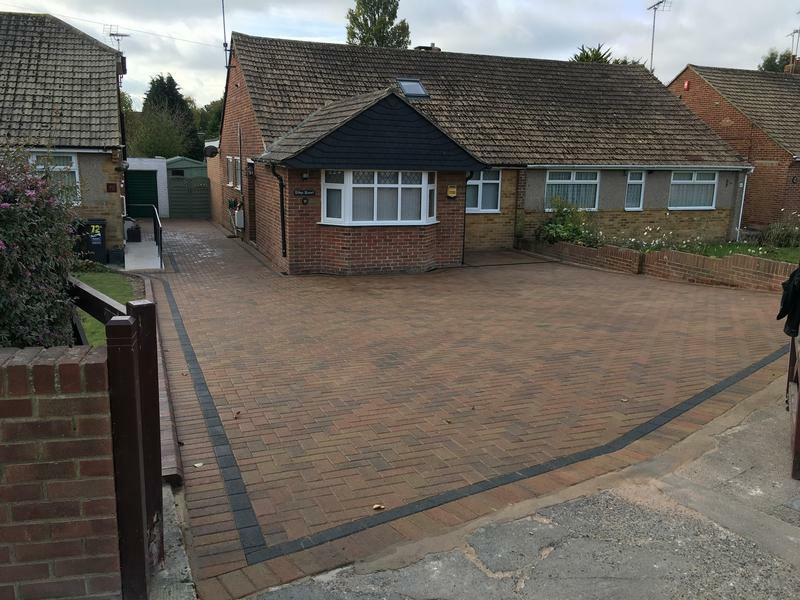 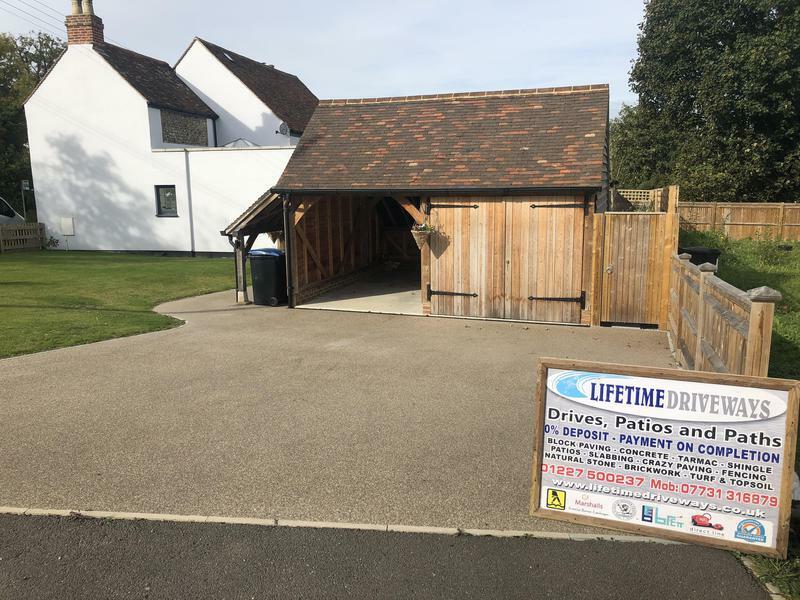 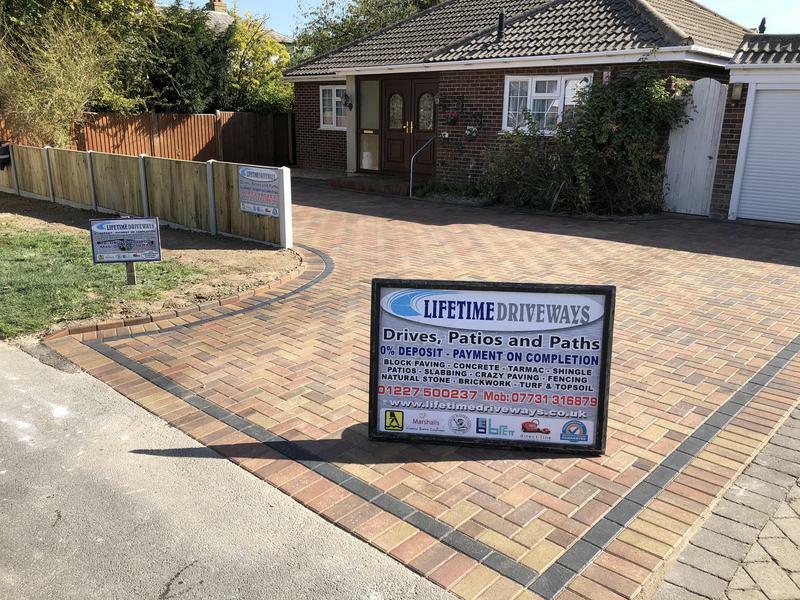 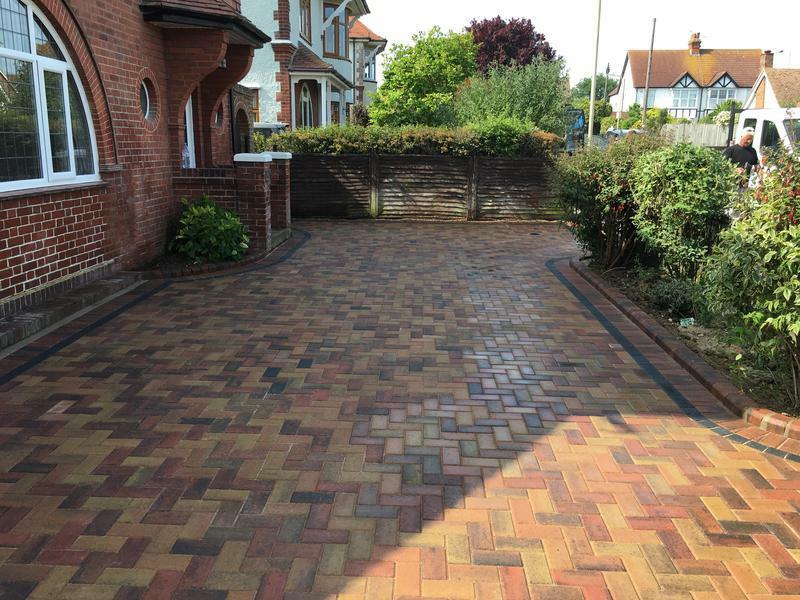 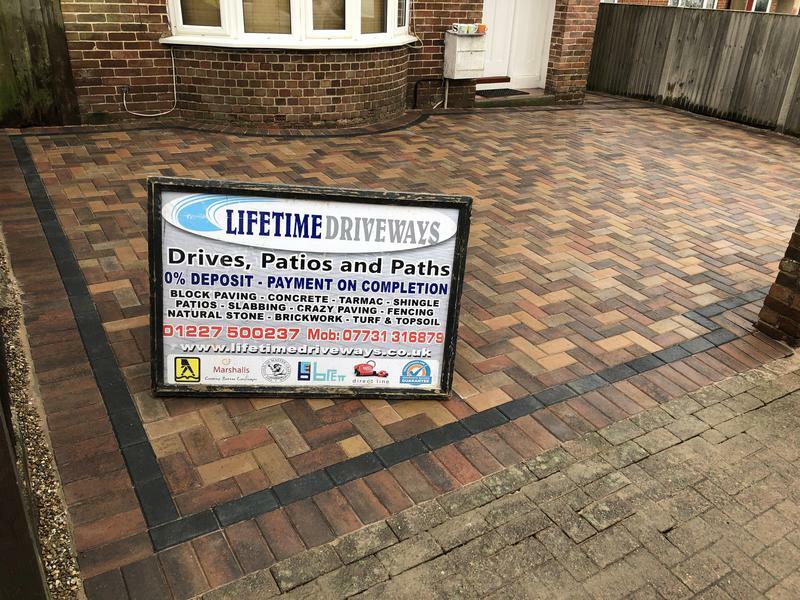 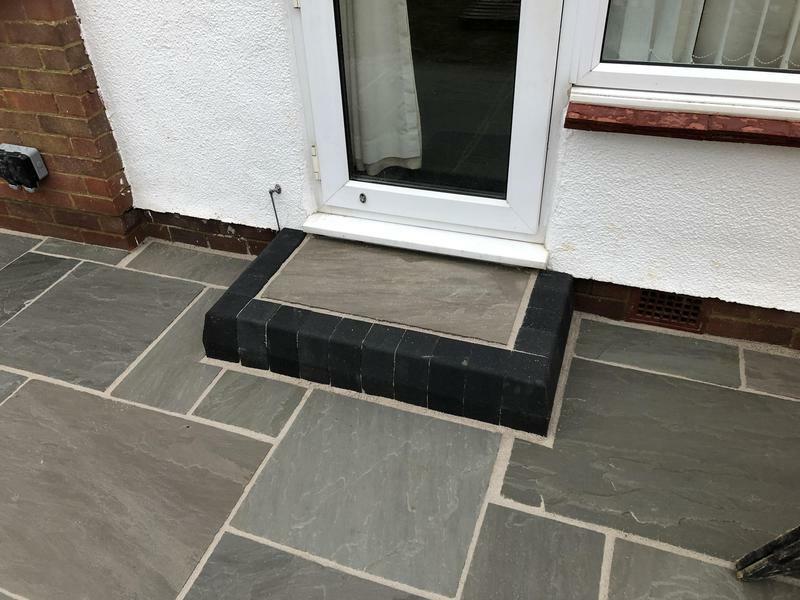 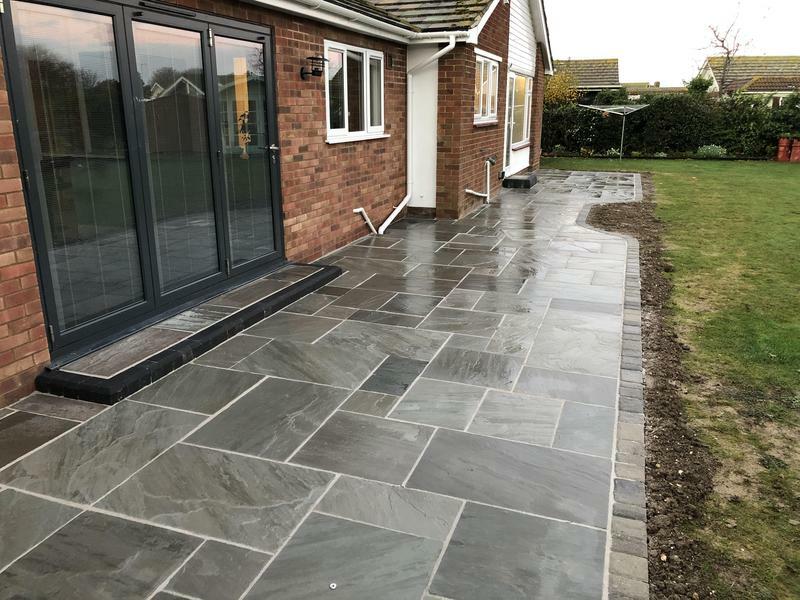 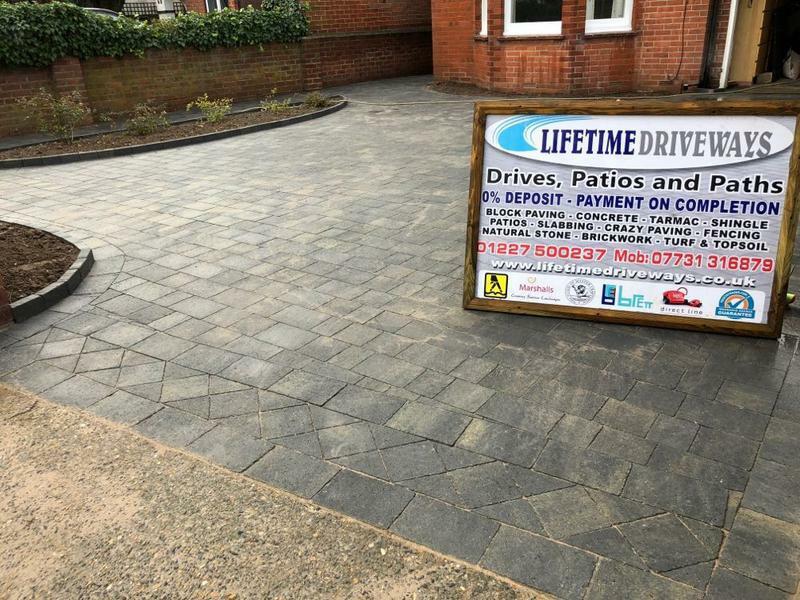 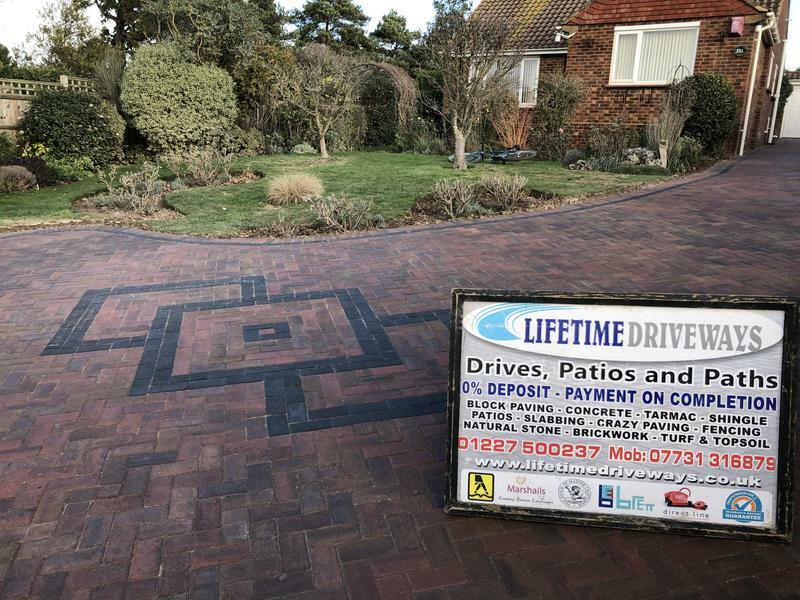 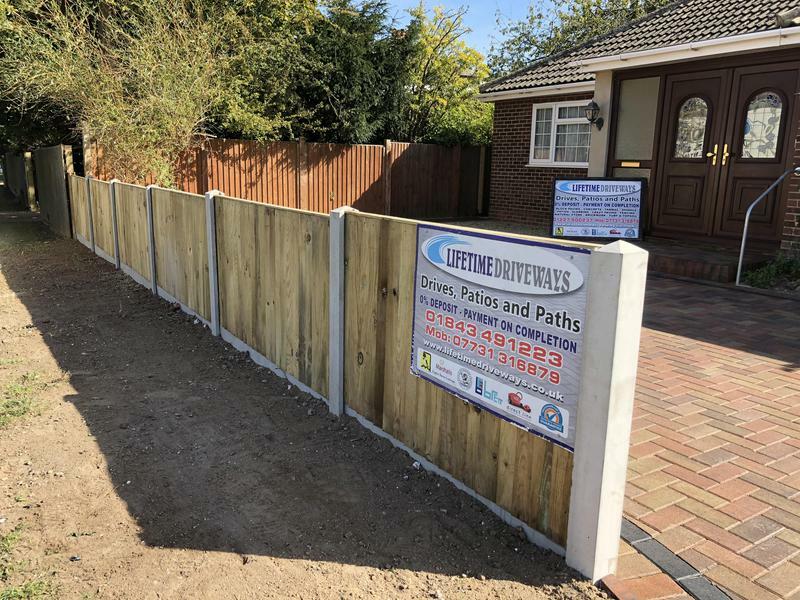 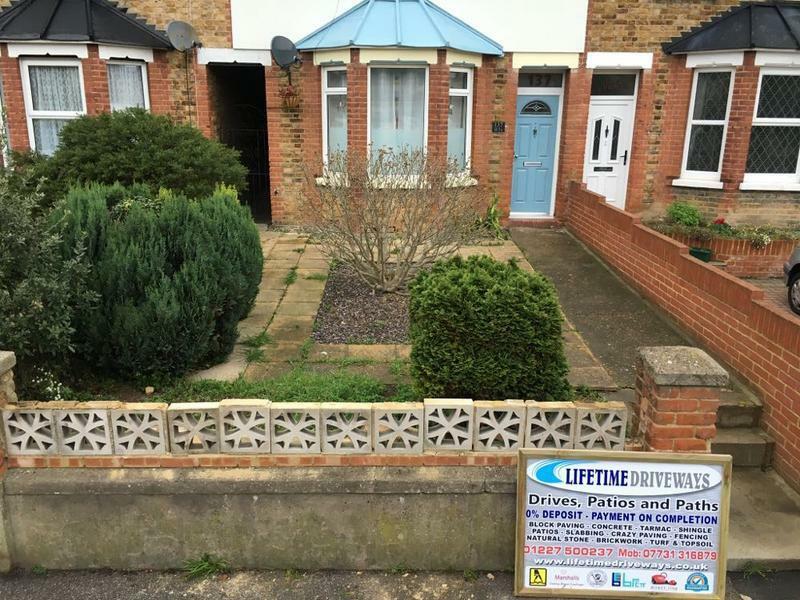 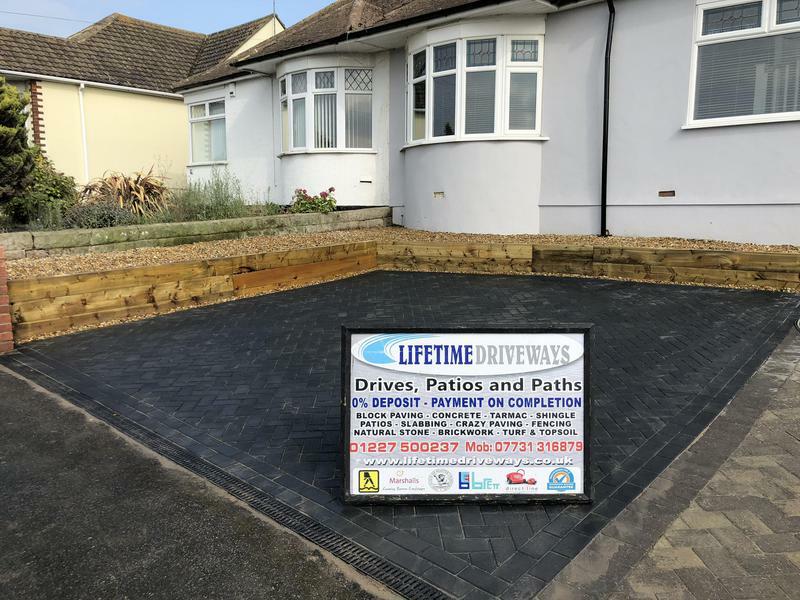 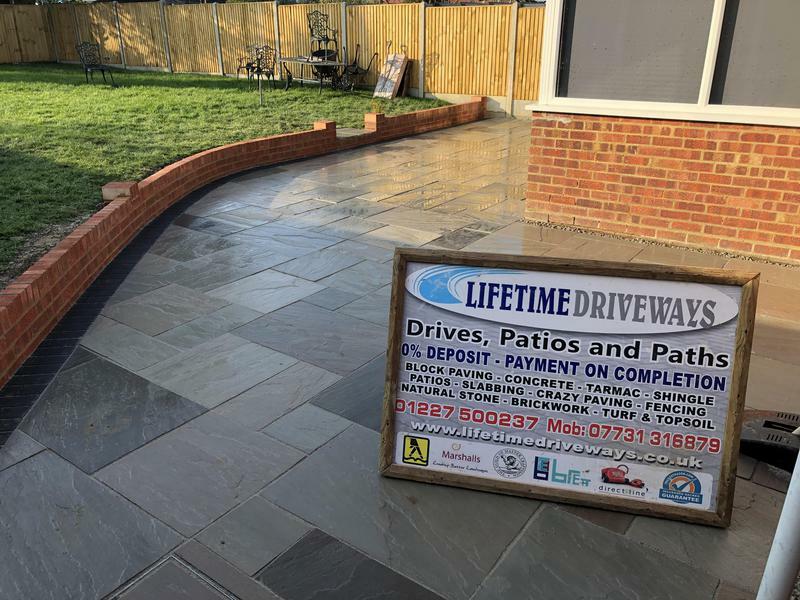 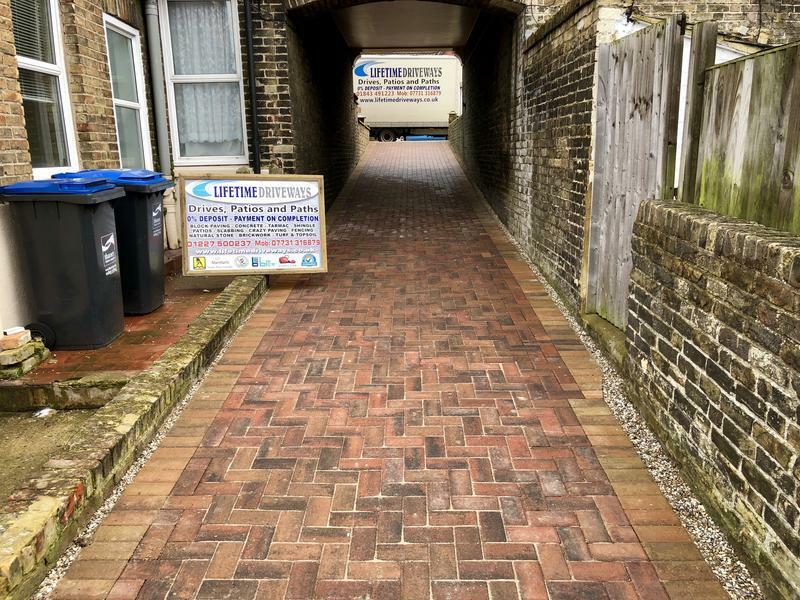 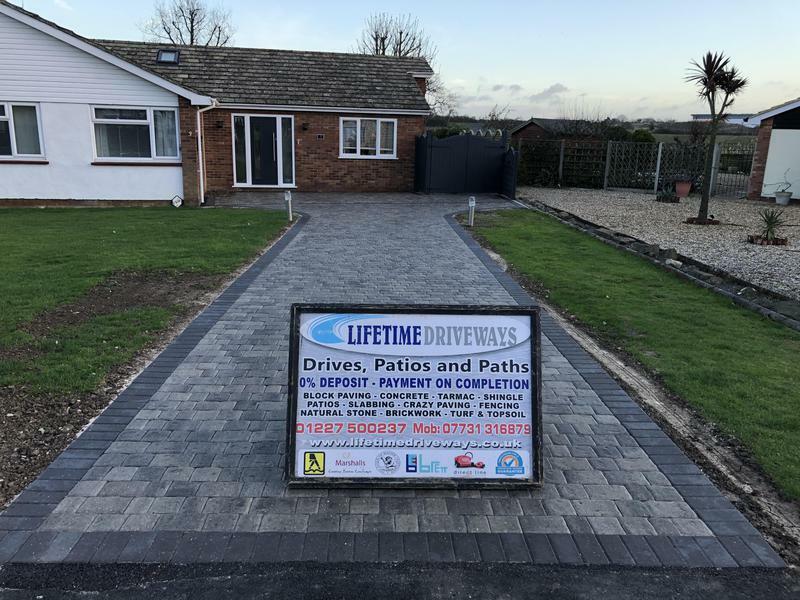 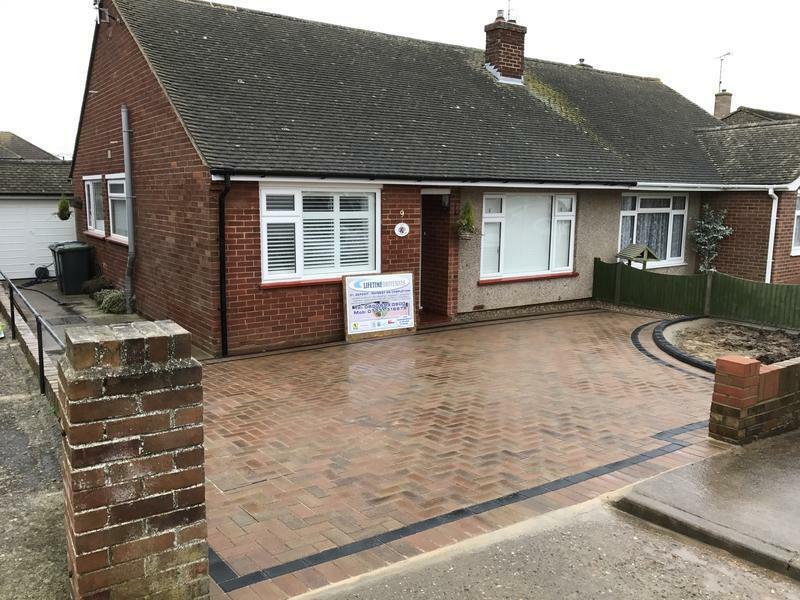 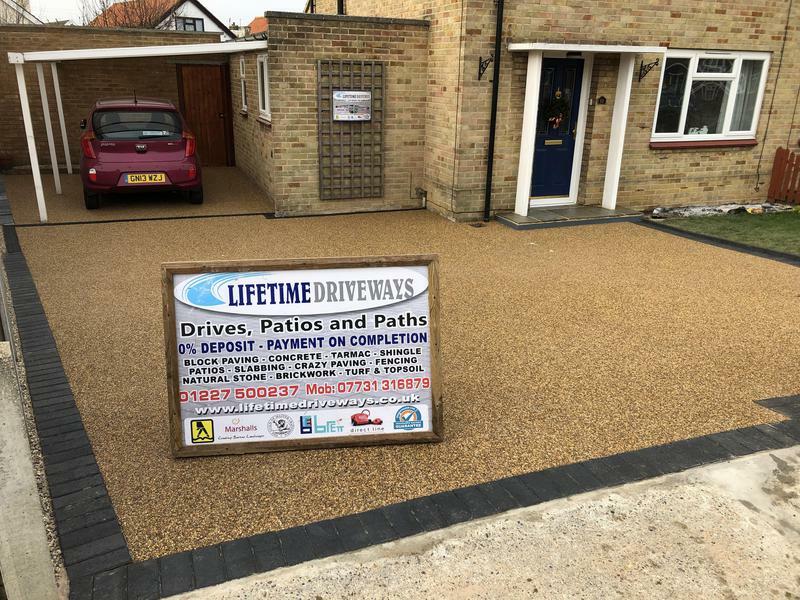 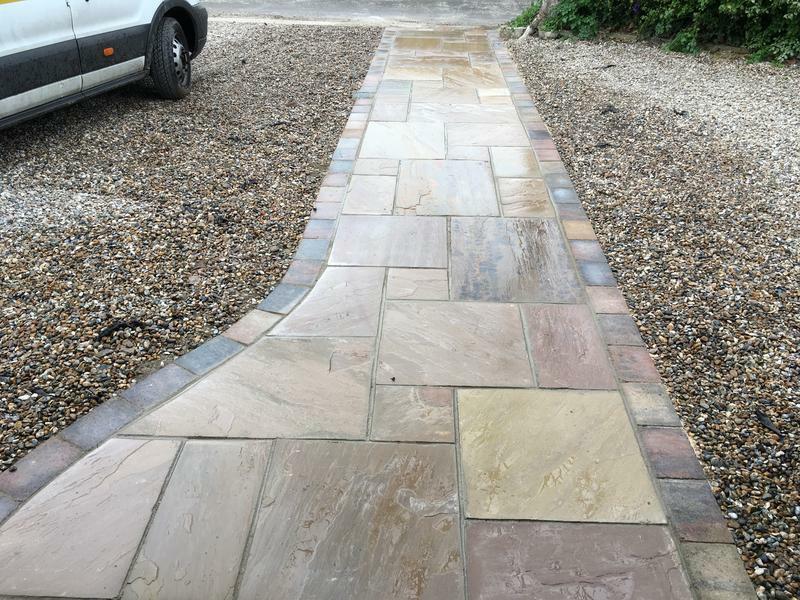 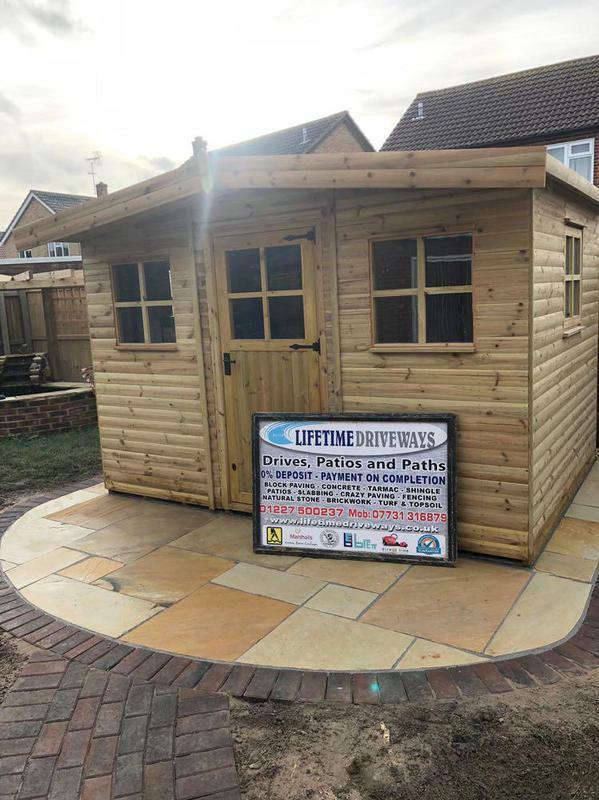 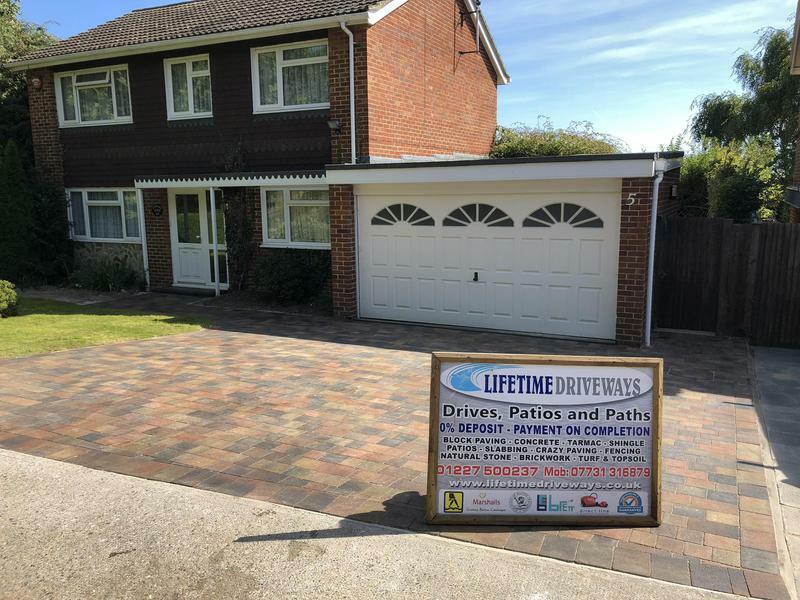 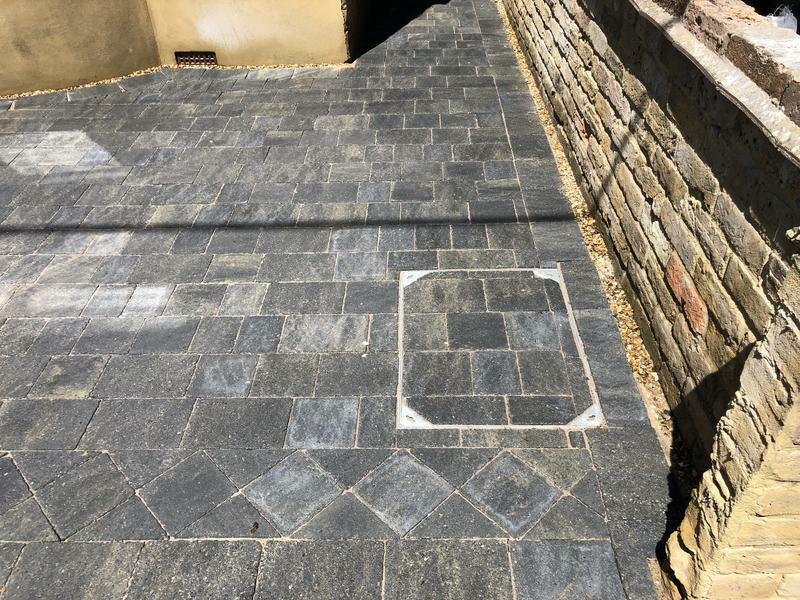 "Very happy with my new driveway thank you to the lifetime driveway lads Many Thanks Albert Sands"
"Thanks Stuart for our lovely new drive just waiting for it to dry and the it can be sealed. 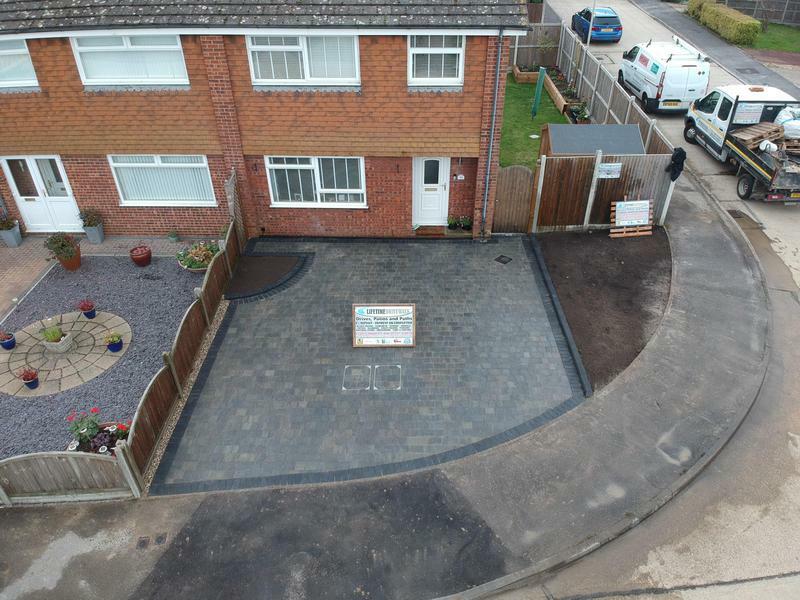 You and all the Guys worked so hard a job well done Thanks again Roy and Lyn"